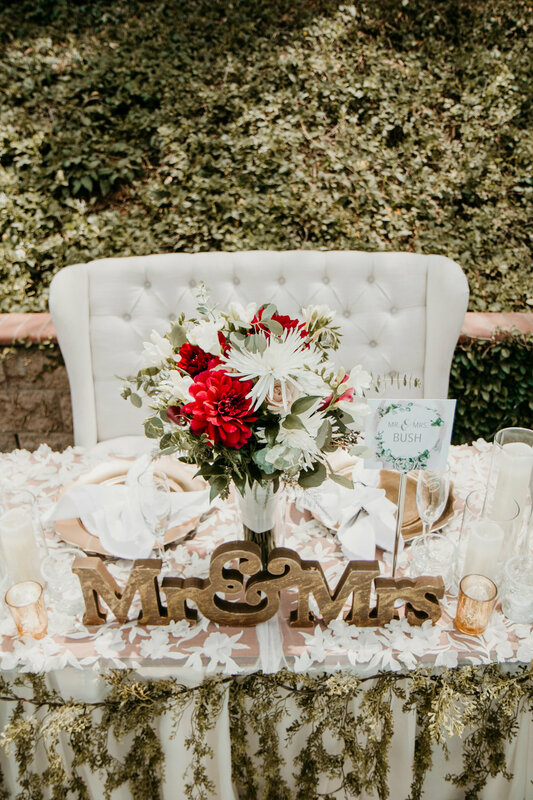 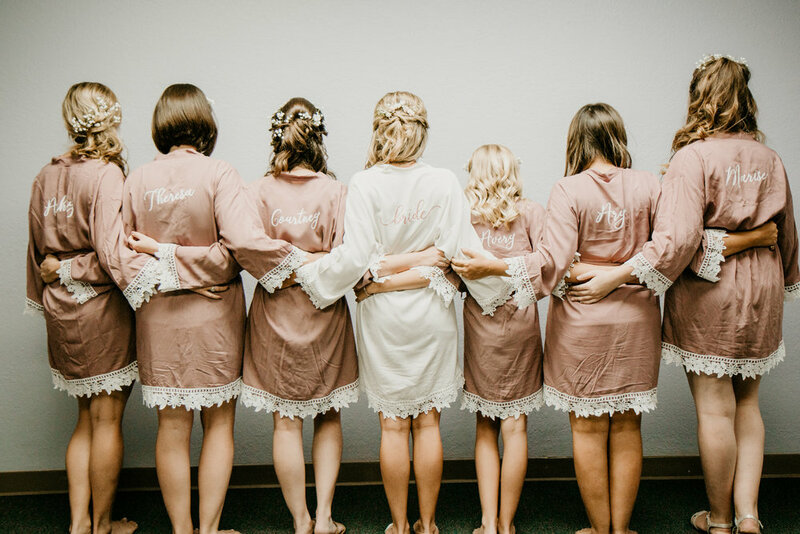 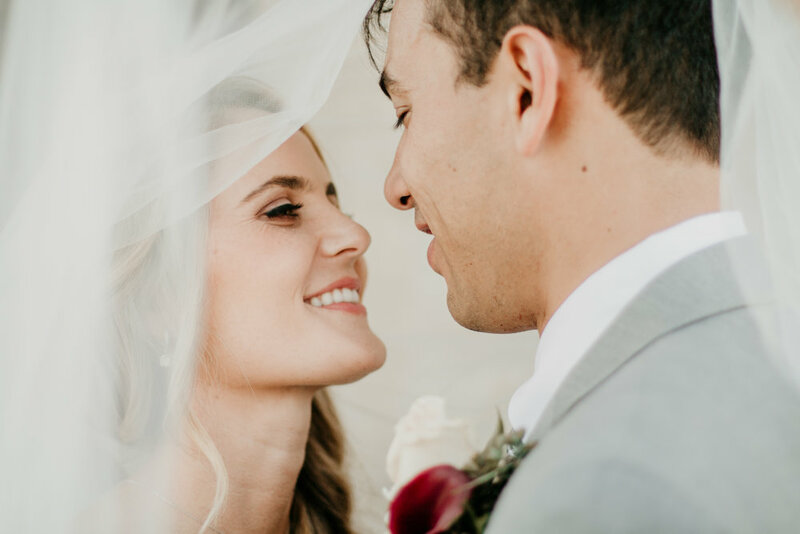 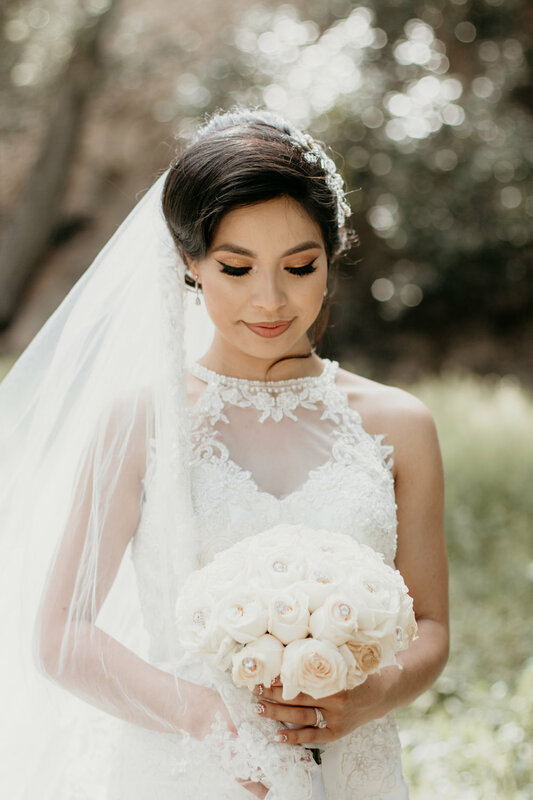 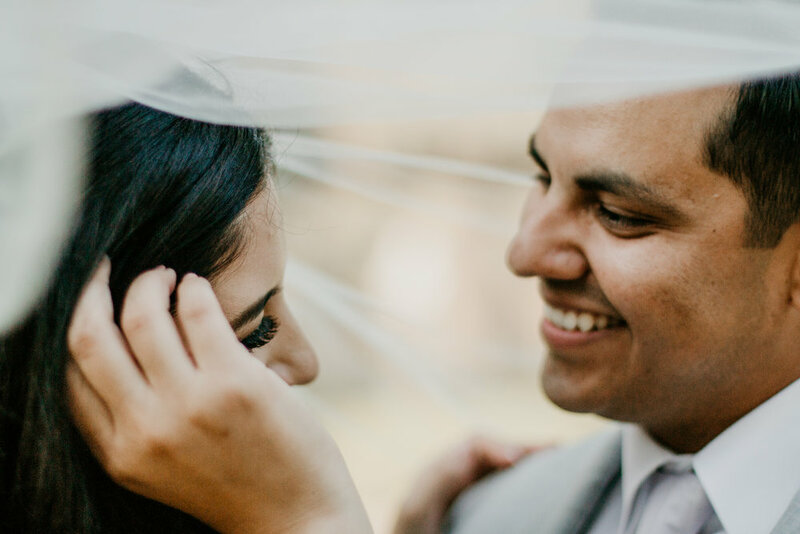 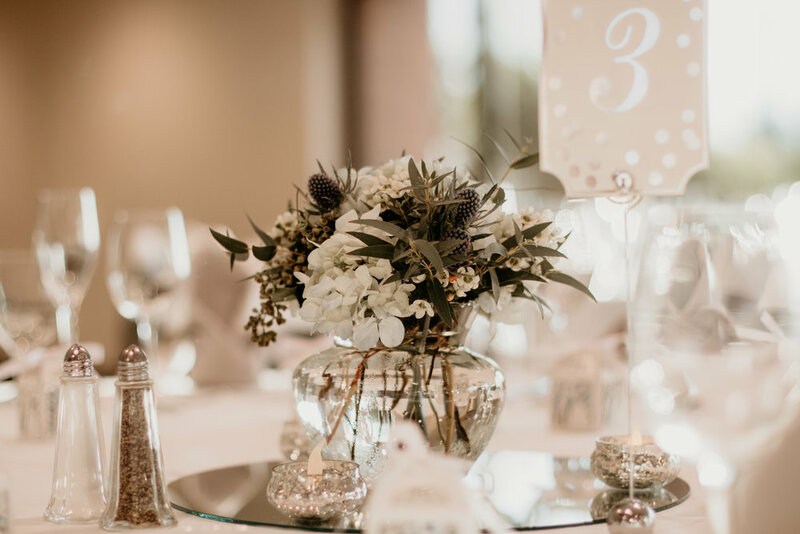 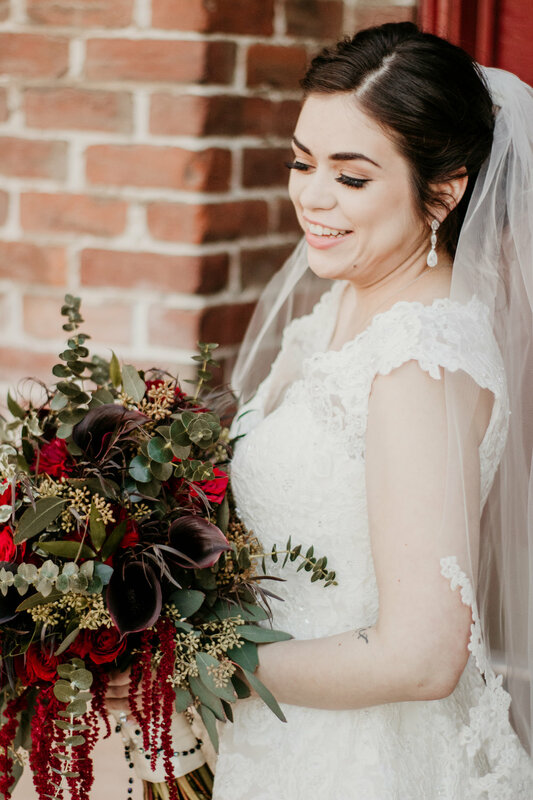 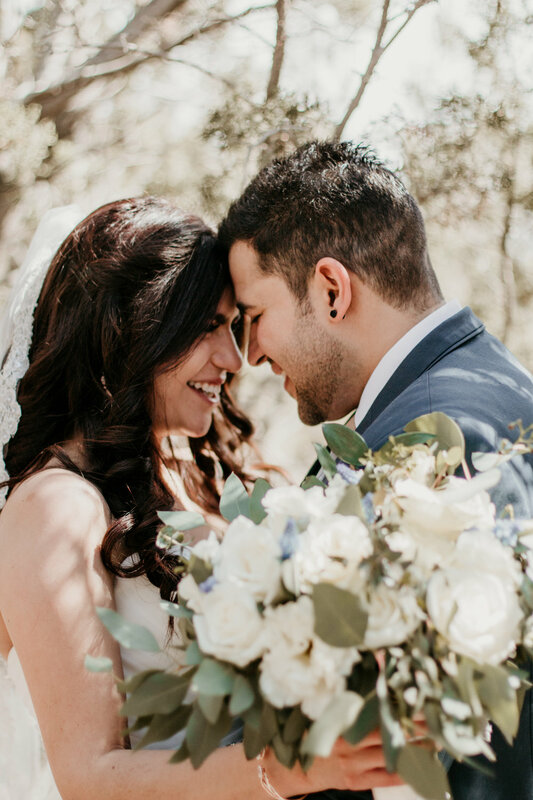 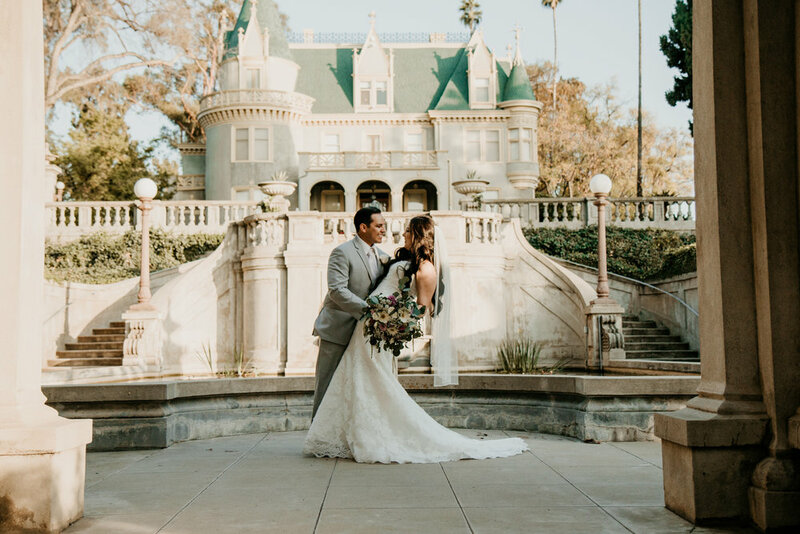 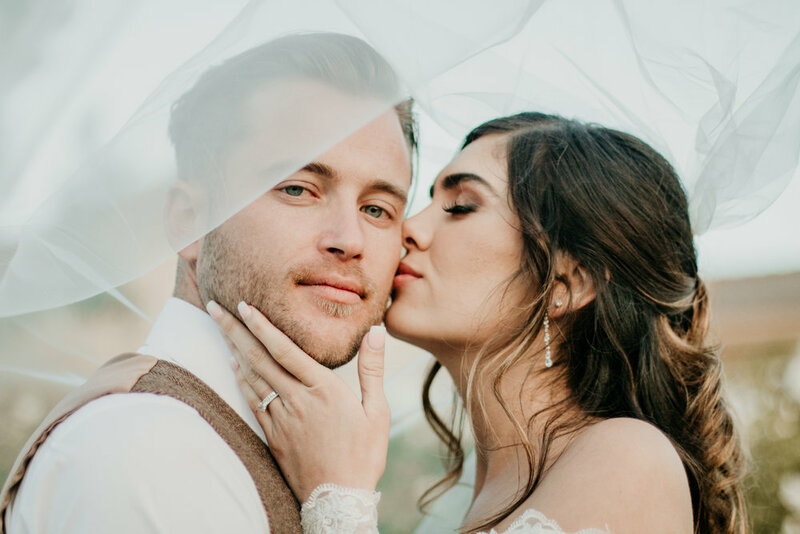 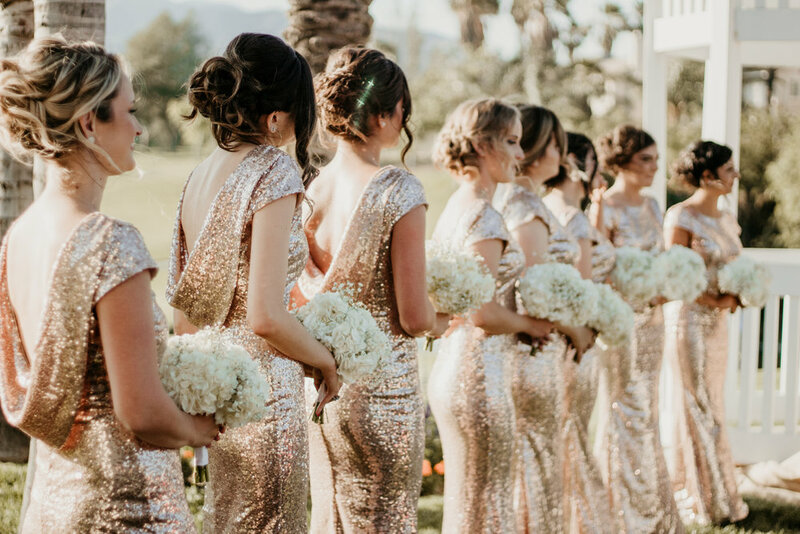 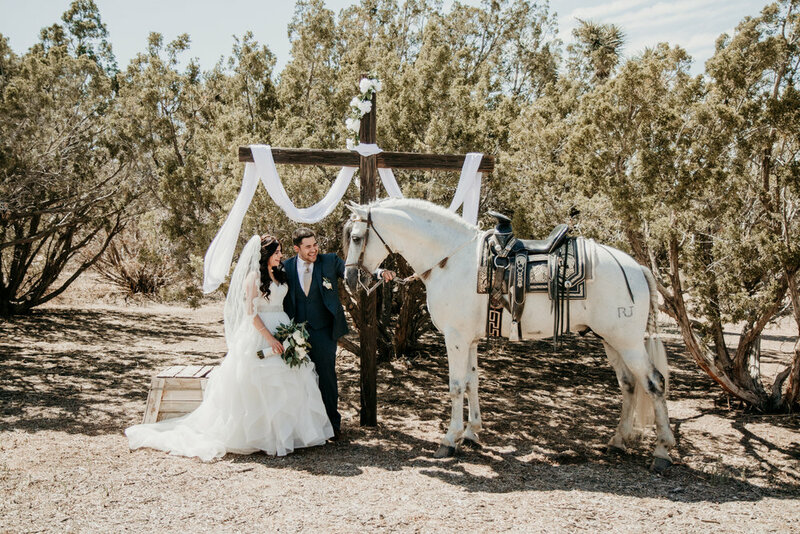 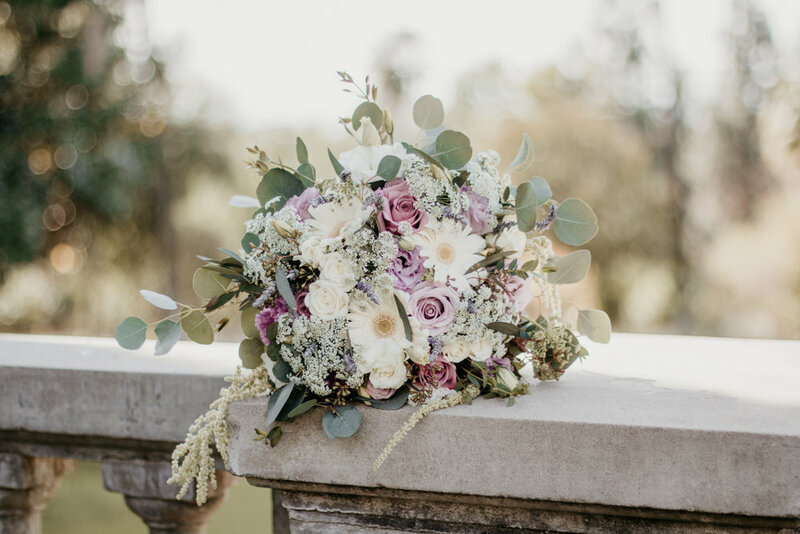 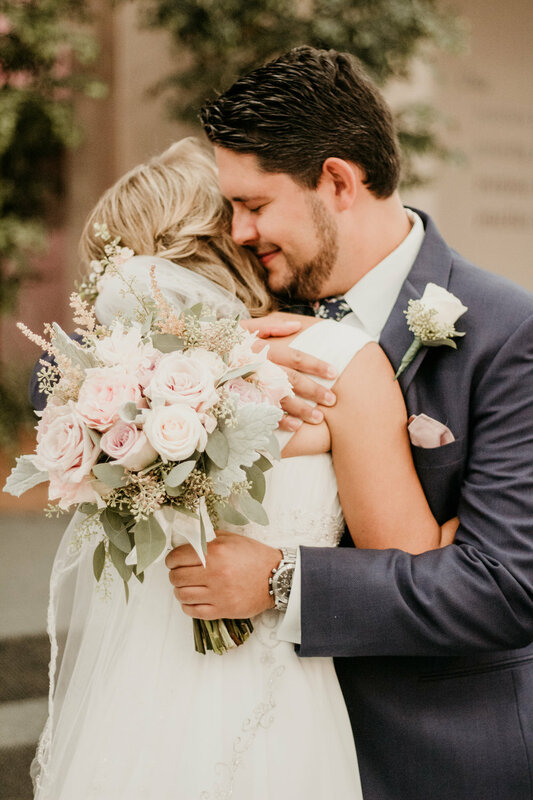 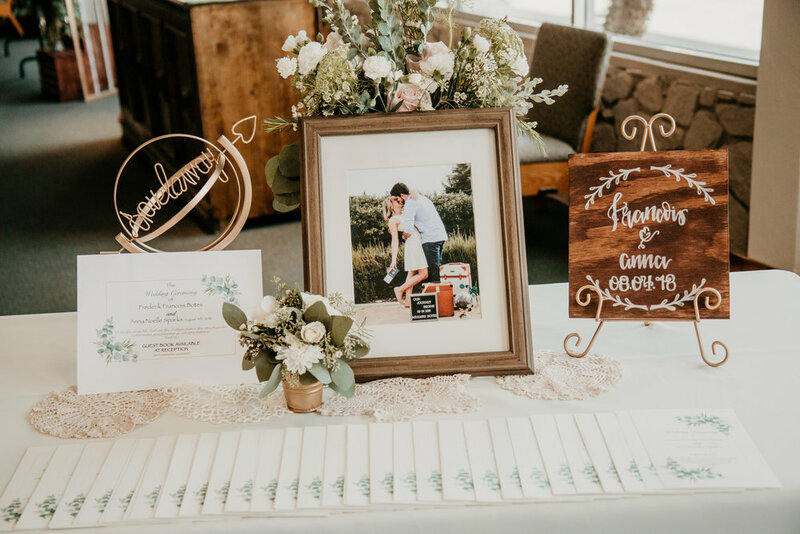 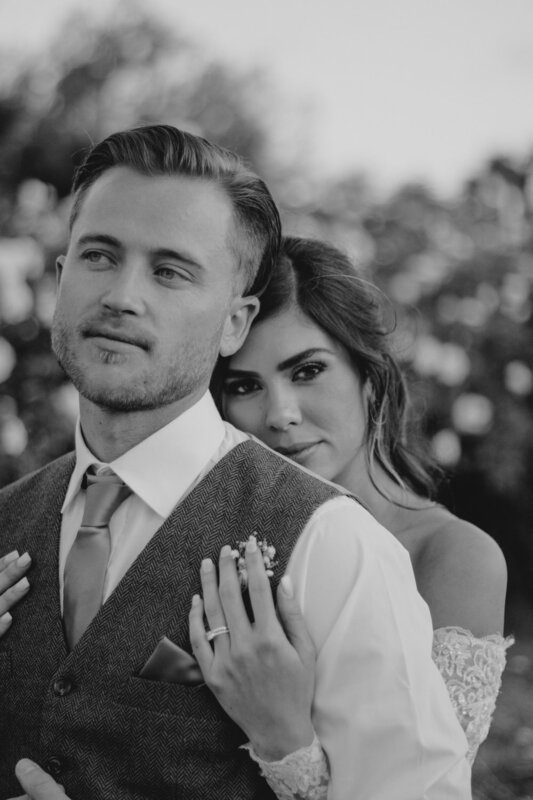 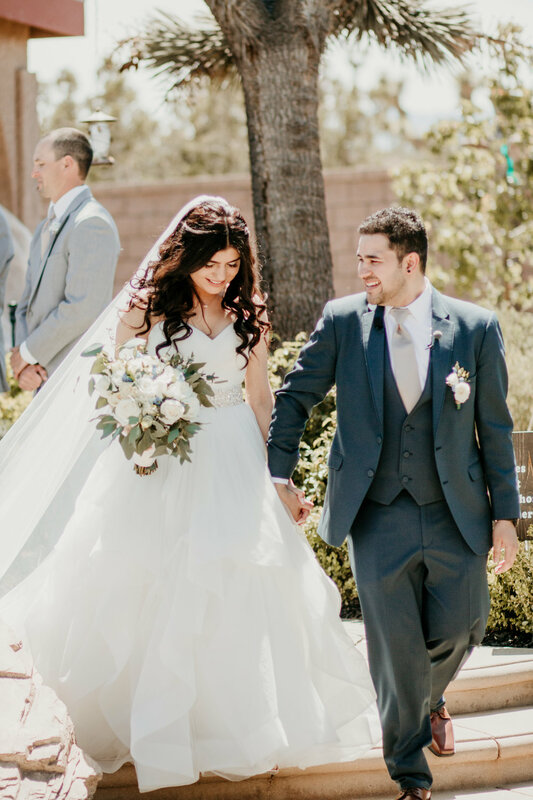 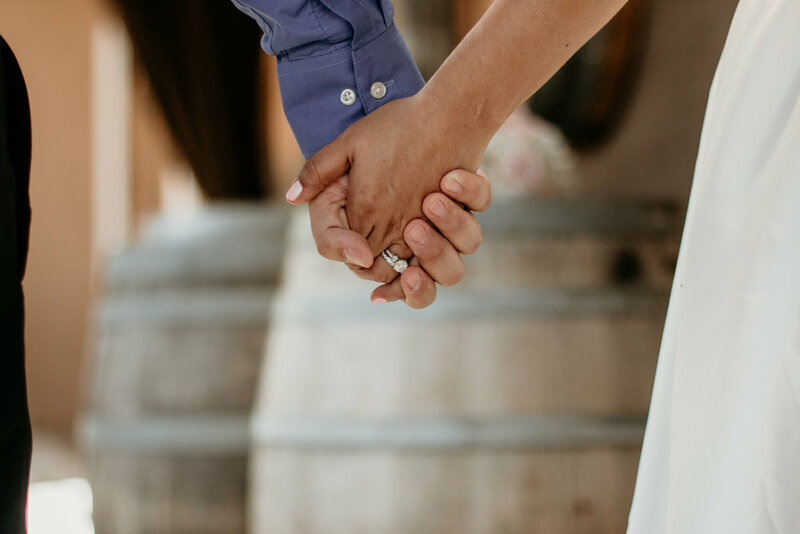 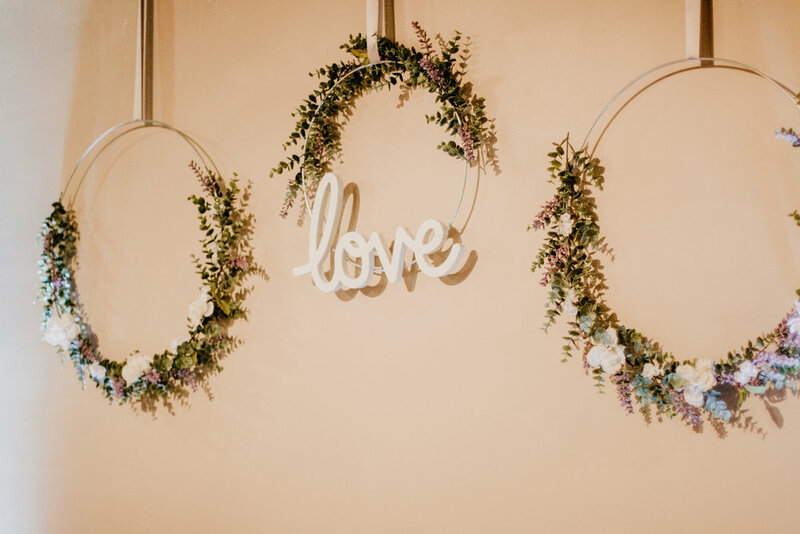 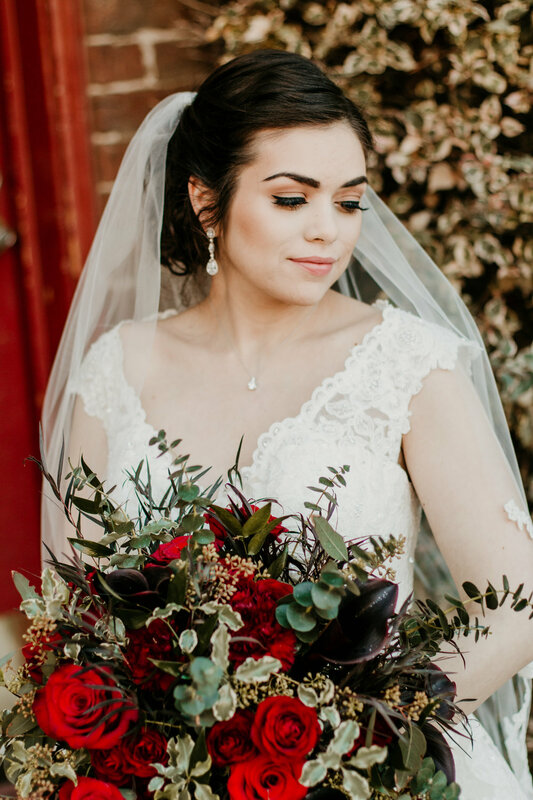 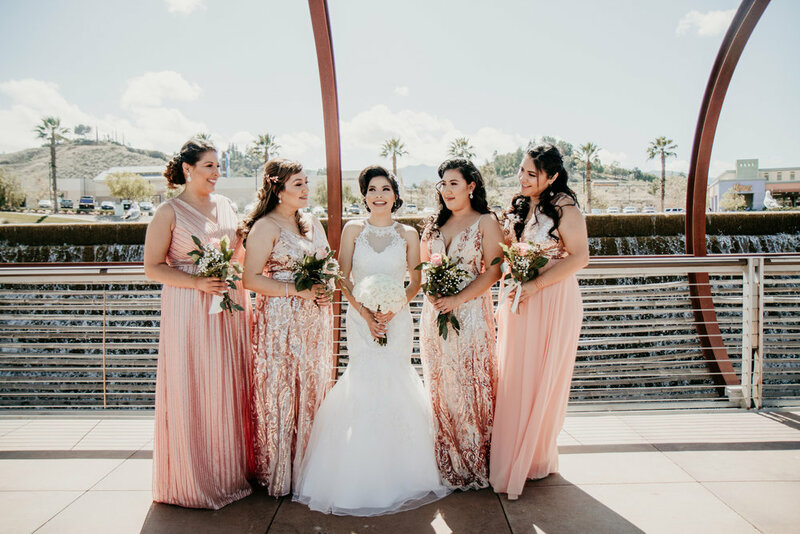 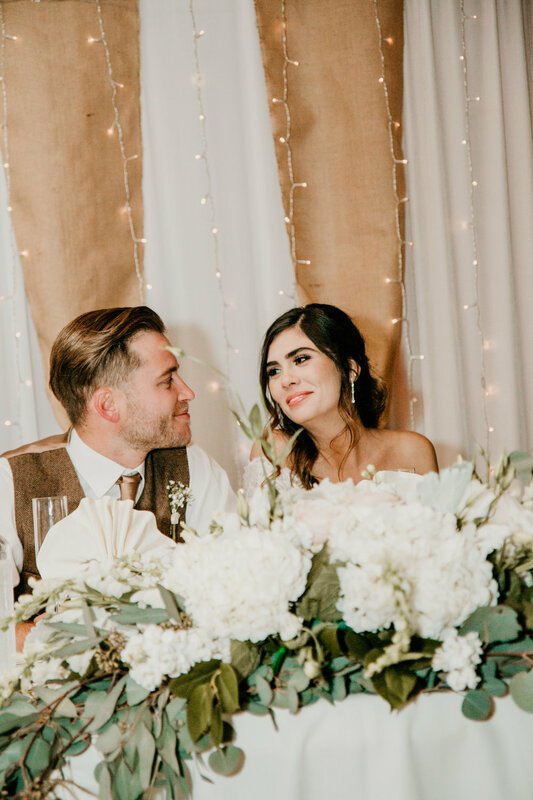 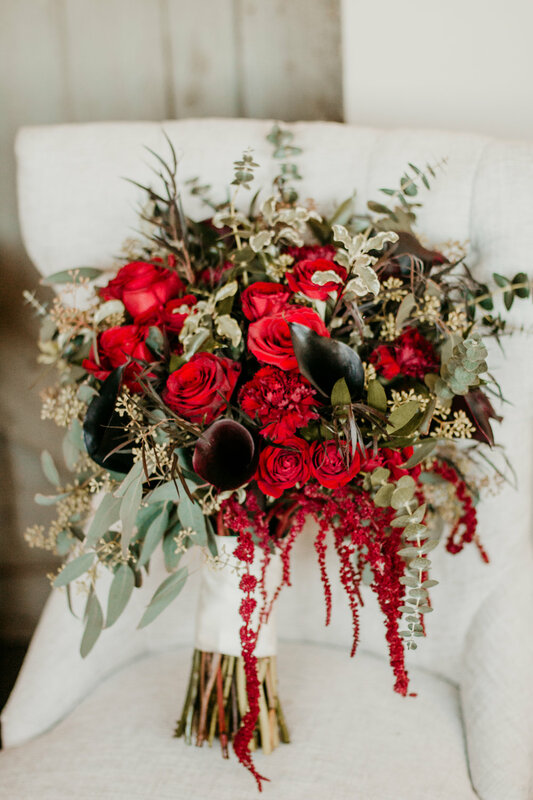 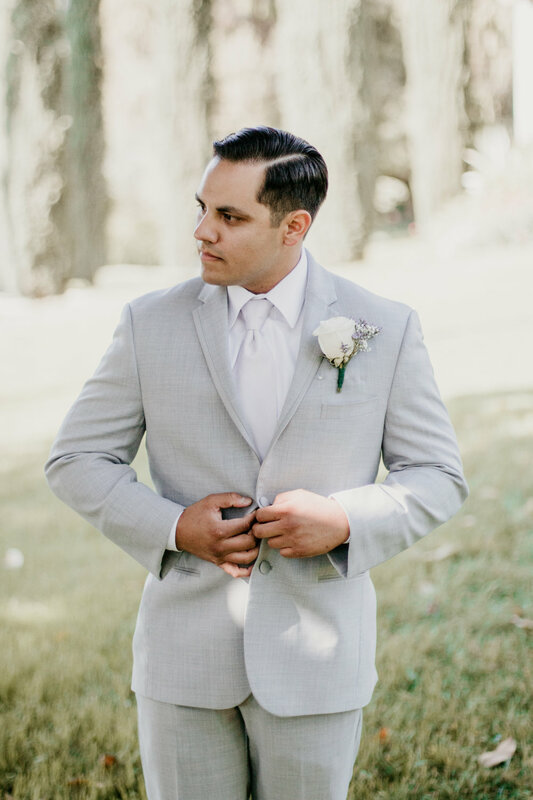 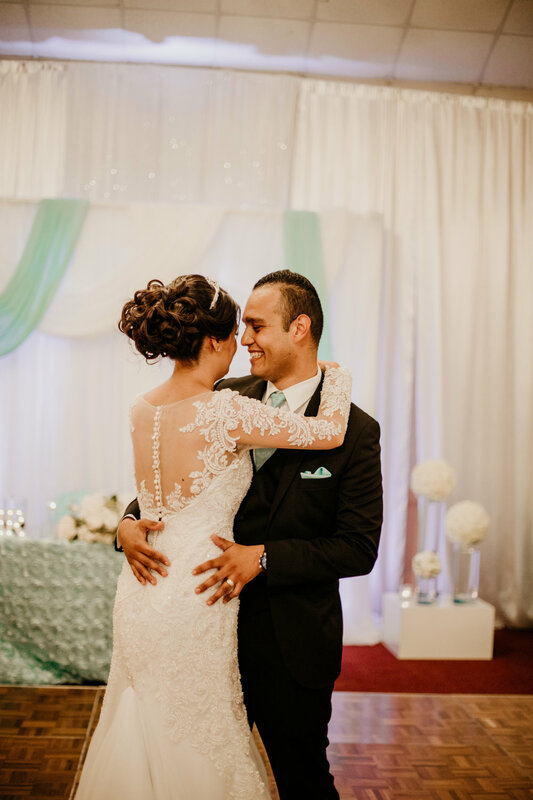 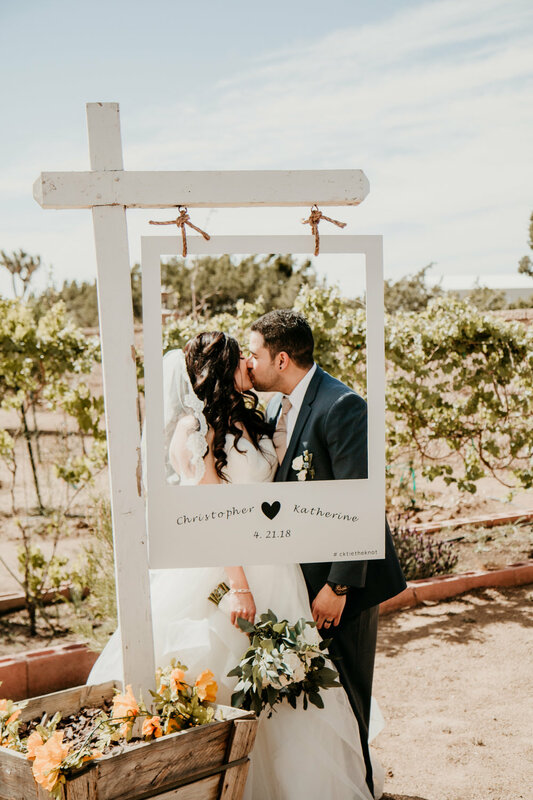 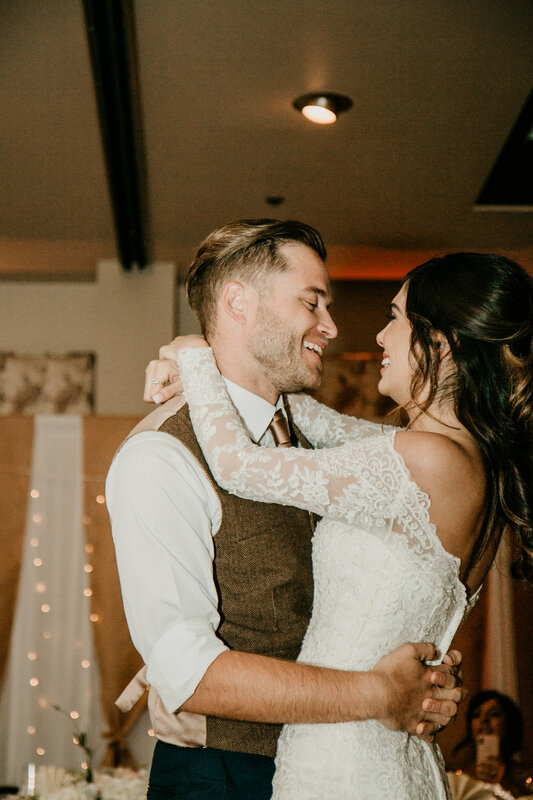 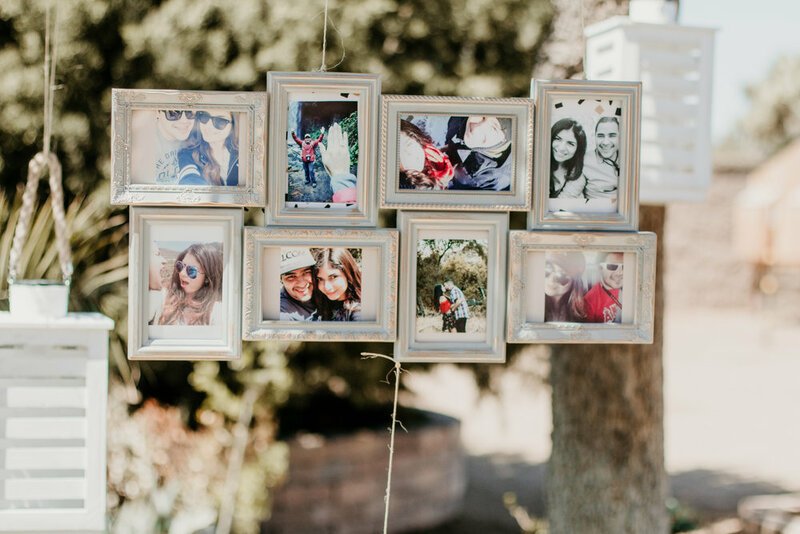 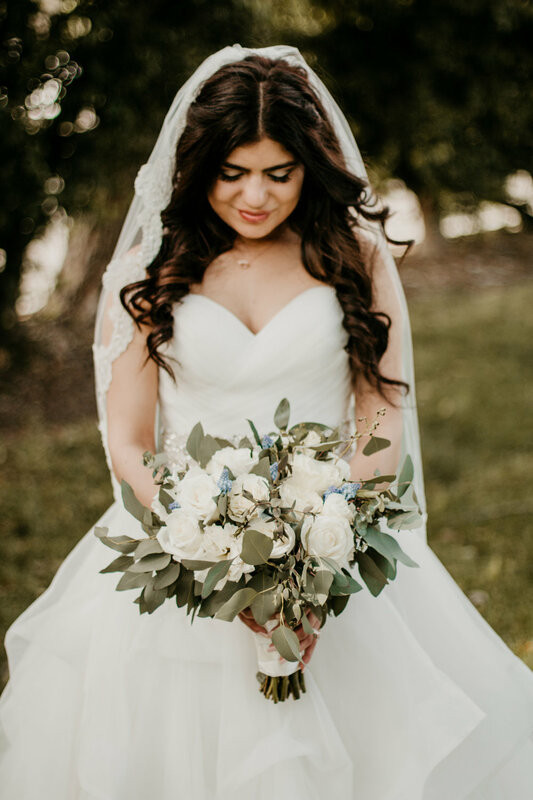 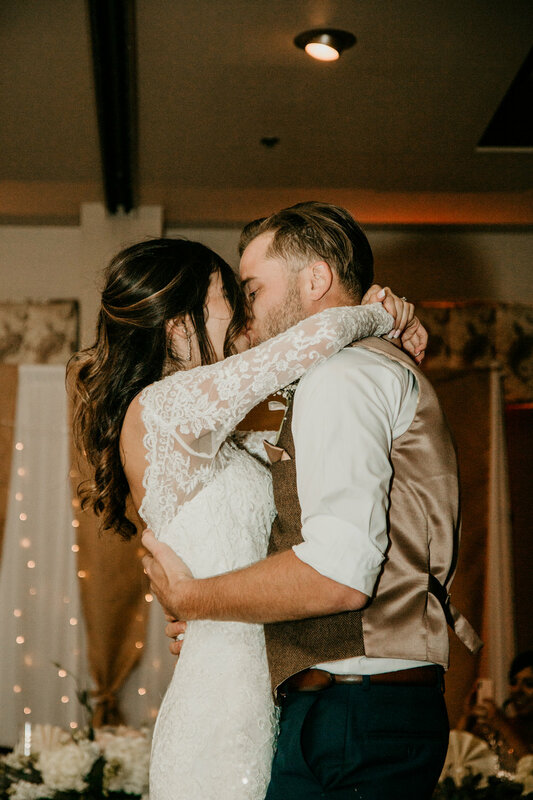 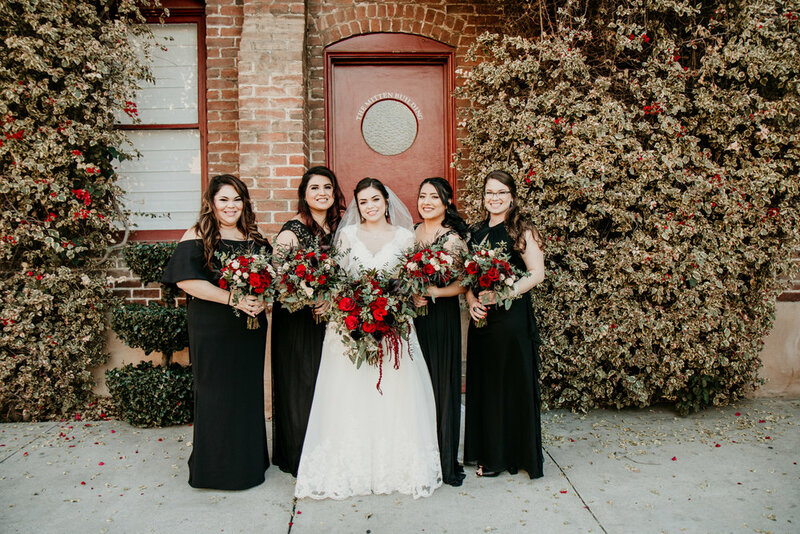 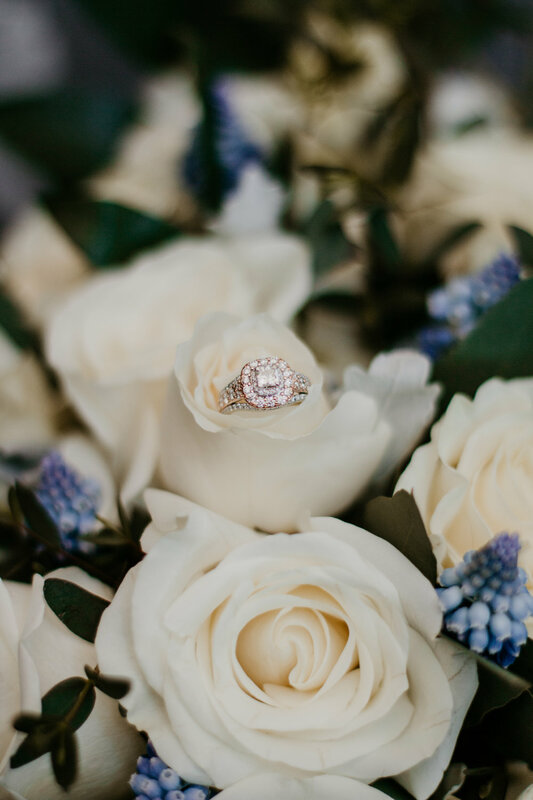 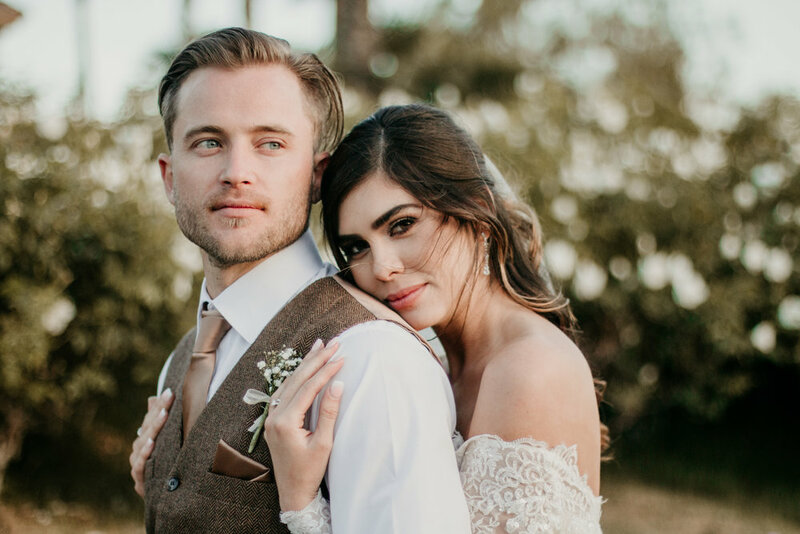 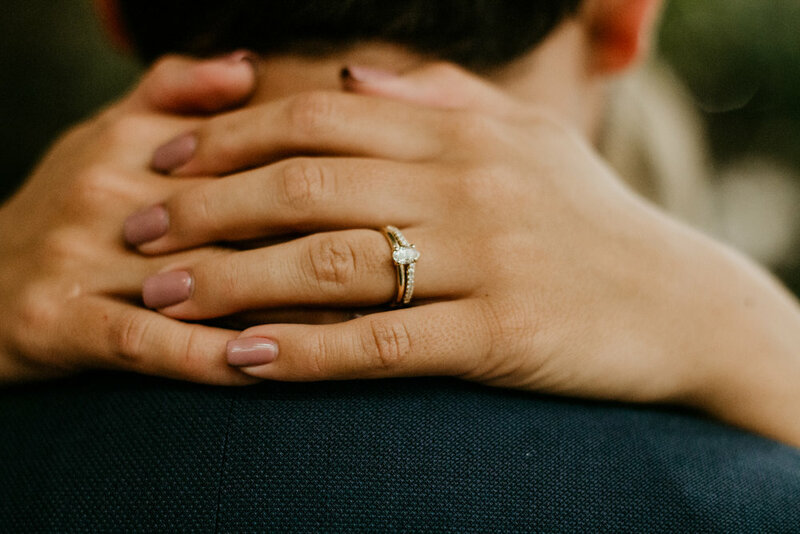 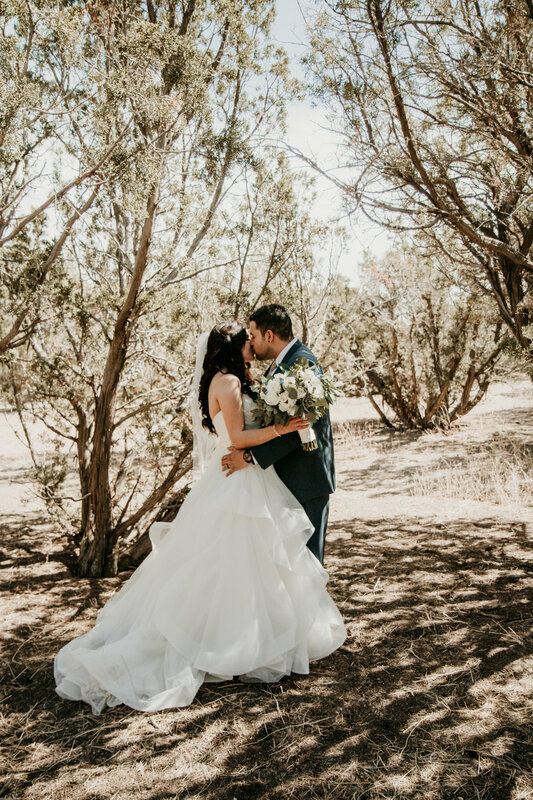 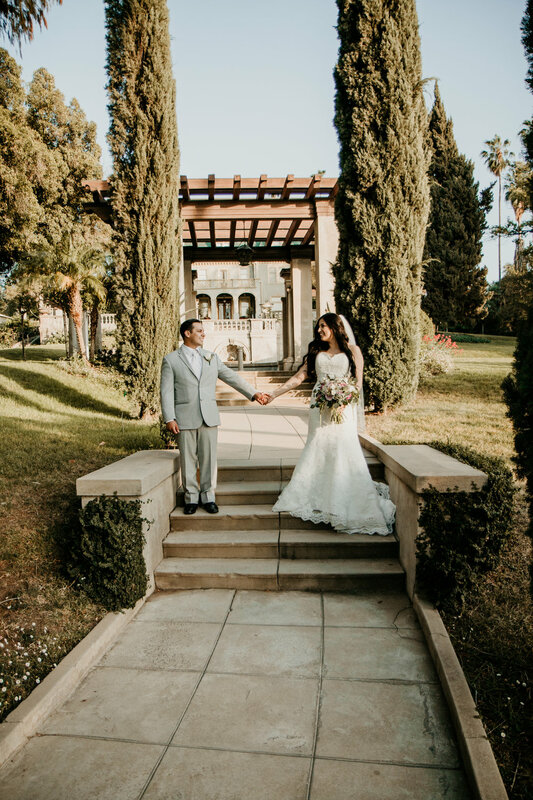 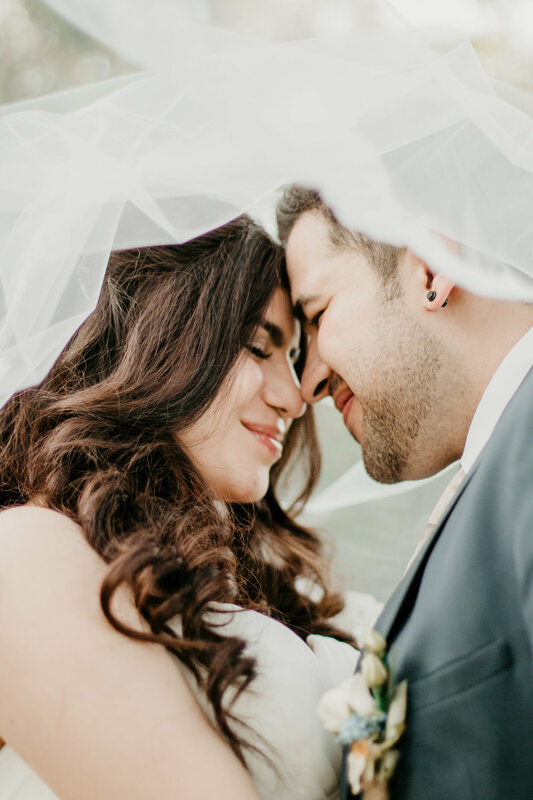 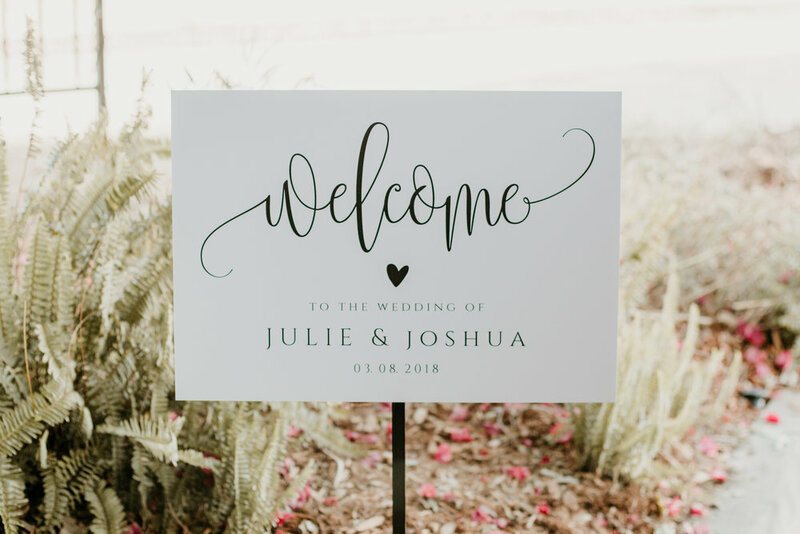 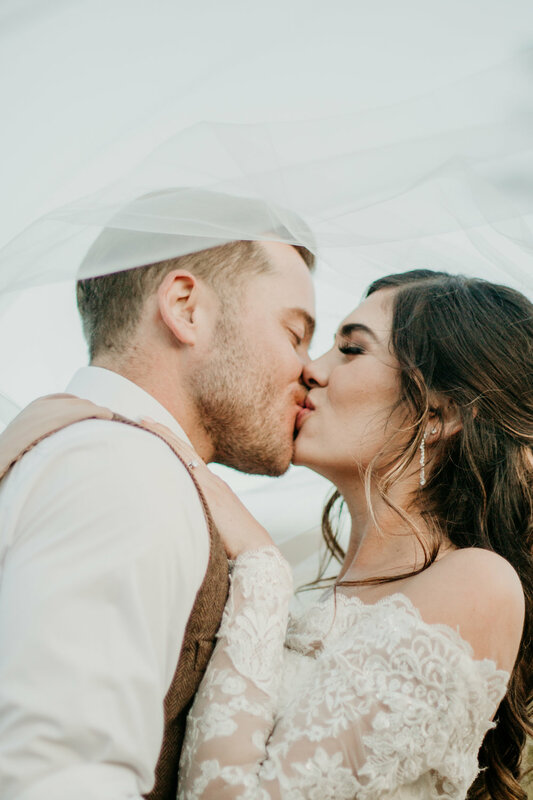 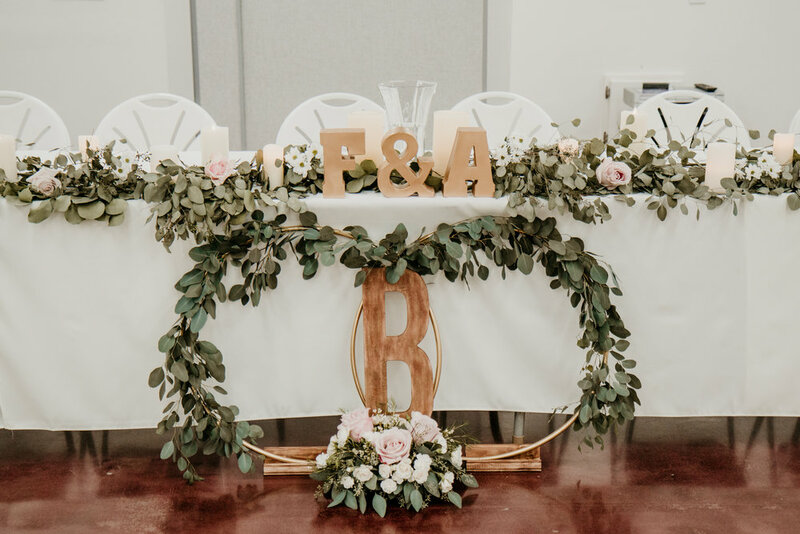 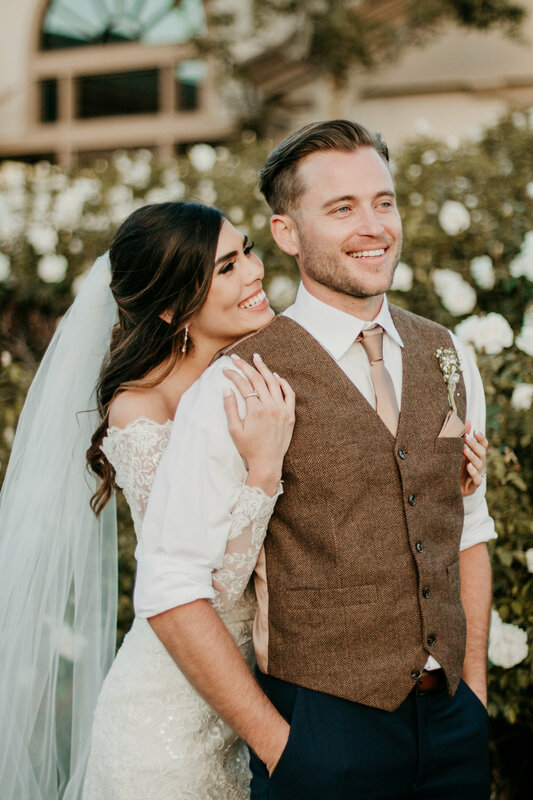 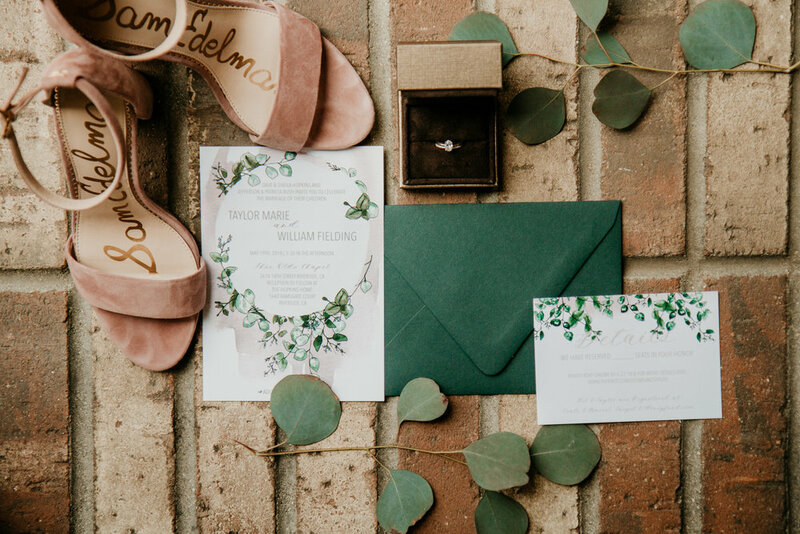 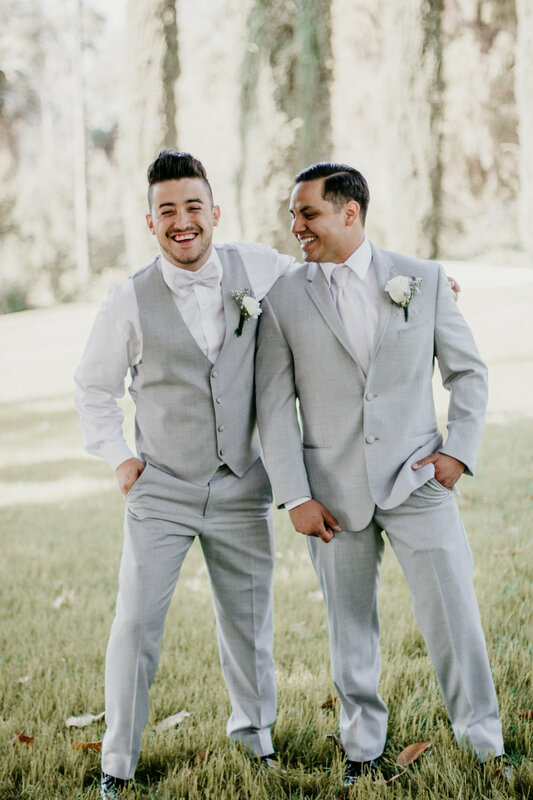 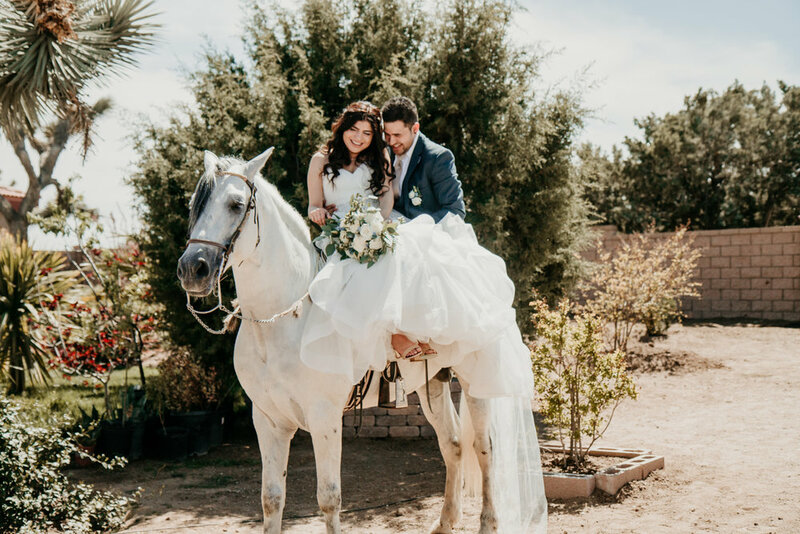 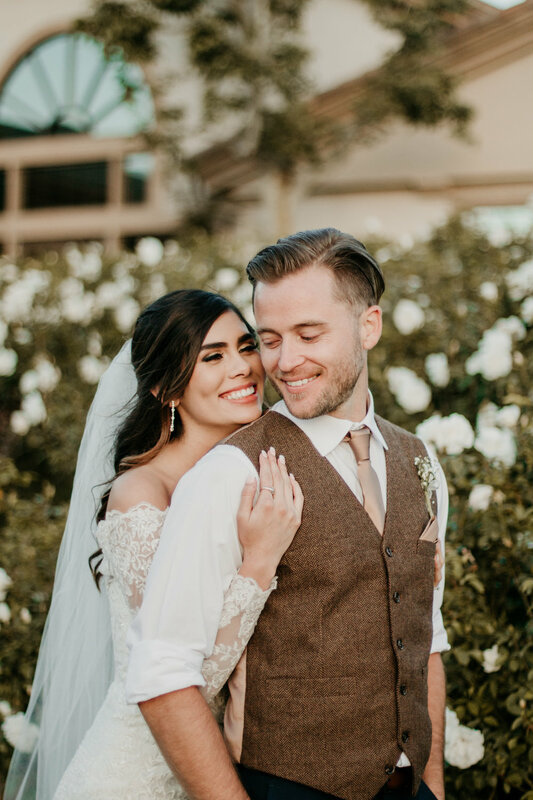 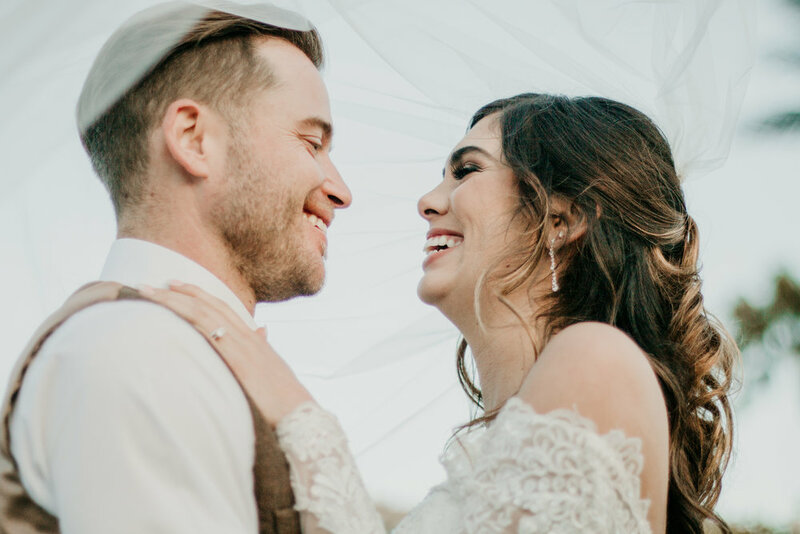 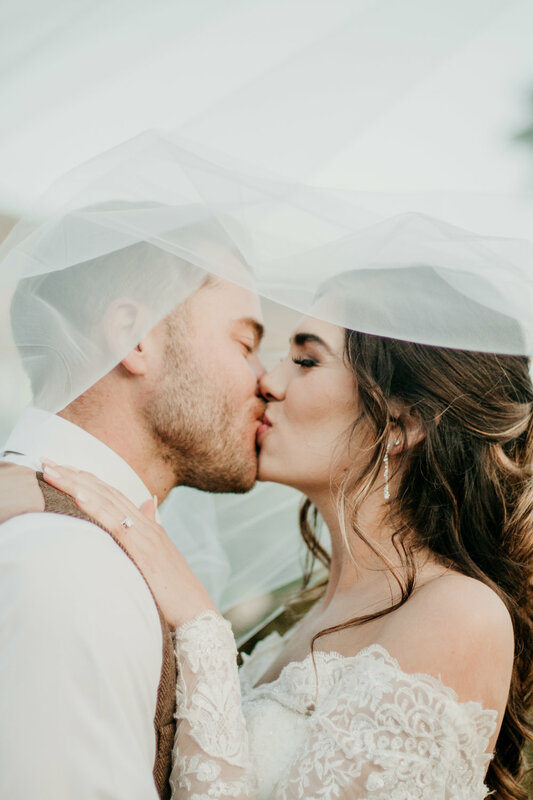 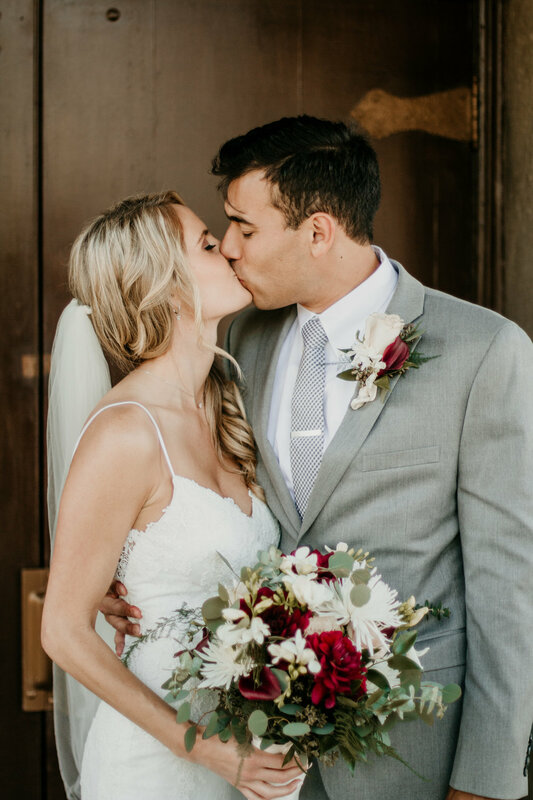 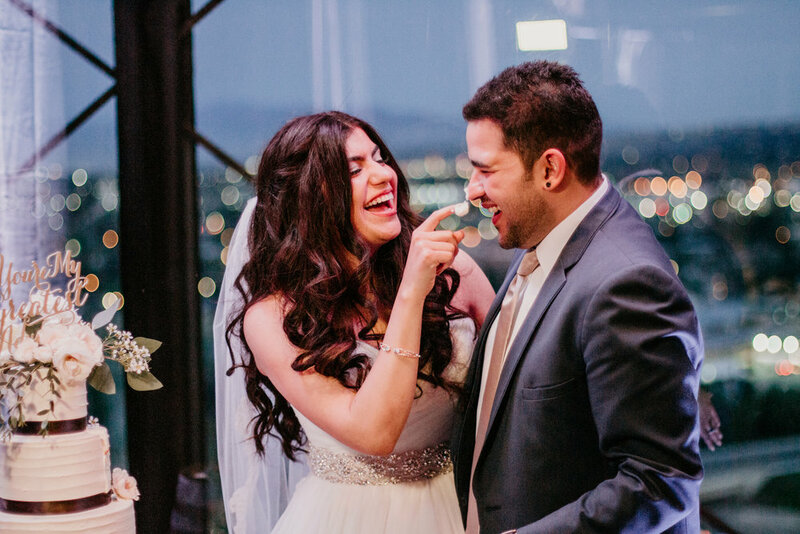 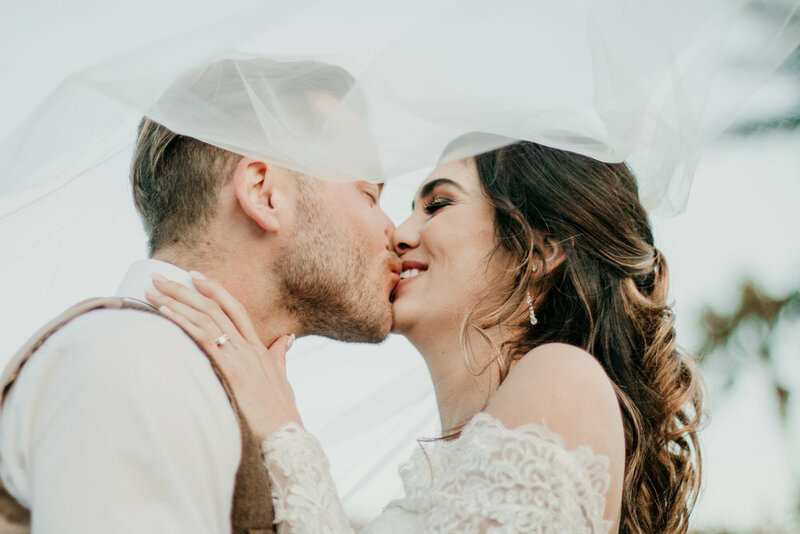 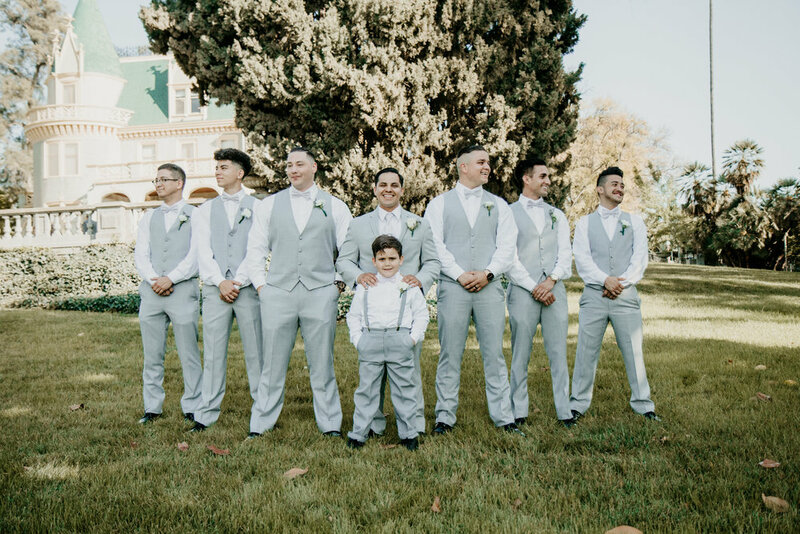 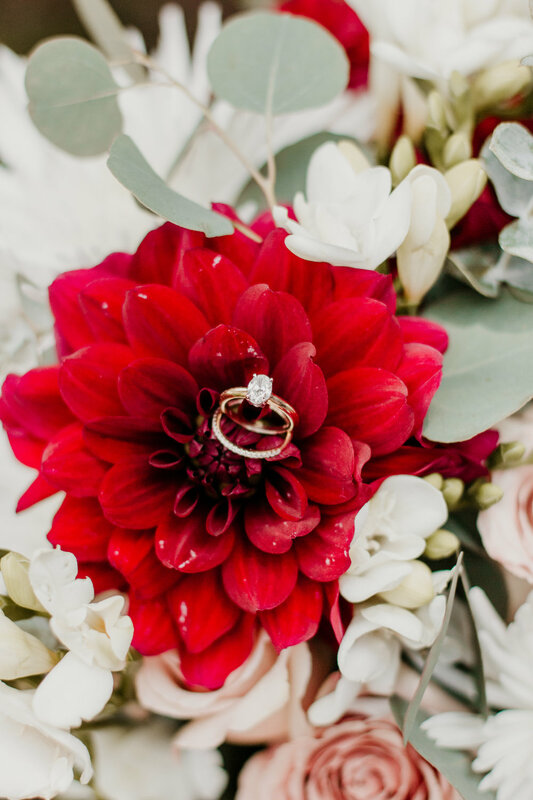 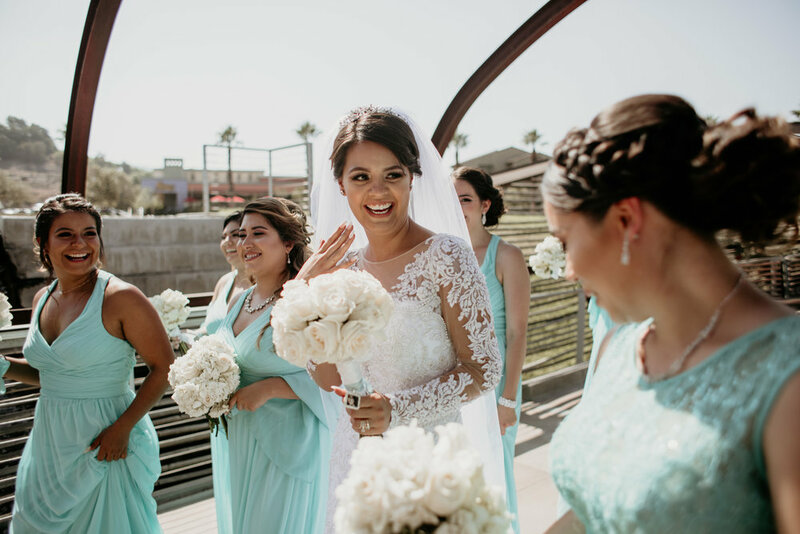 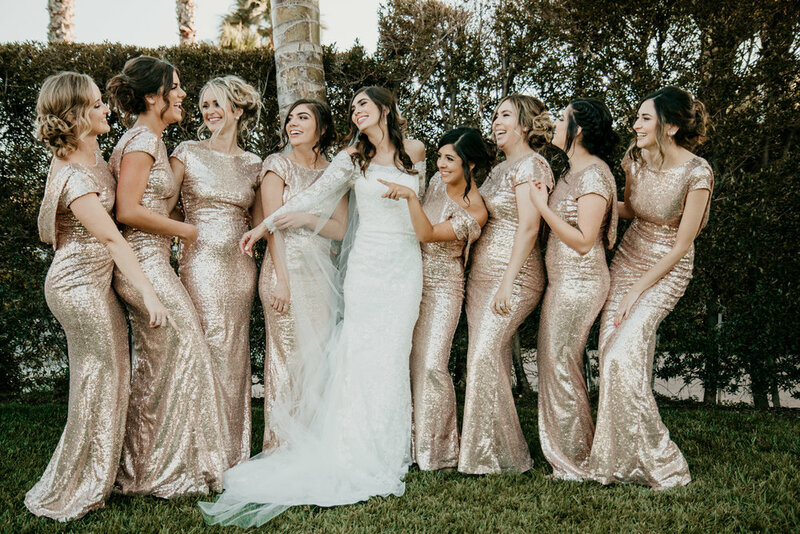 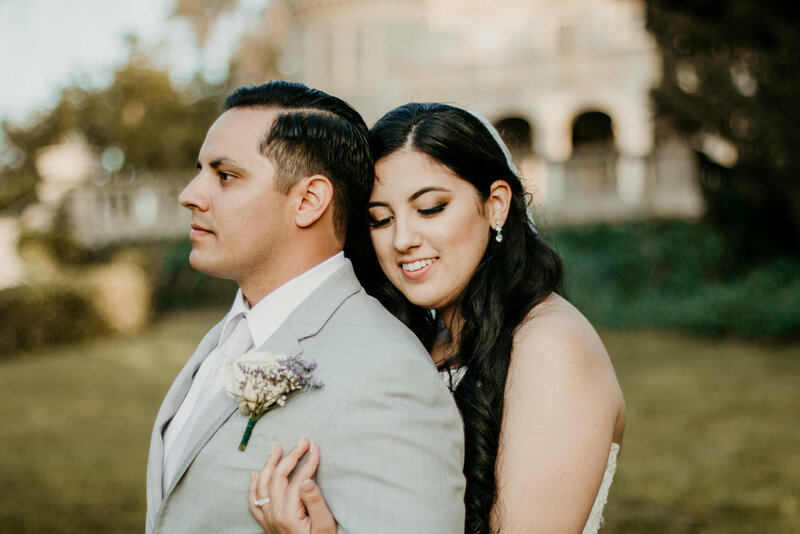 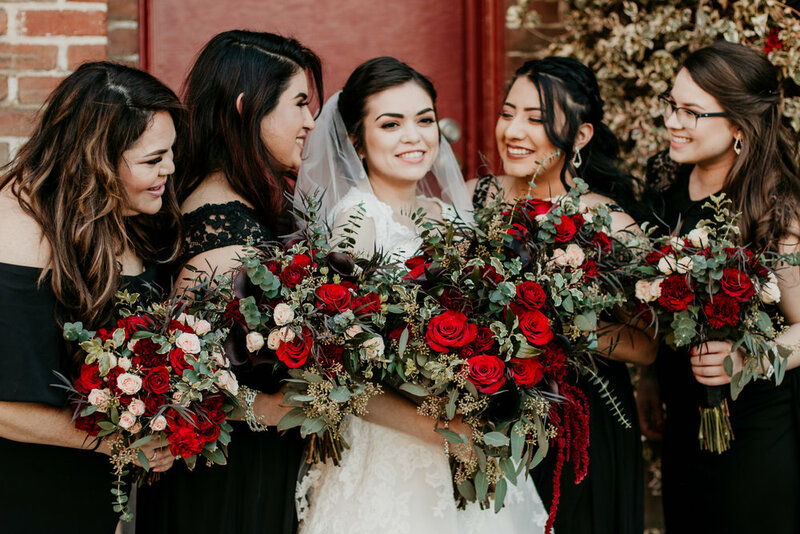 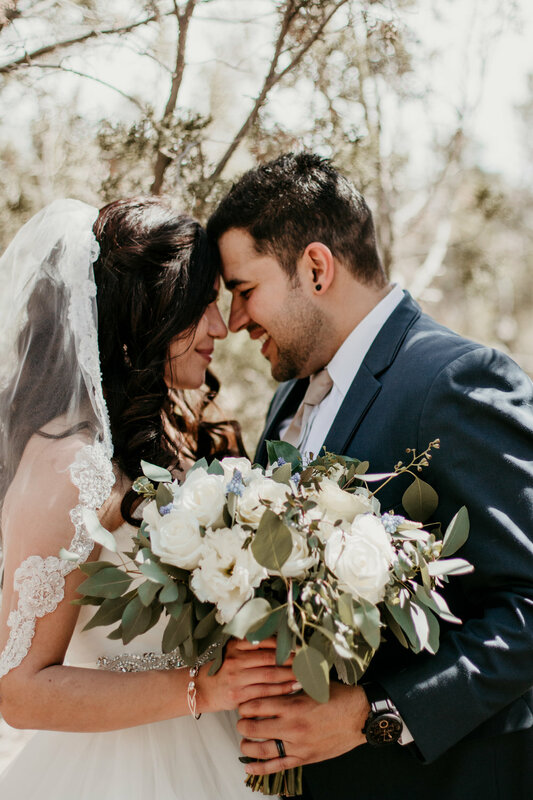 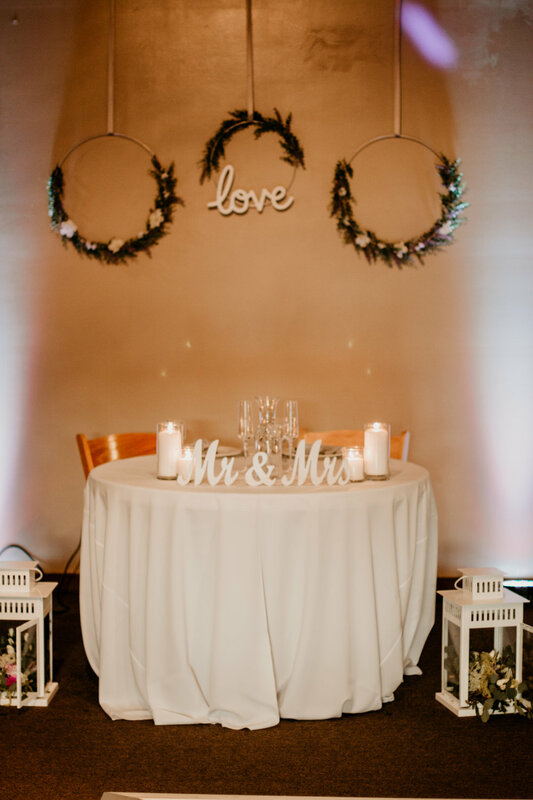 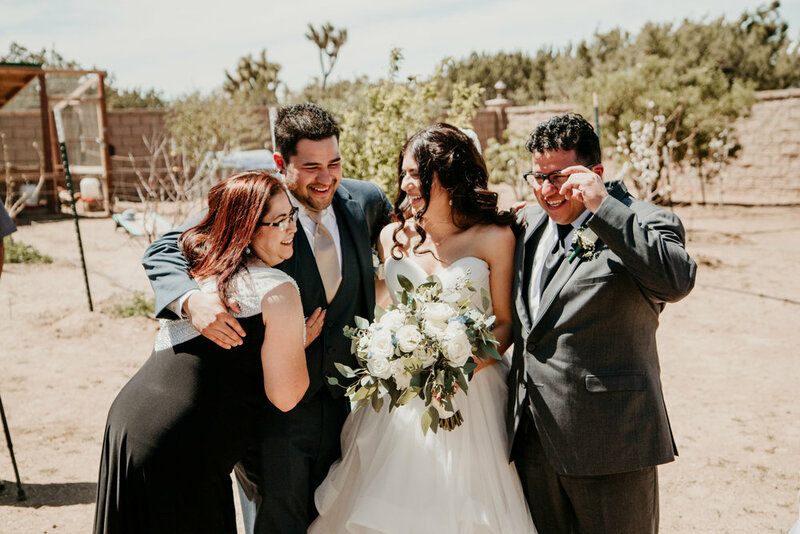 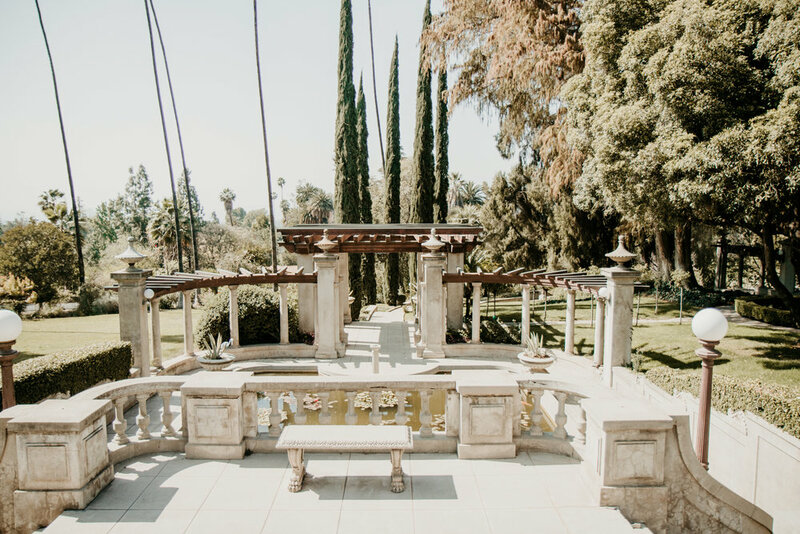 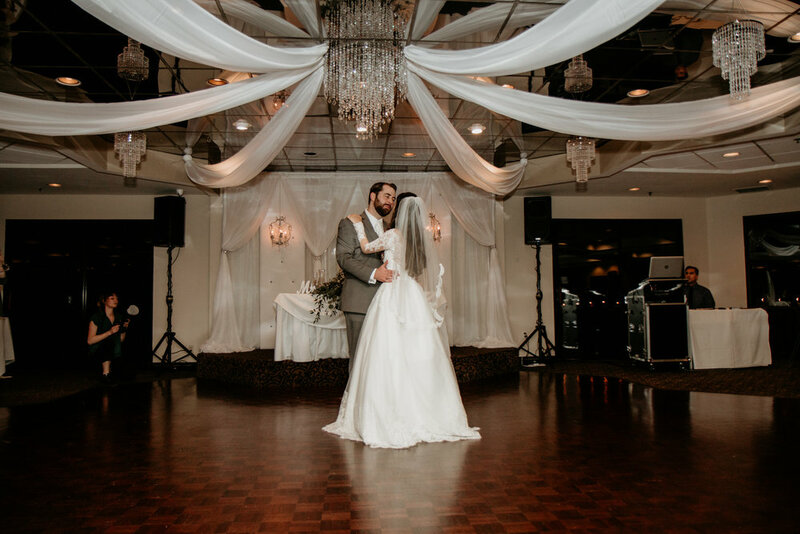 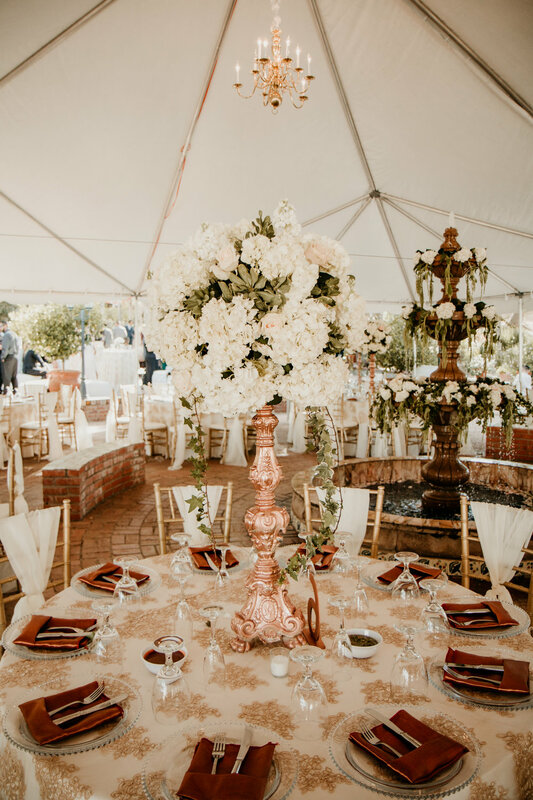 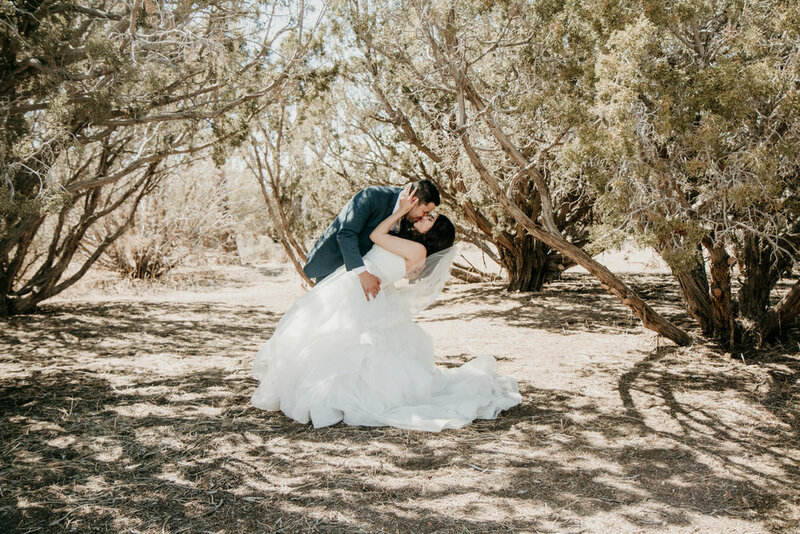 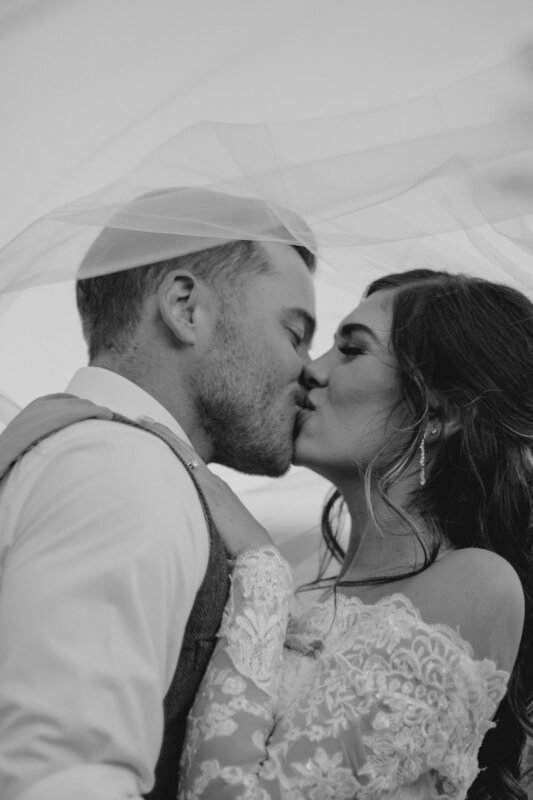 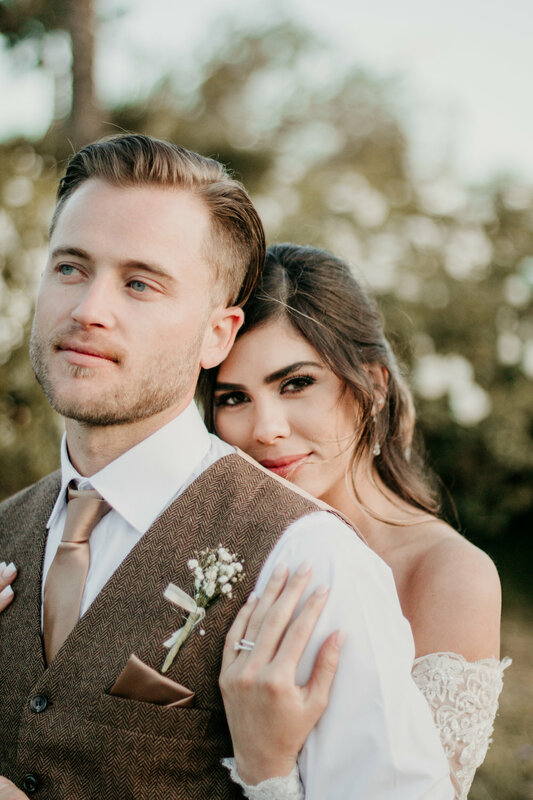 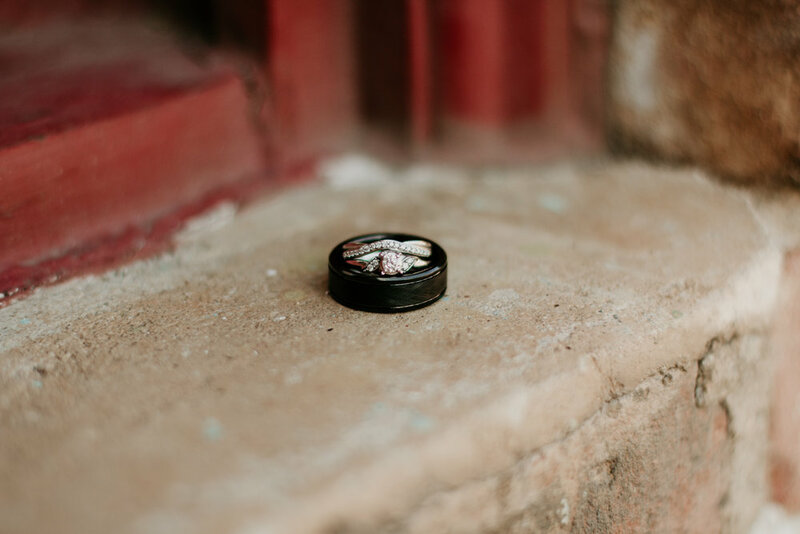 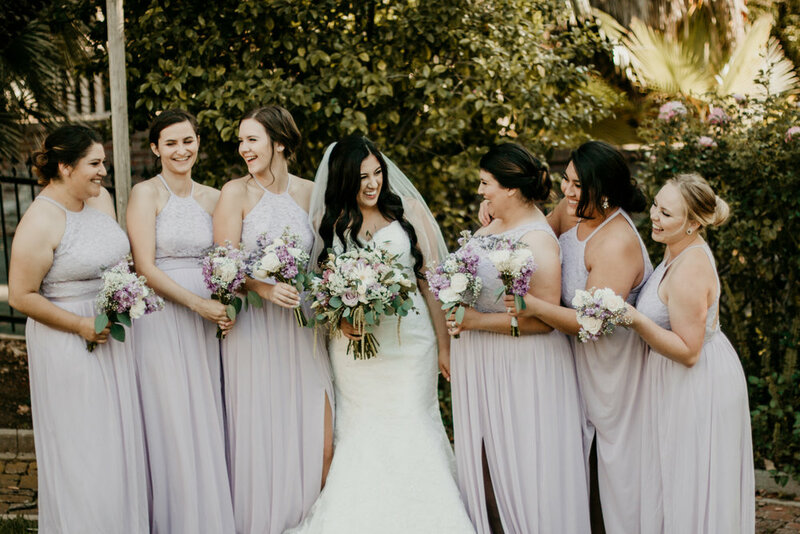 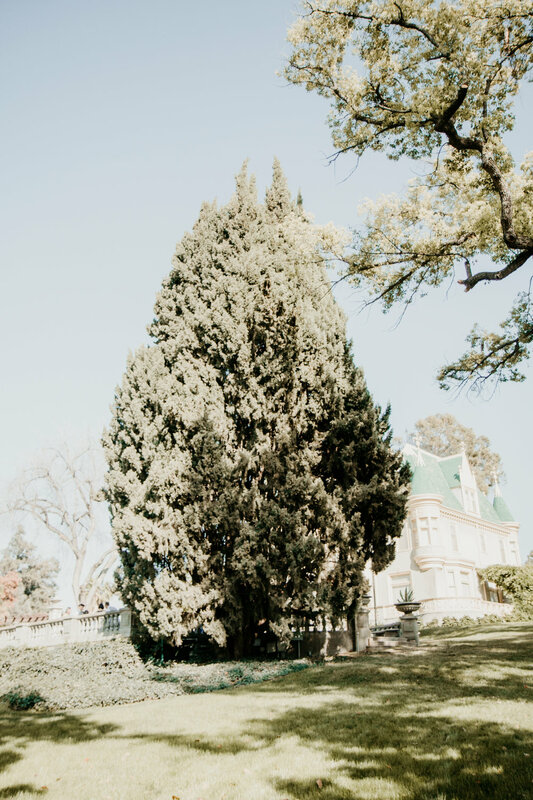 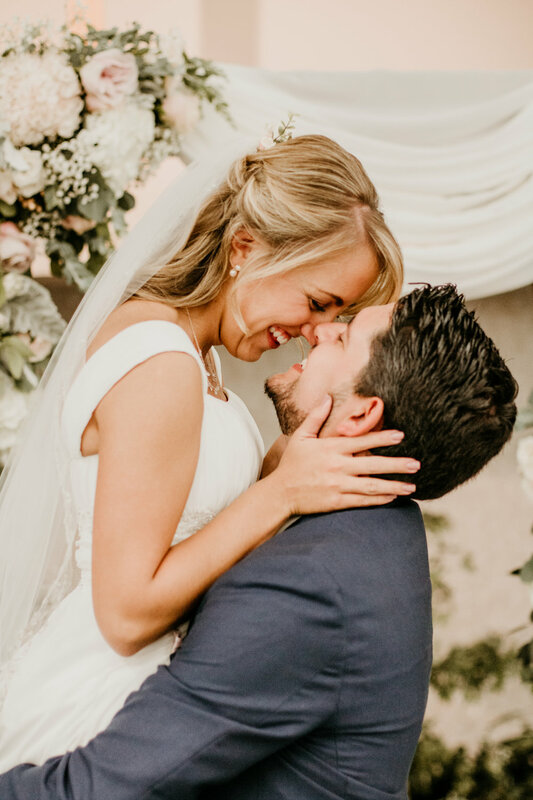 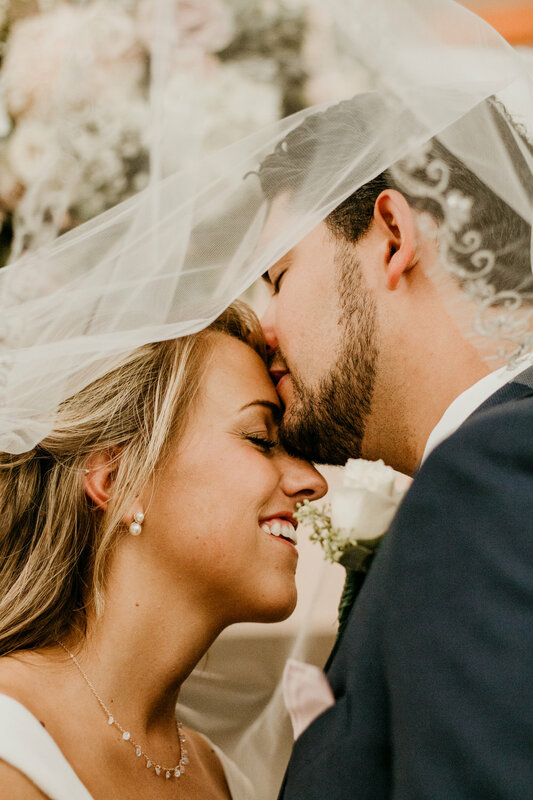 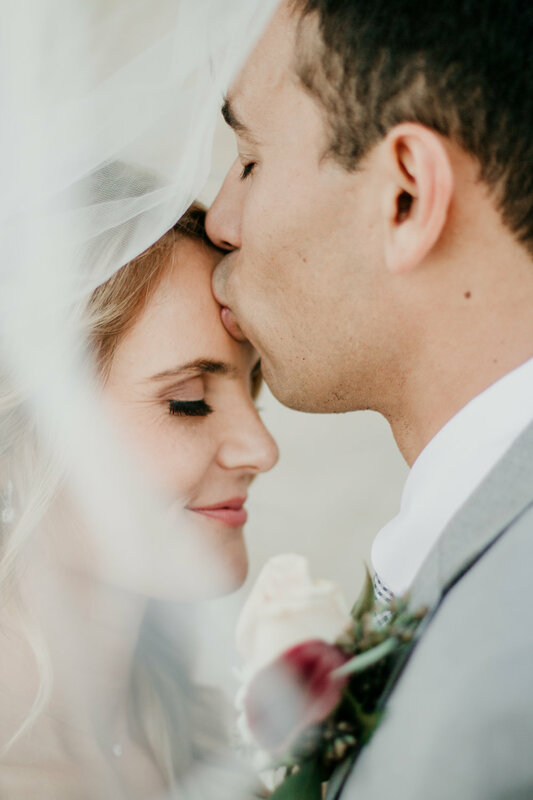 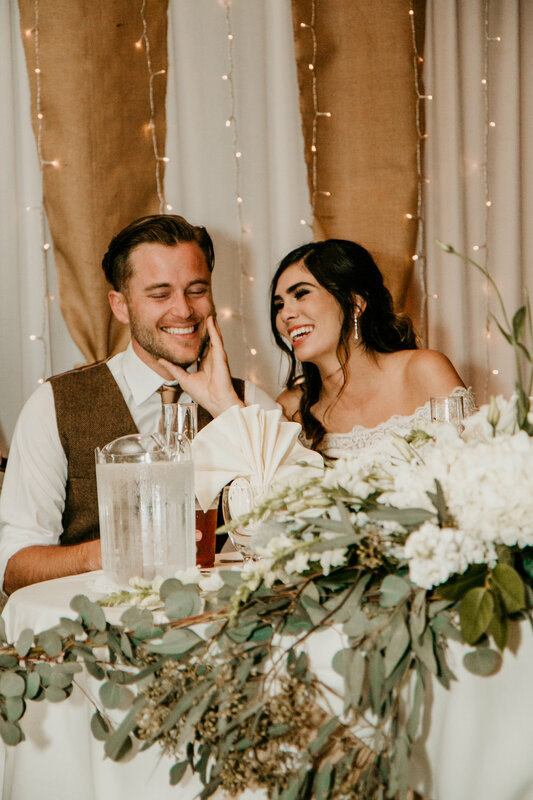 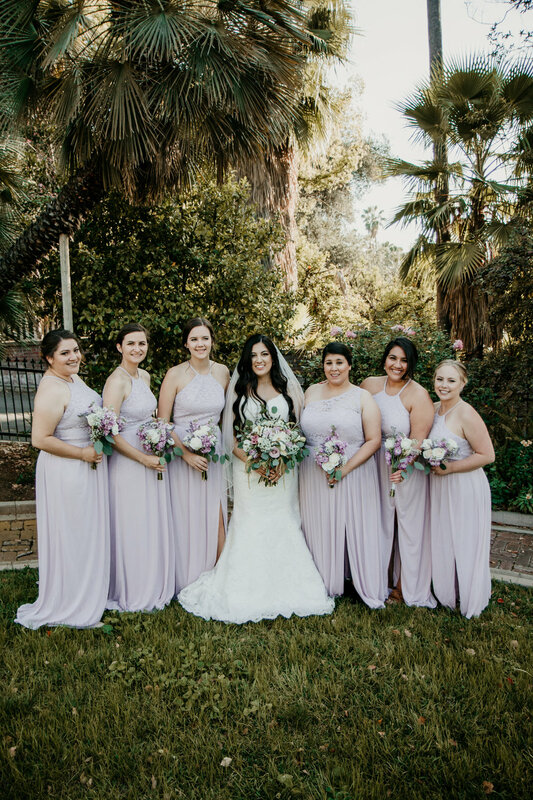 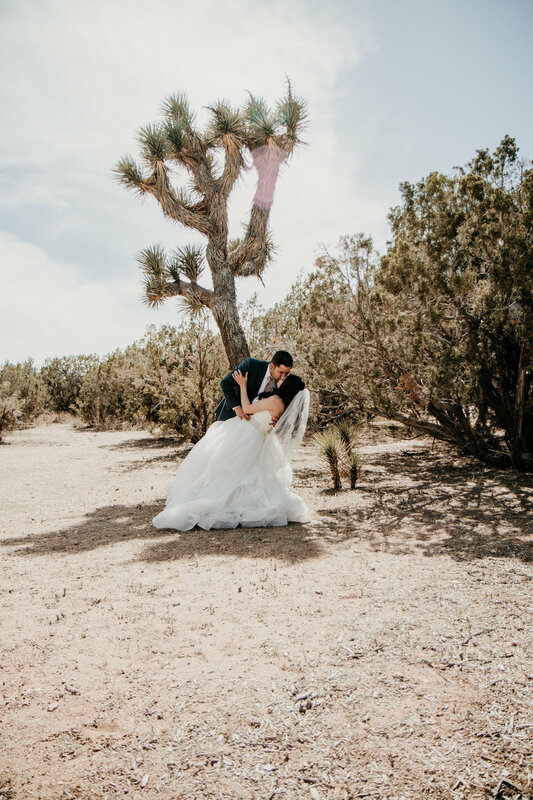 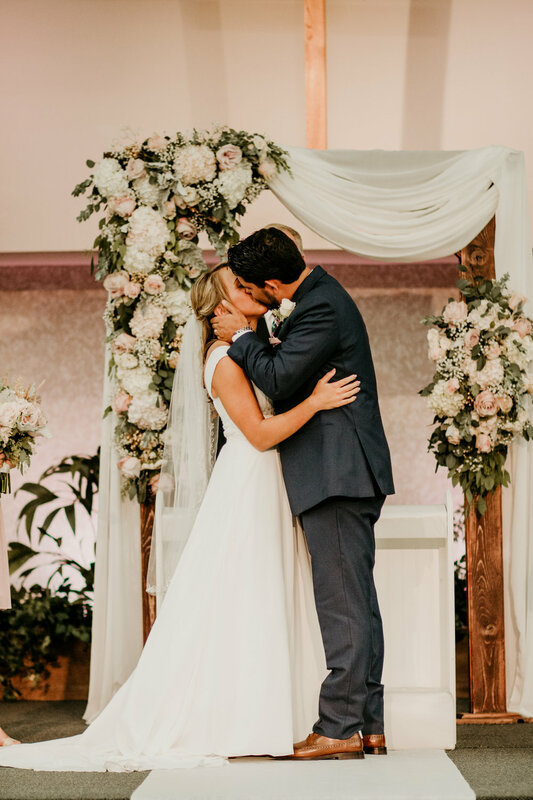 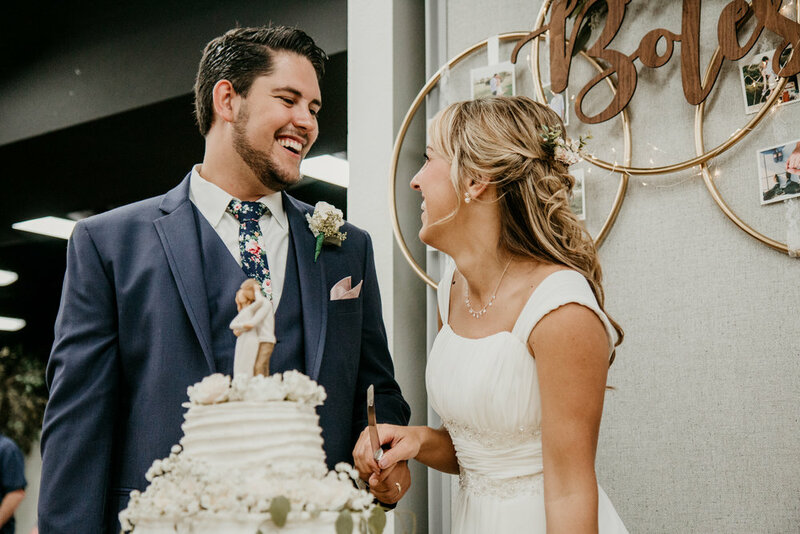 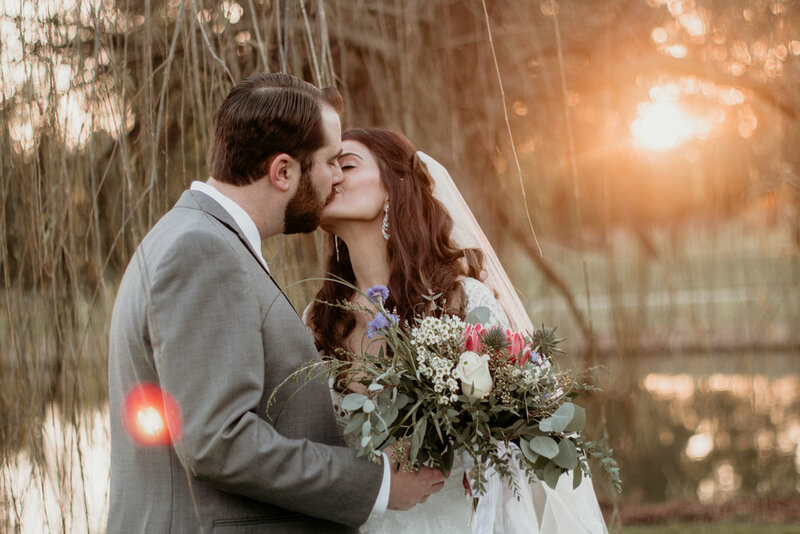 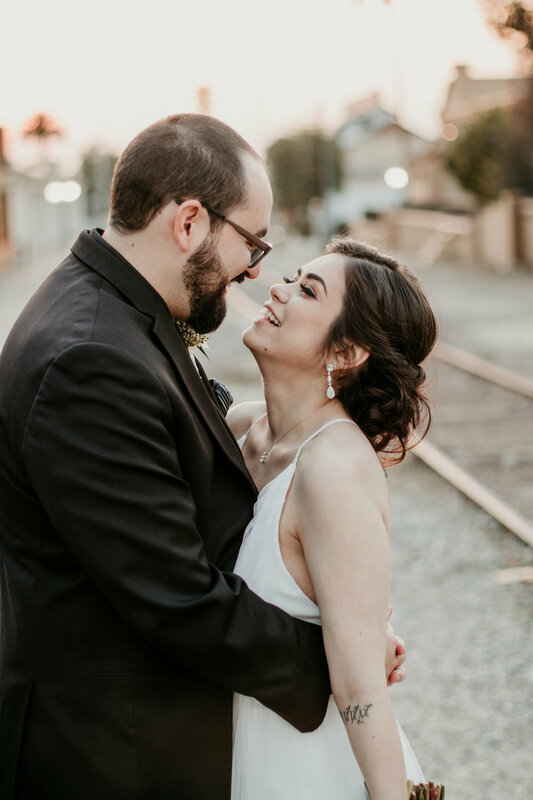 This gorgeous Wedgewood wedding was definitely one for the books. 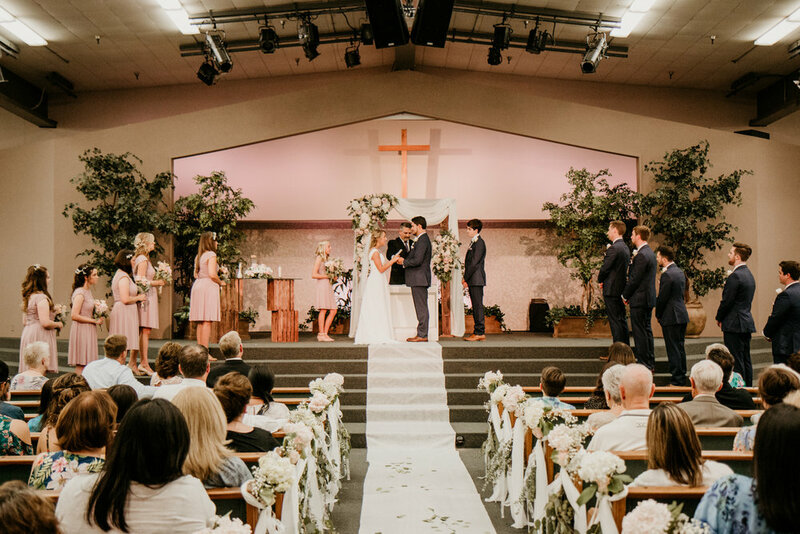 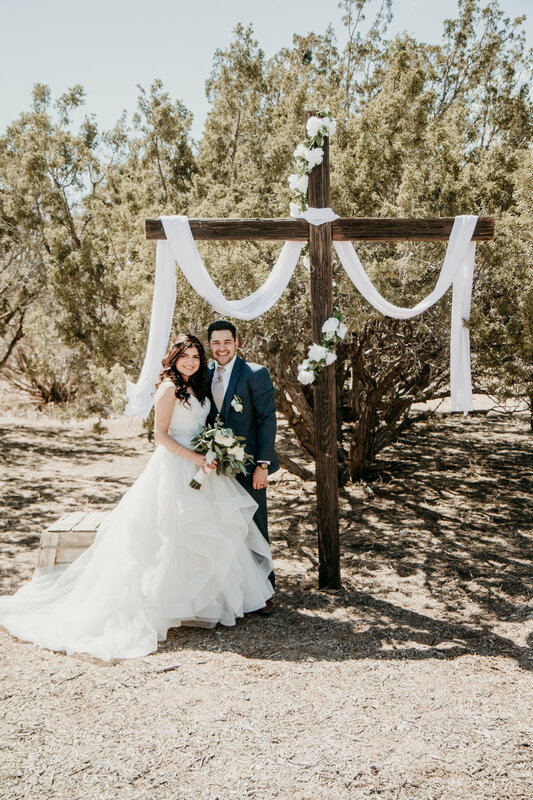 Elizabeth and Travis chose to get married at their local church. 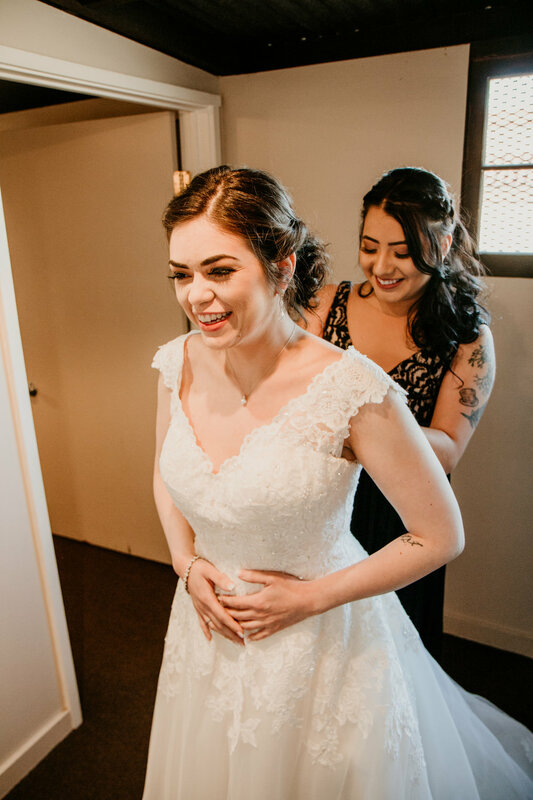 Elizabeth was running a smidgen late so when we were finally able to meet our blushing bride she was nervous and stressed. 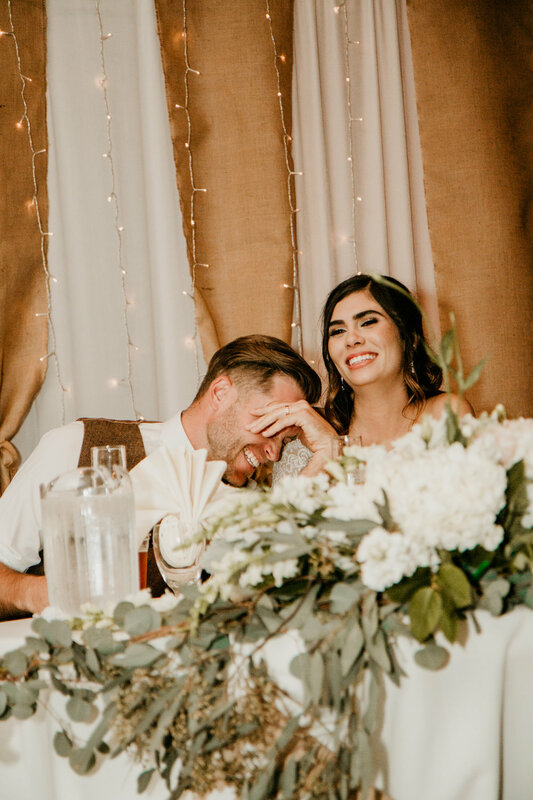 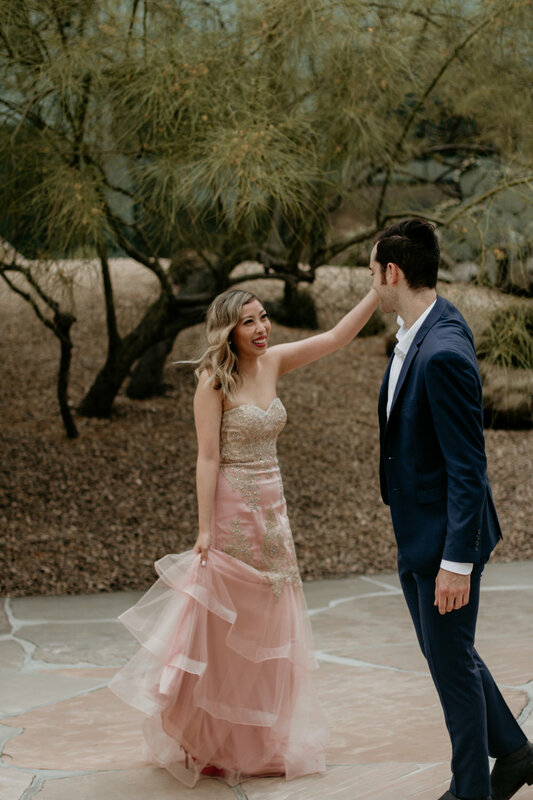 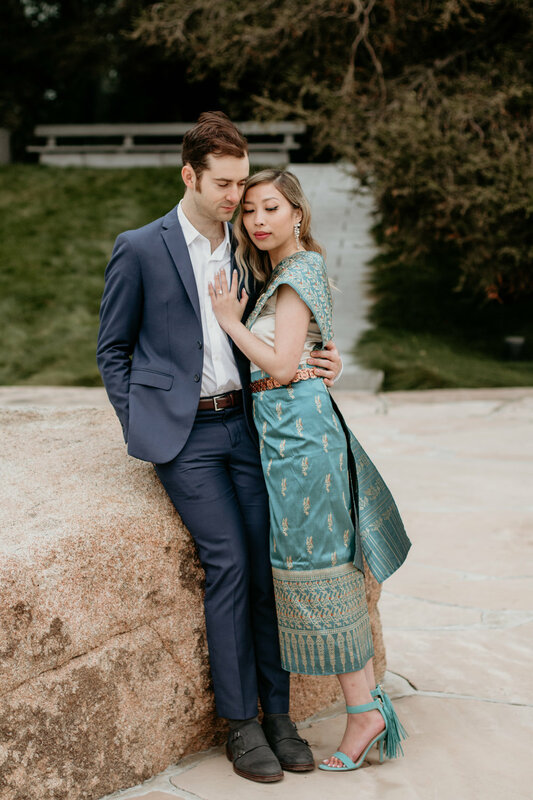 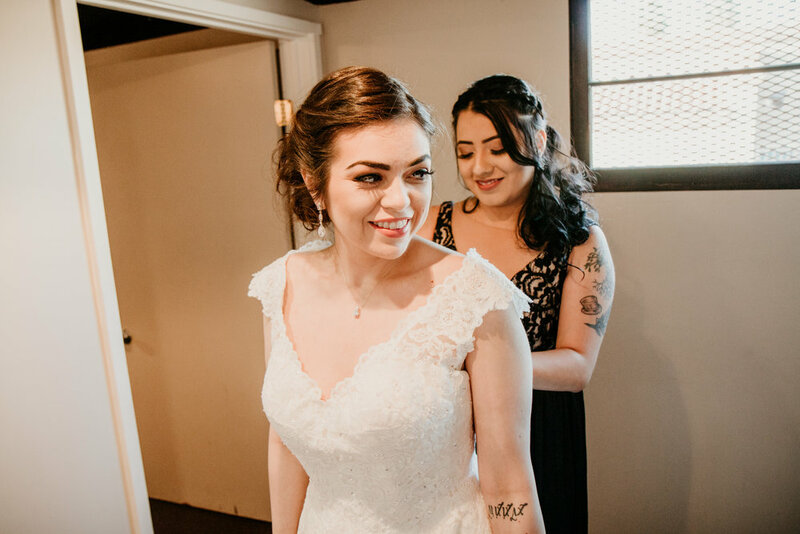 We did our best to calm her nerves, but as it is at so many weddings, once her wedding dress went on not only did she look amazing (check out that stunning dress) but her nerves ceased. 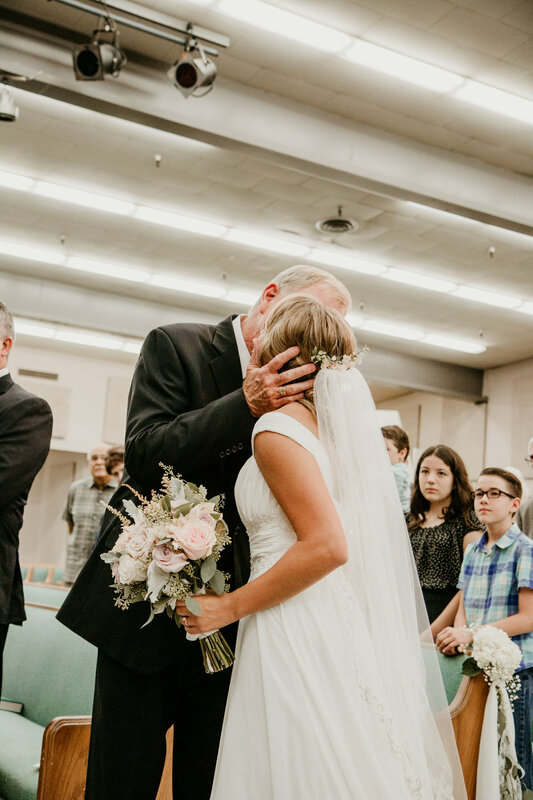 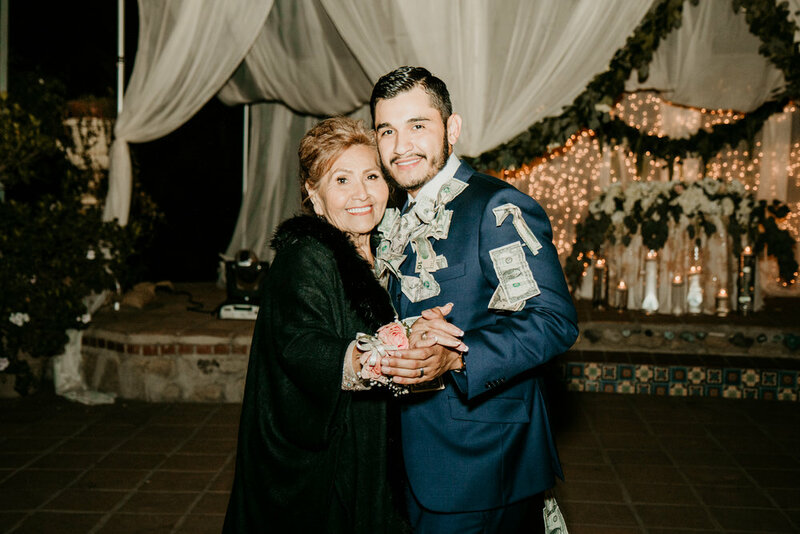 She was ready to see the man of her dreams and have her grandfather walk her down the aisle. 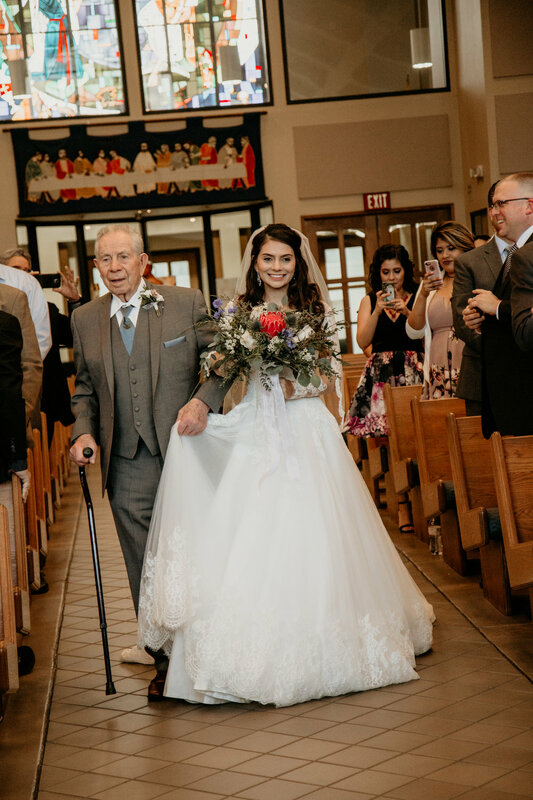 As the bride glided so gracefully down the aisle with her grandpa everyone stood and watched in awe of how stunning she looked. 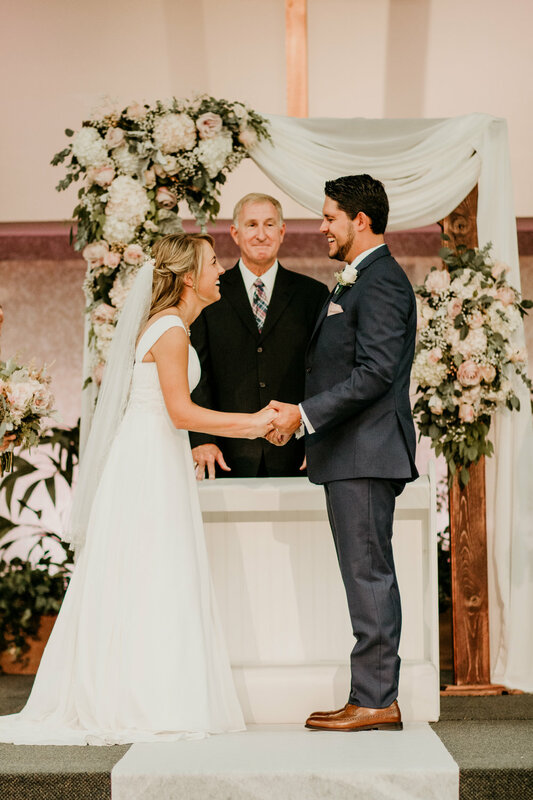 When she finally made it to her groom she took his hands and their wedding ceremony began. 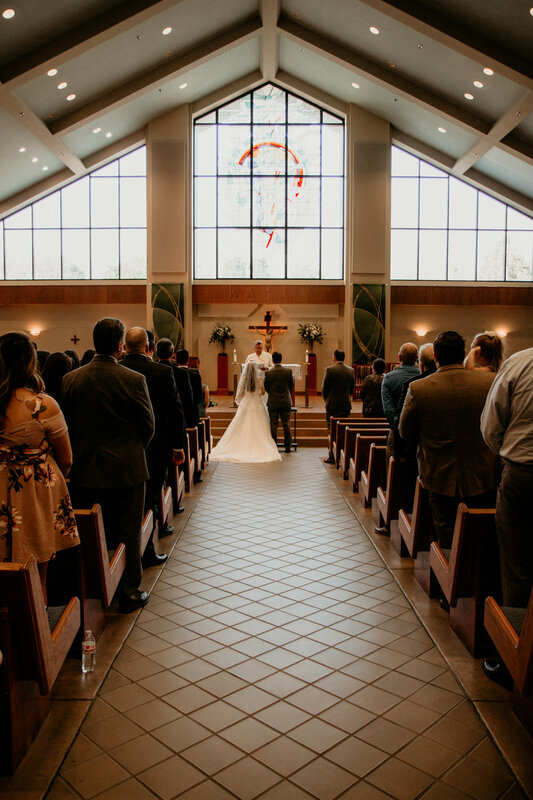 The ceremony was beautiful and filled with perfect prayers and love. 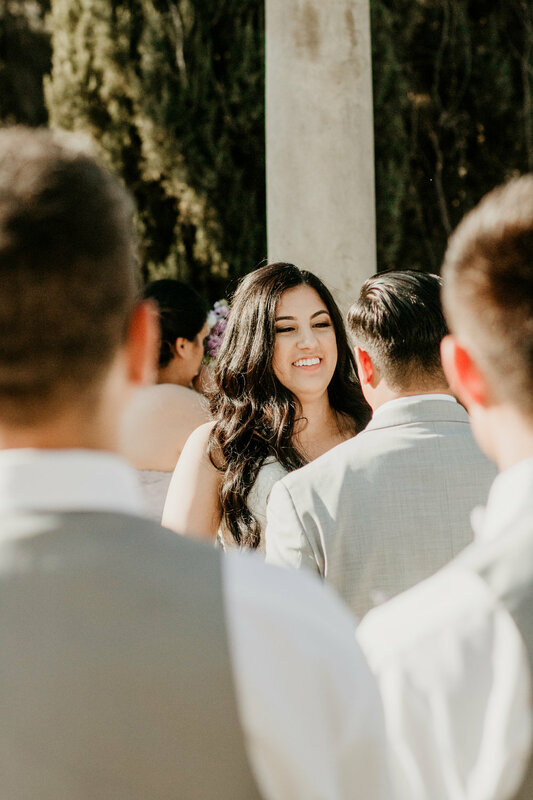 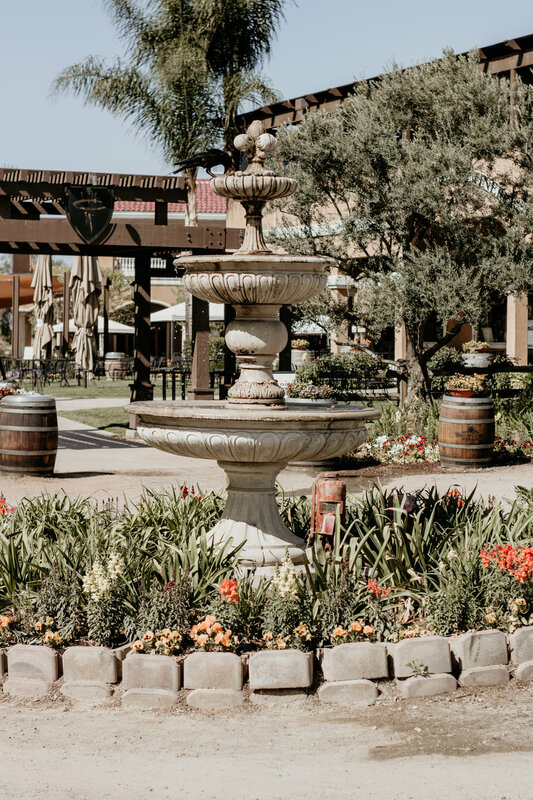 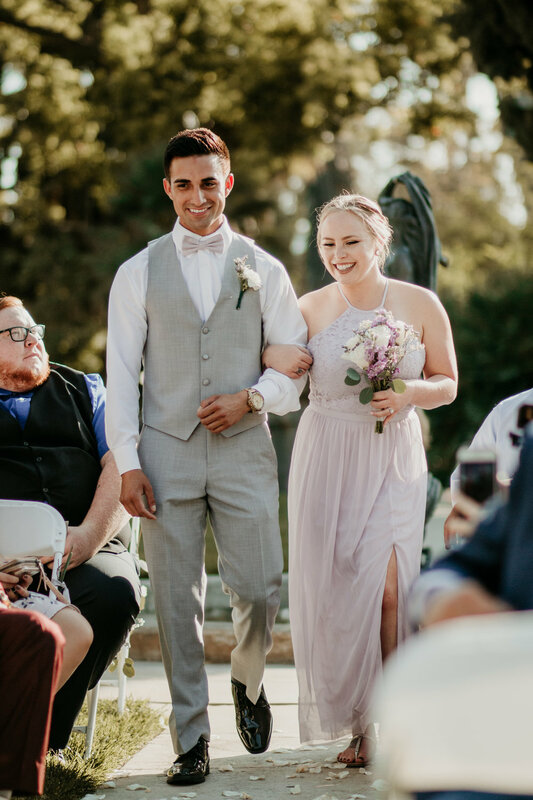 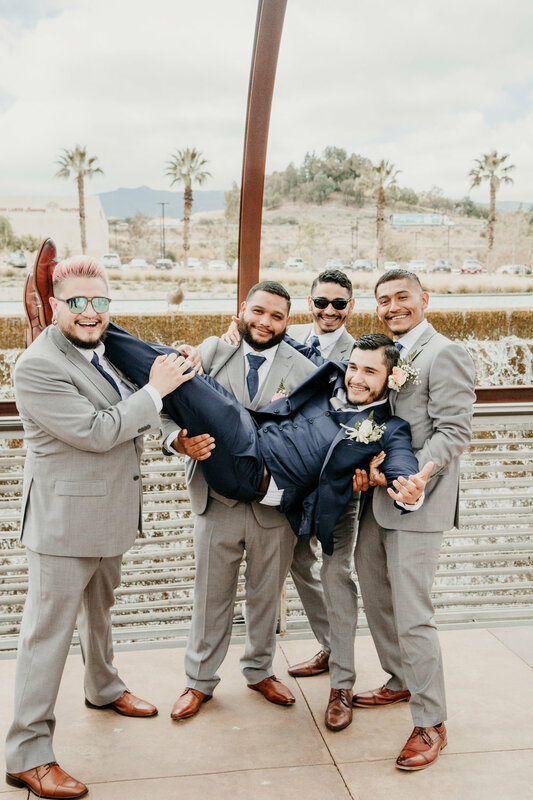 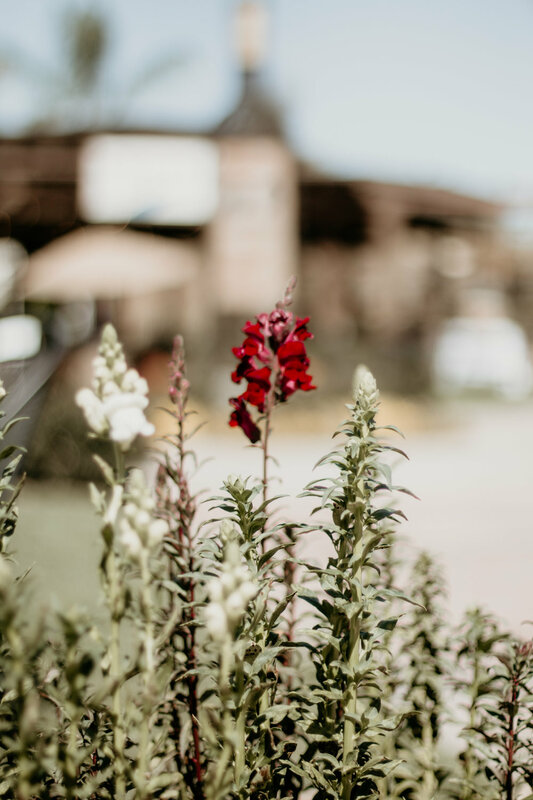 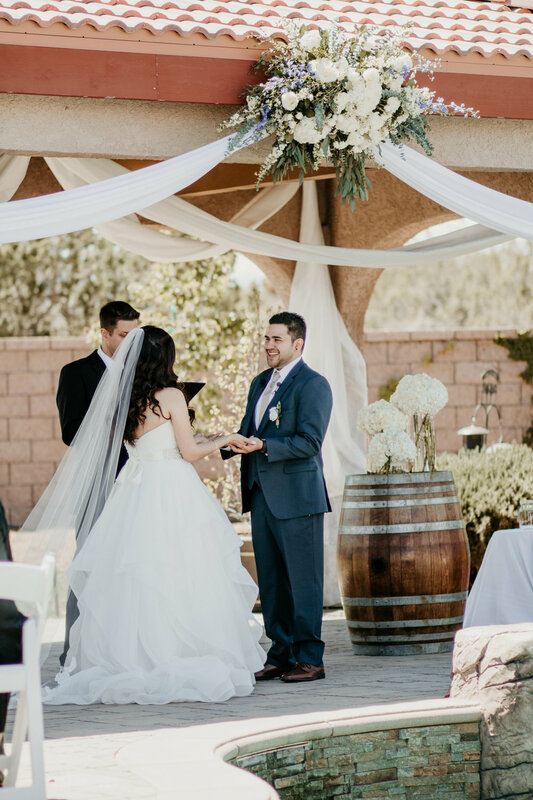 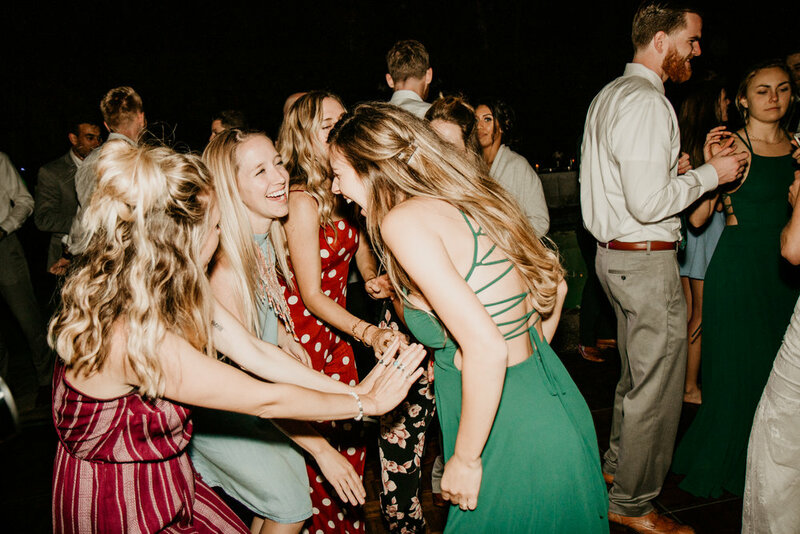 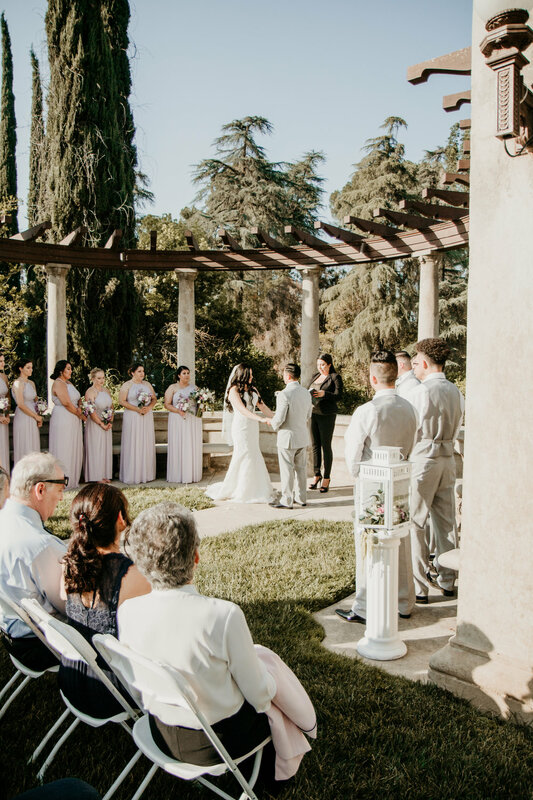 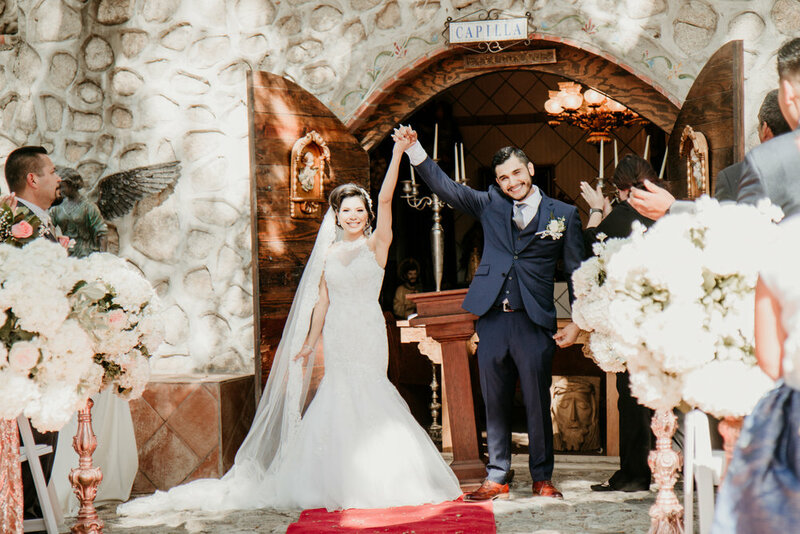 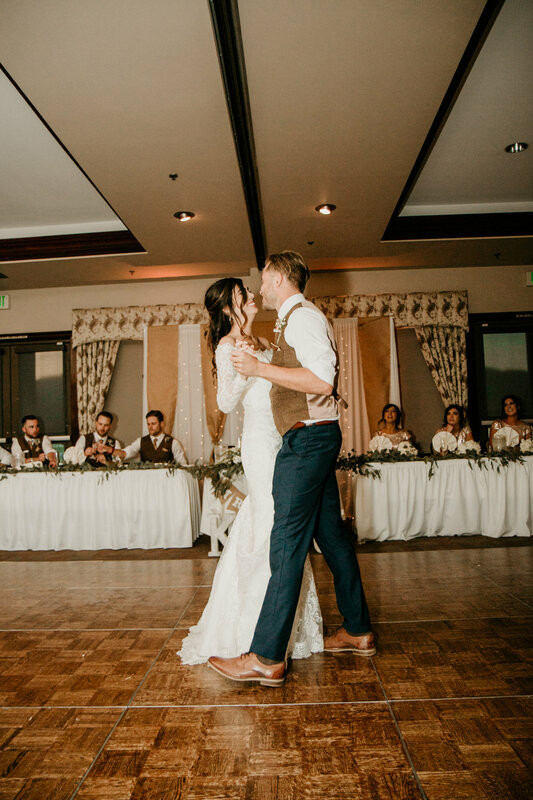 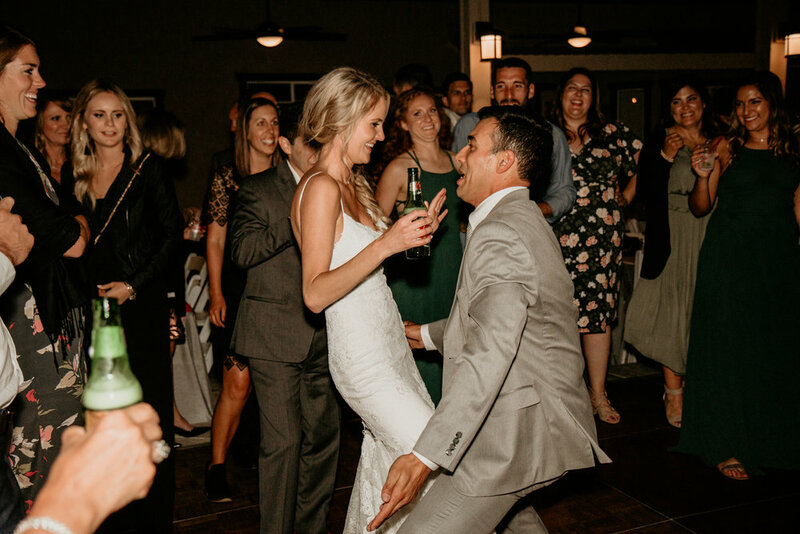 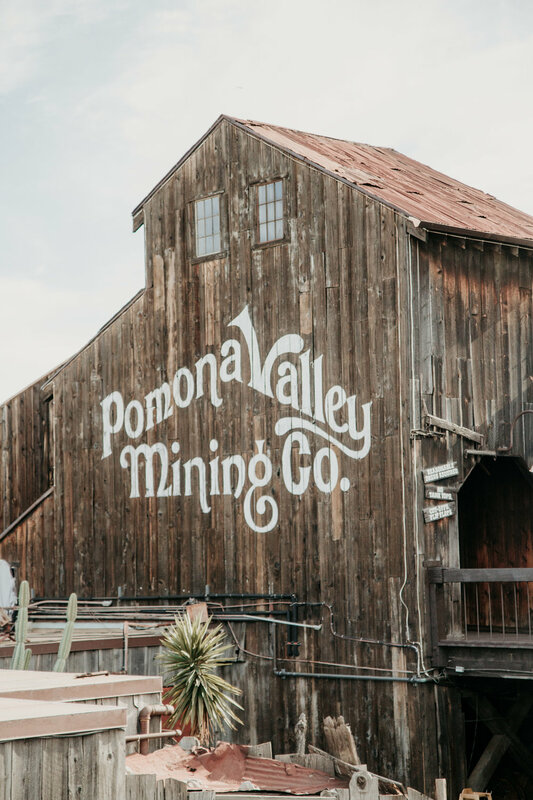 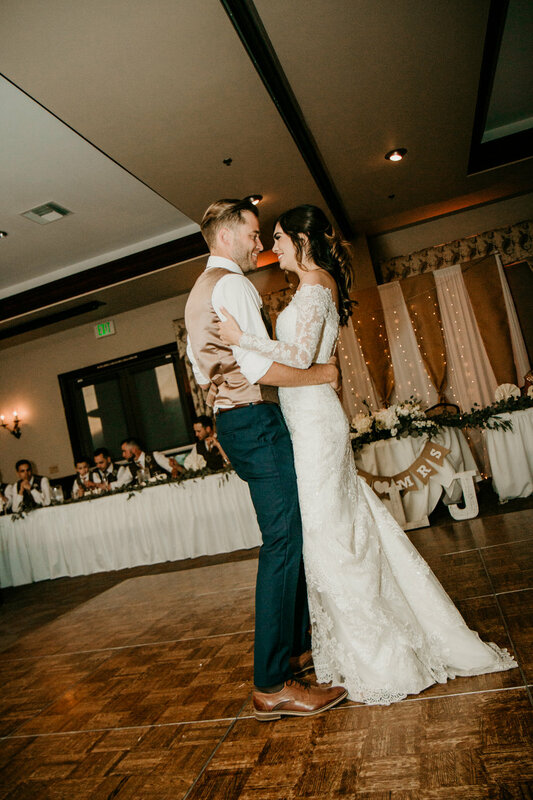 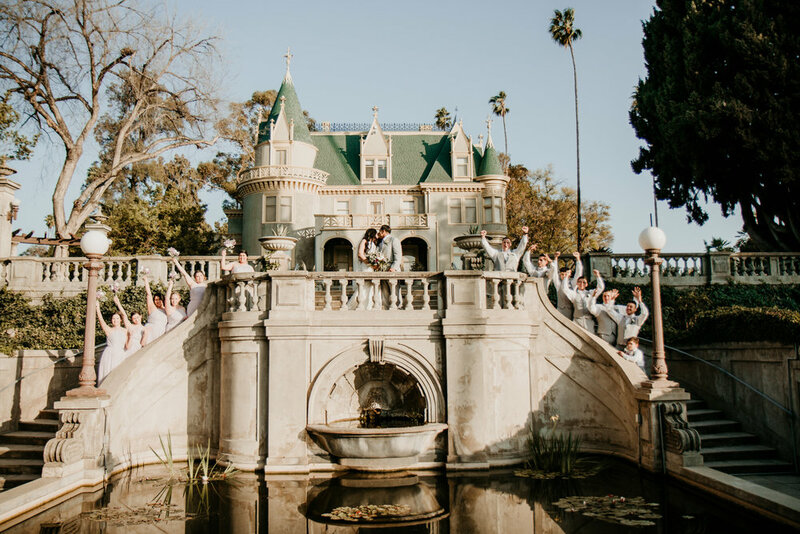 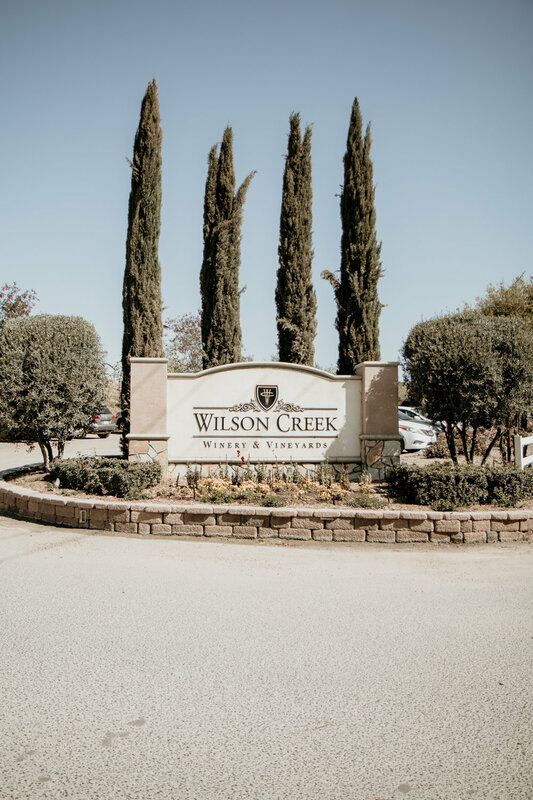 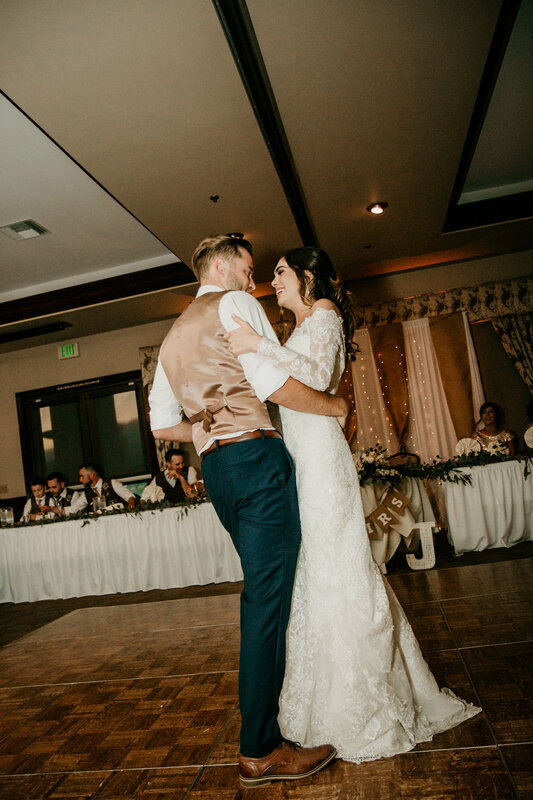 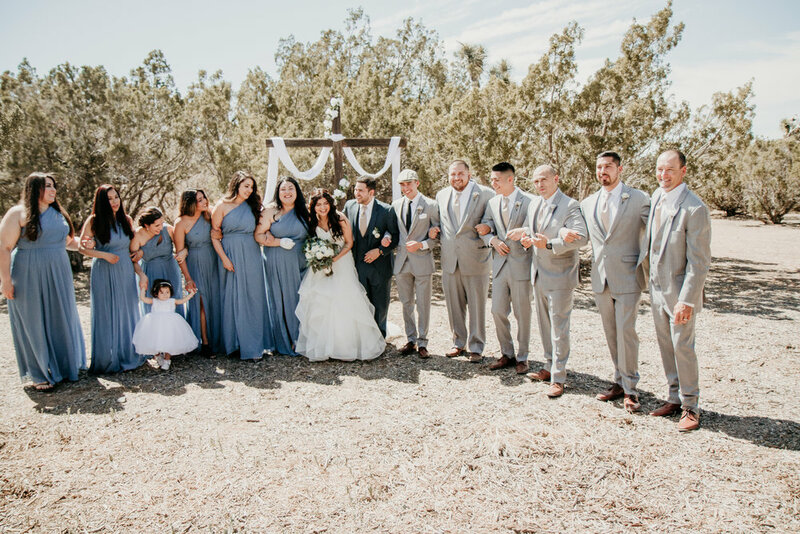 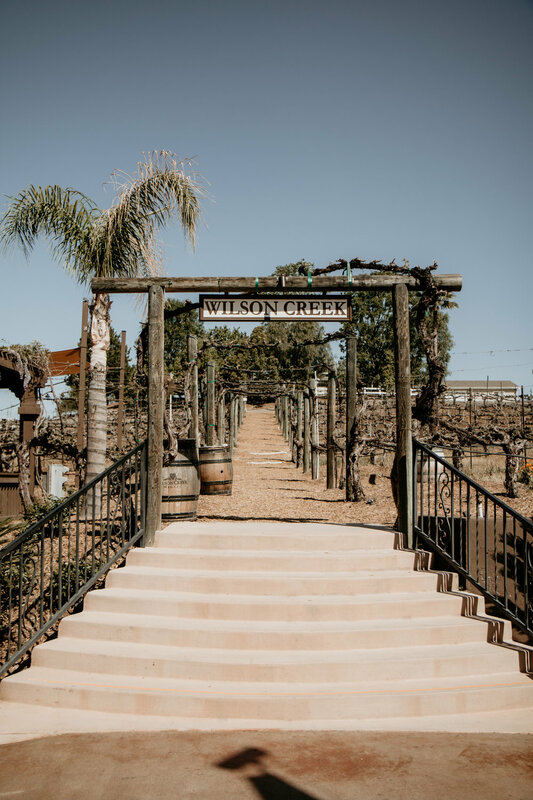 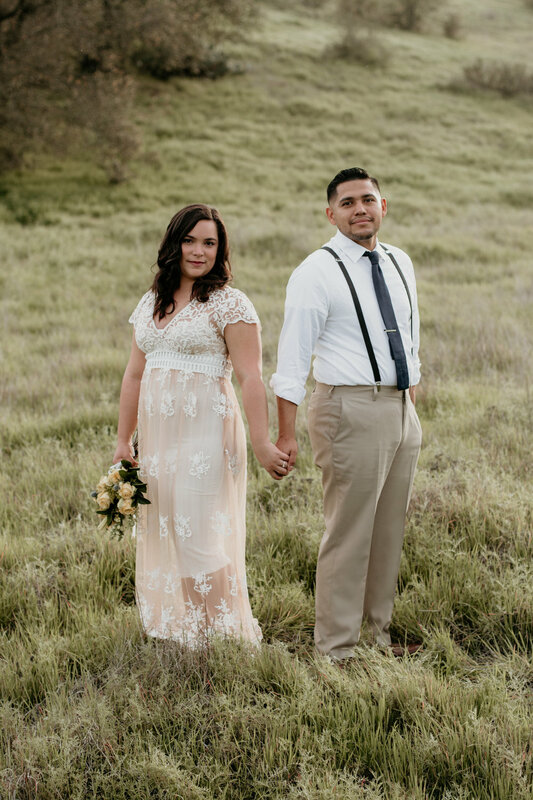 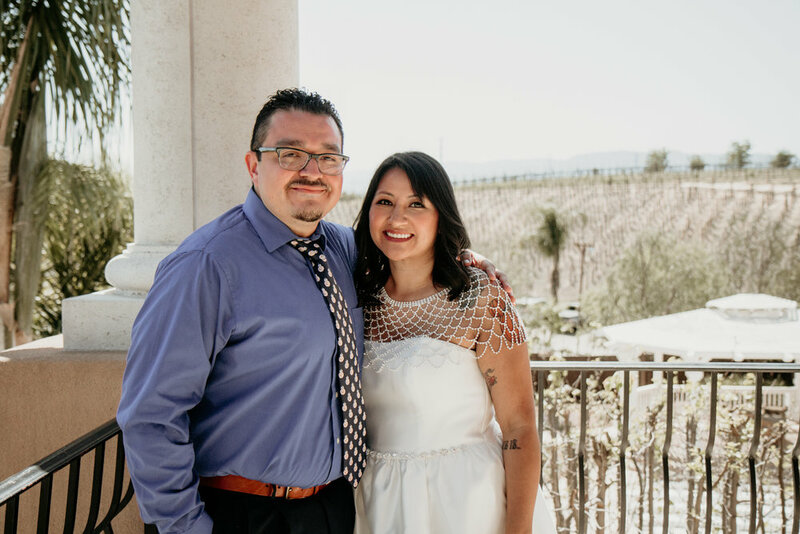 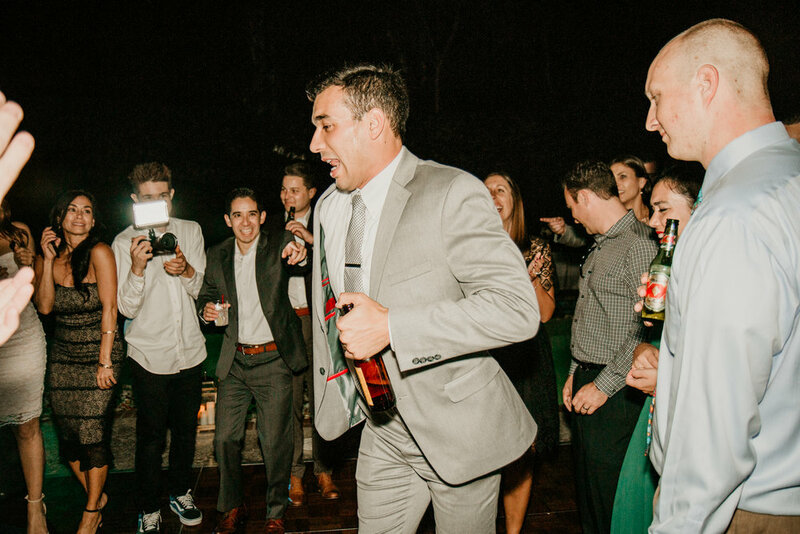 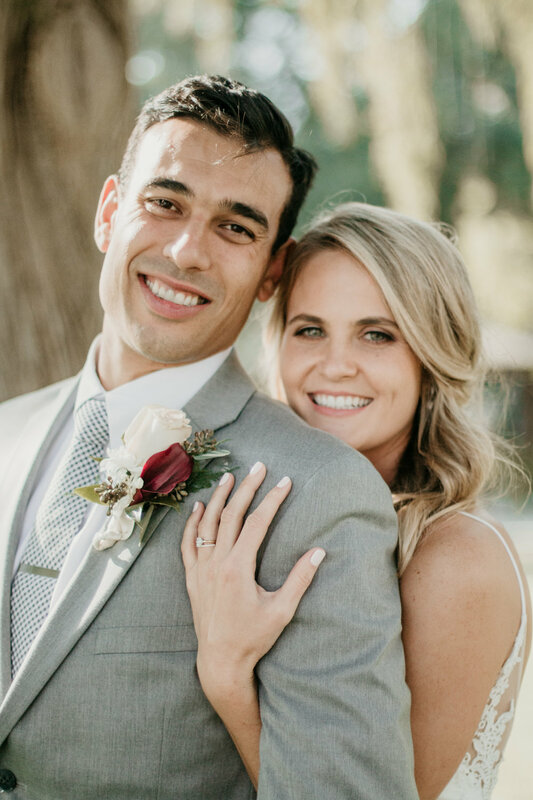 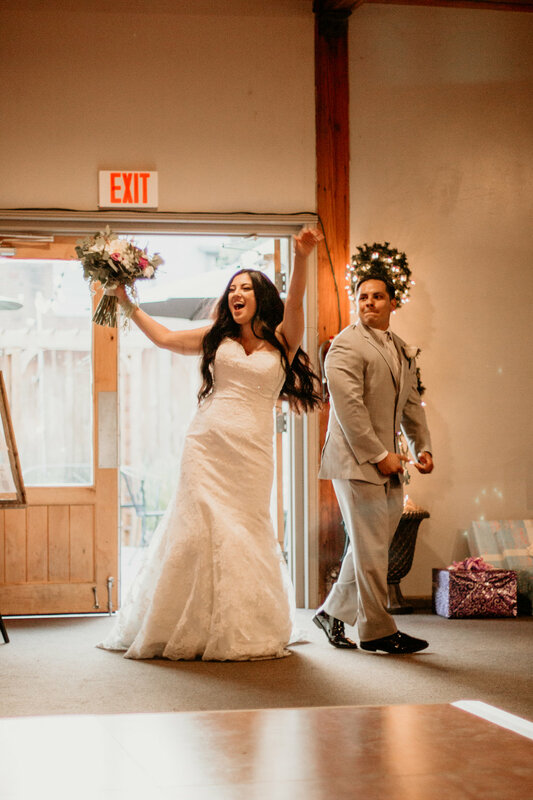 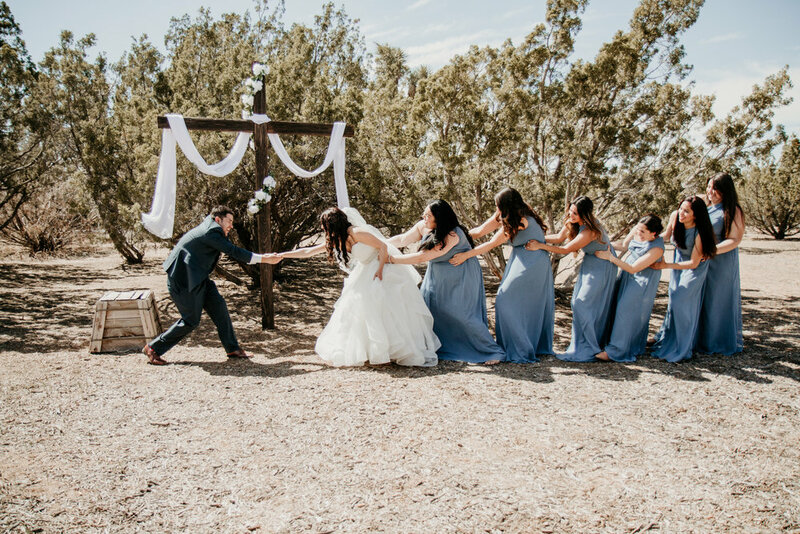 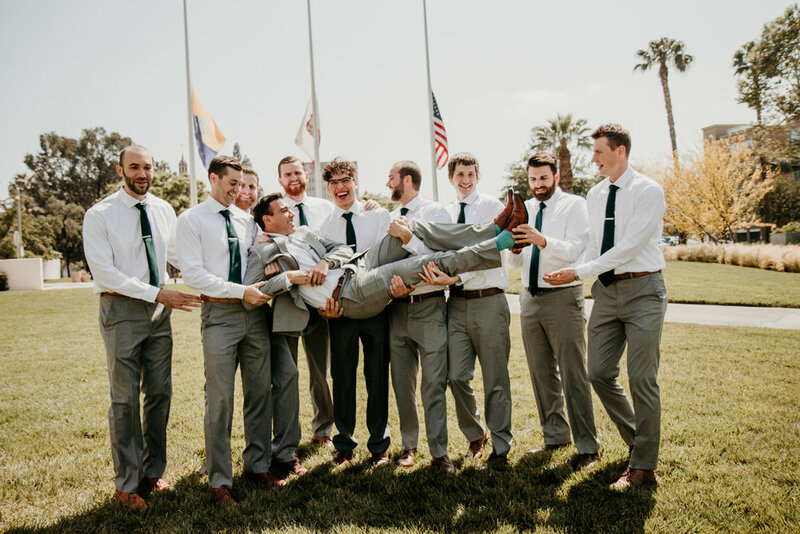 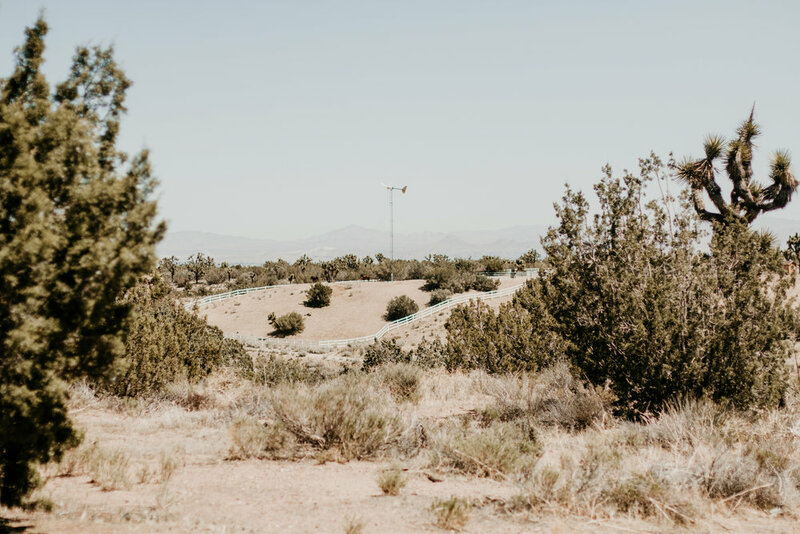 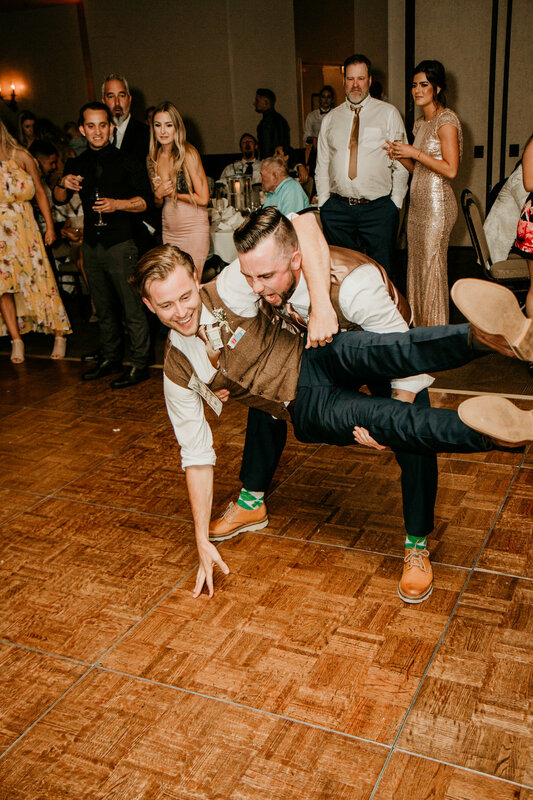 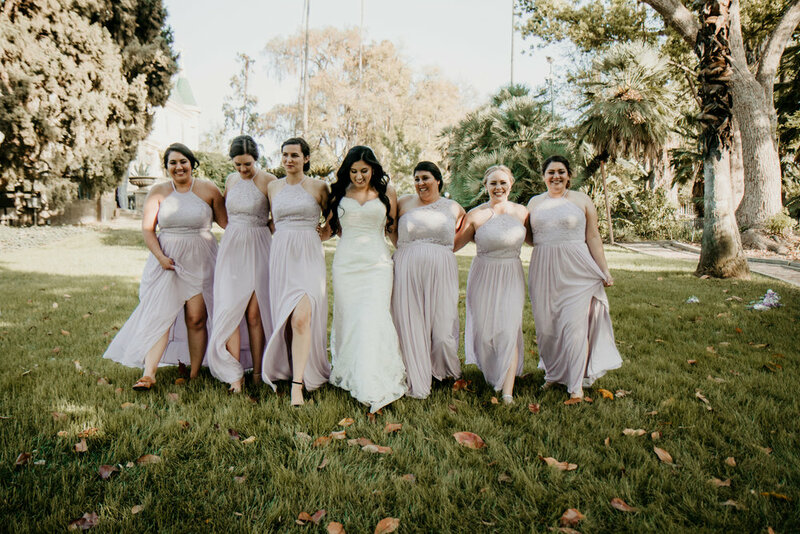 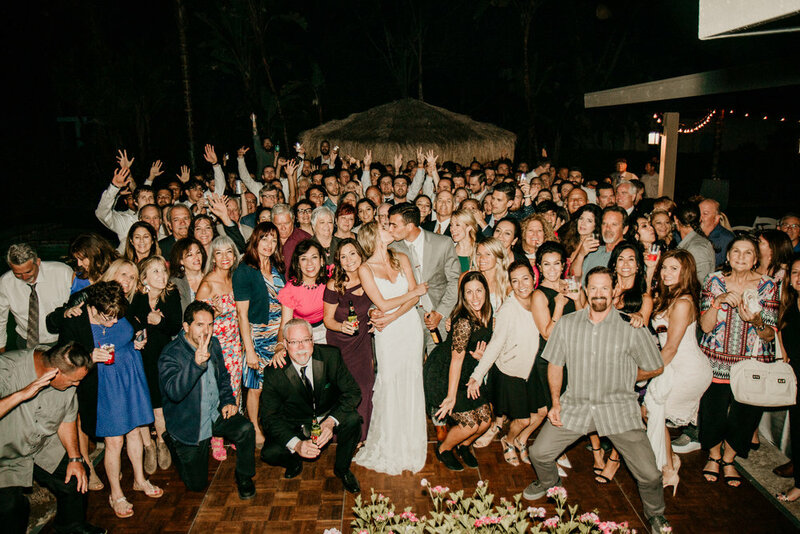 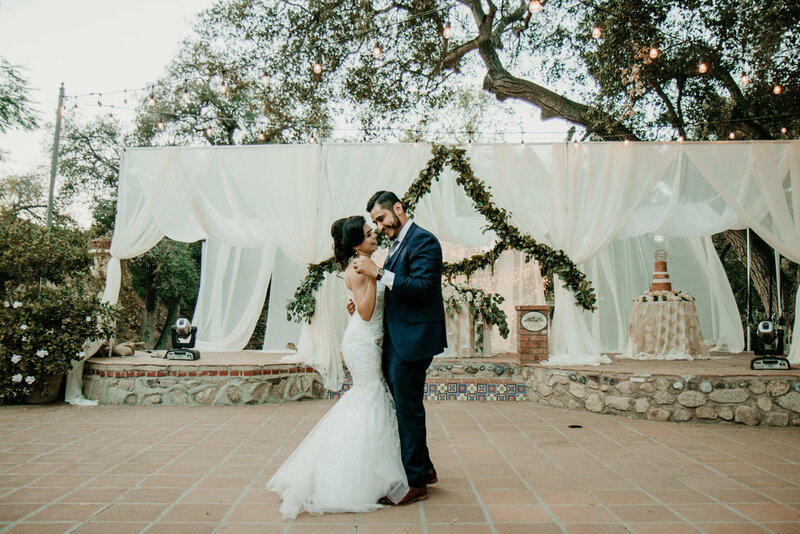 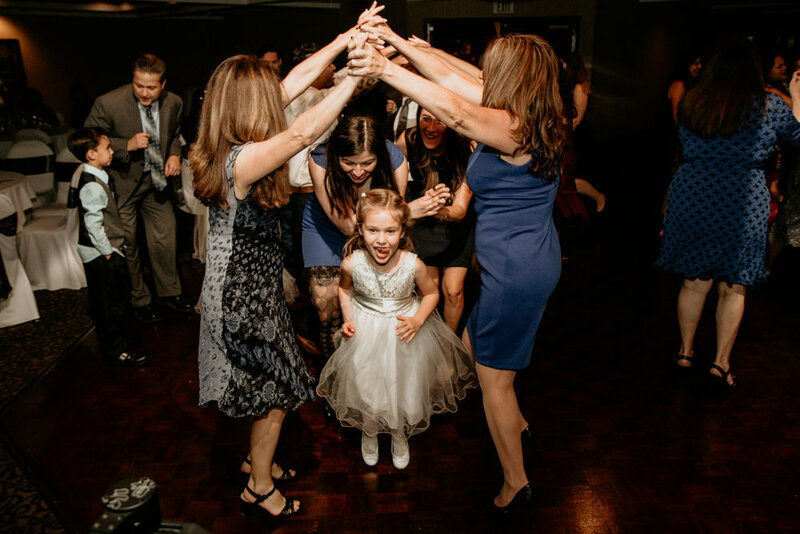 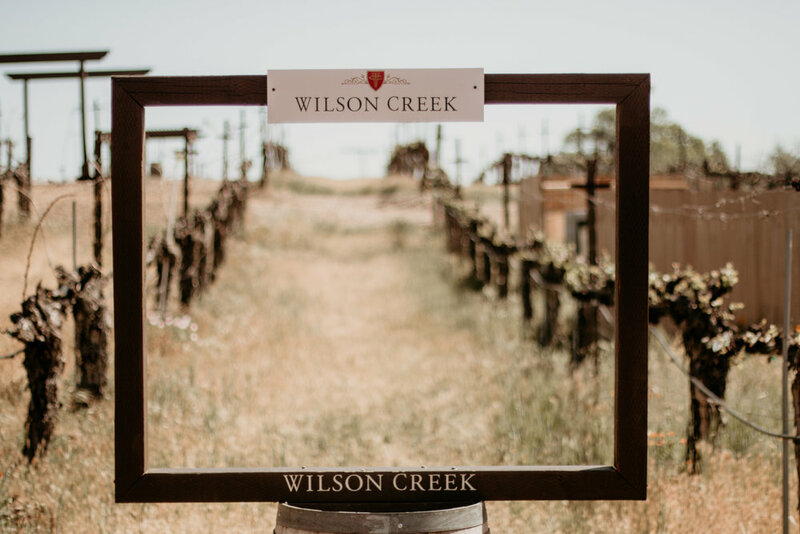 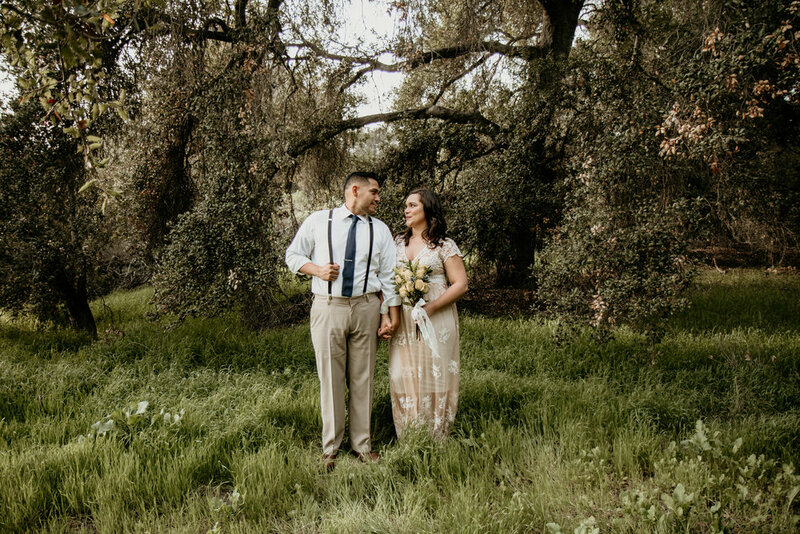 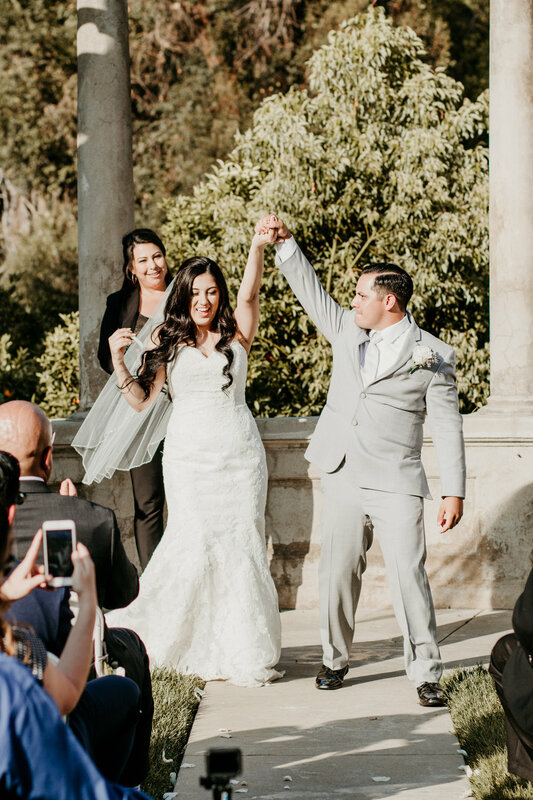 Once the ceremony was over everyone headed over to the Sierra la Verne Wedgewood wedding venue for some fun. 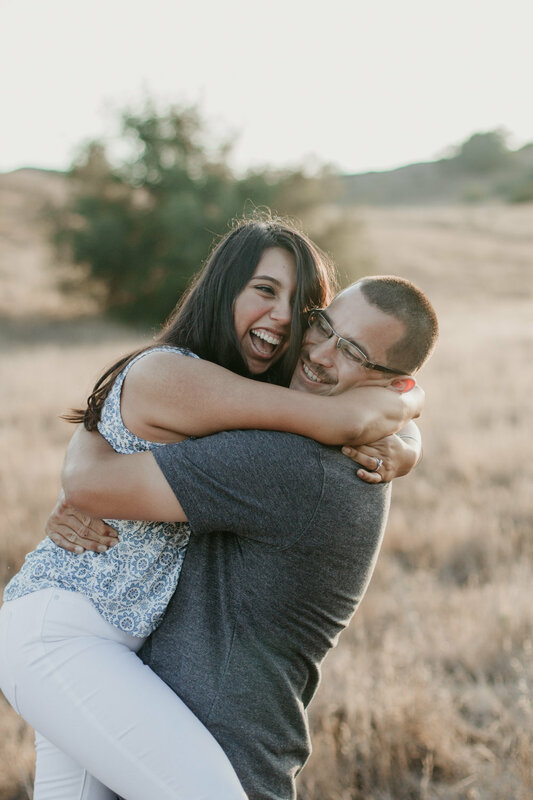 We were able to take this beautiful couple out onto the golf course for their "romantic" photos. 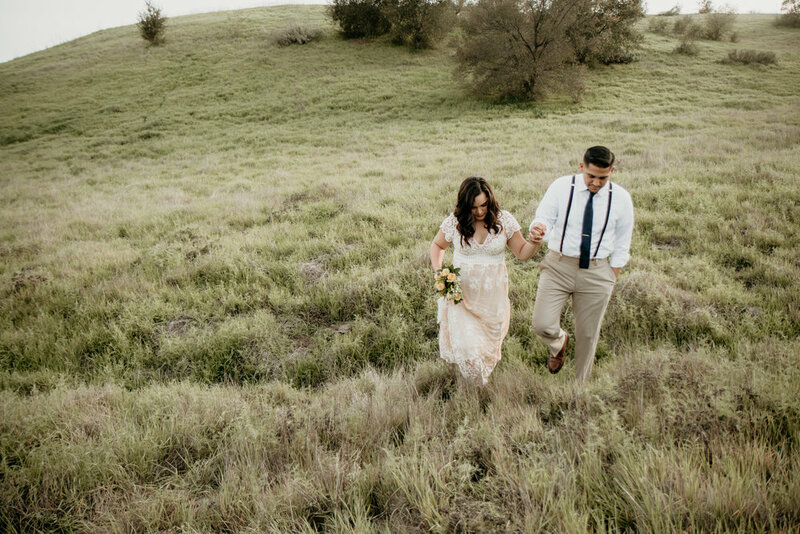 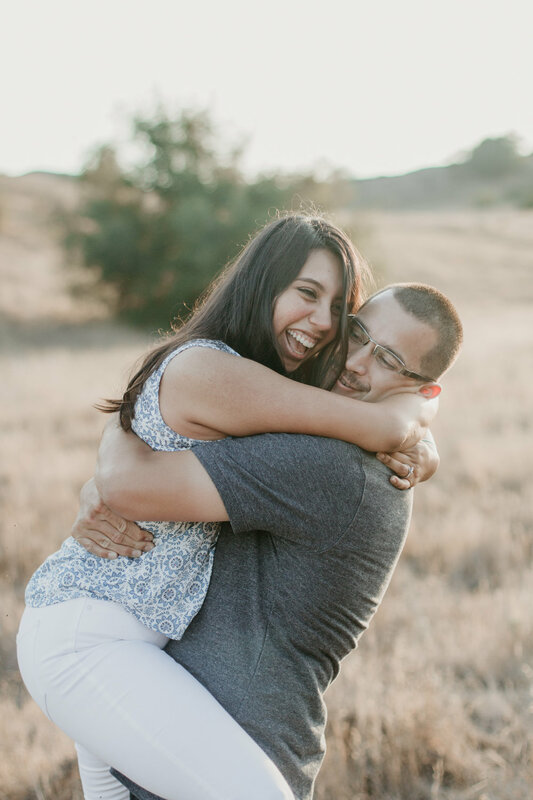 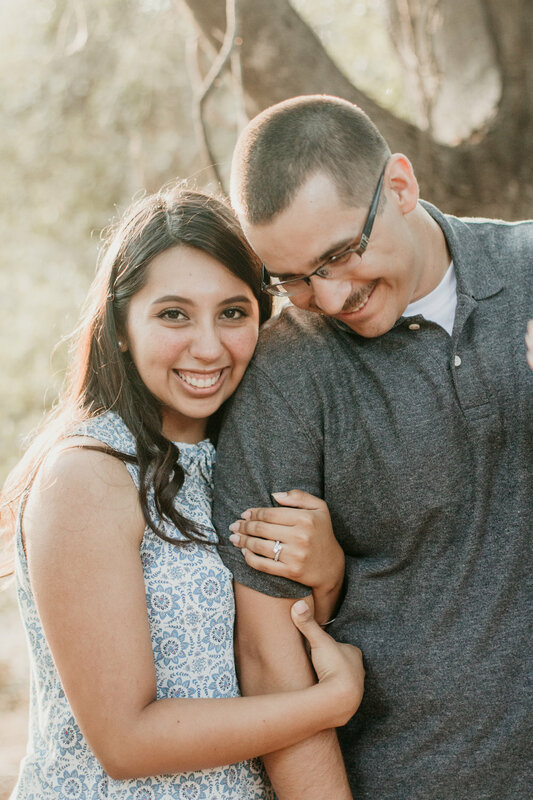 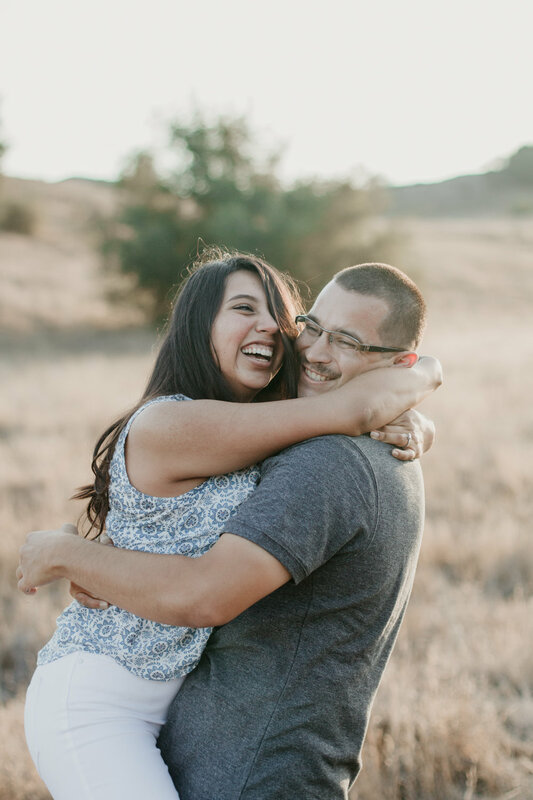 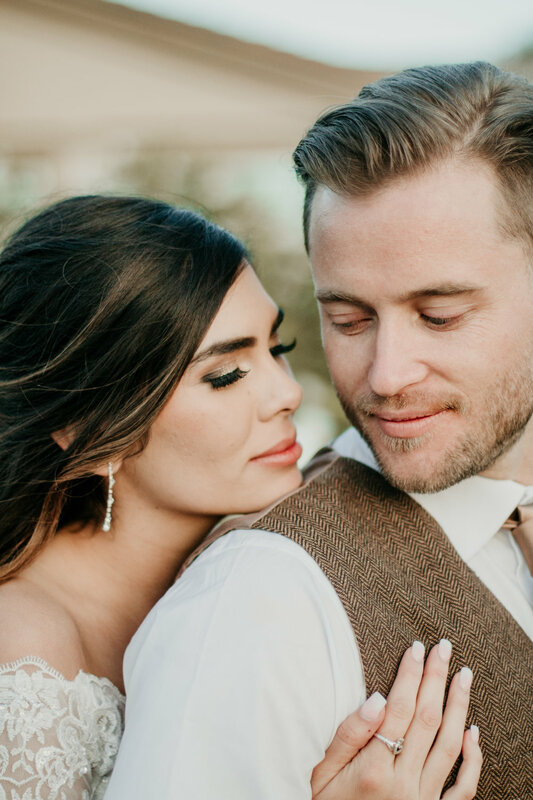 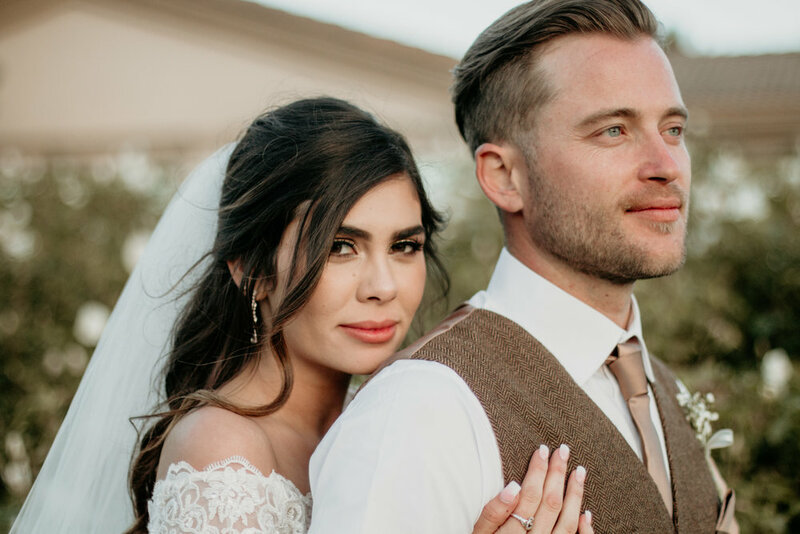 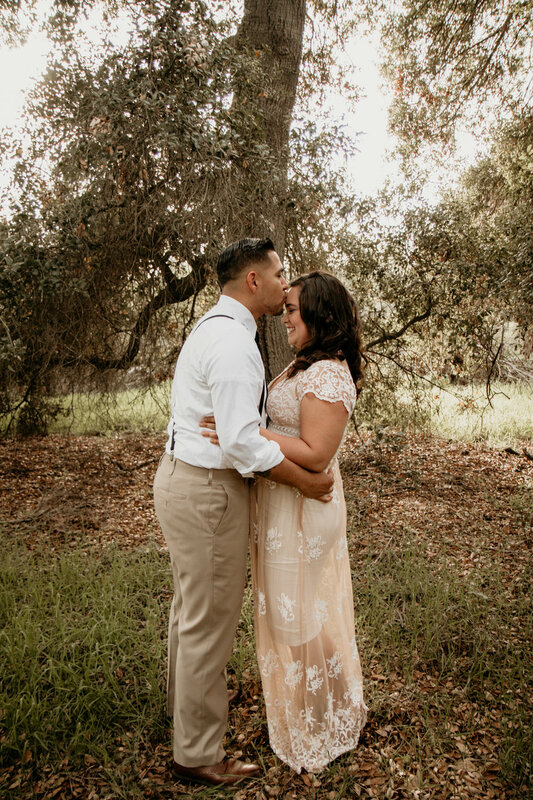 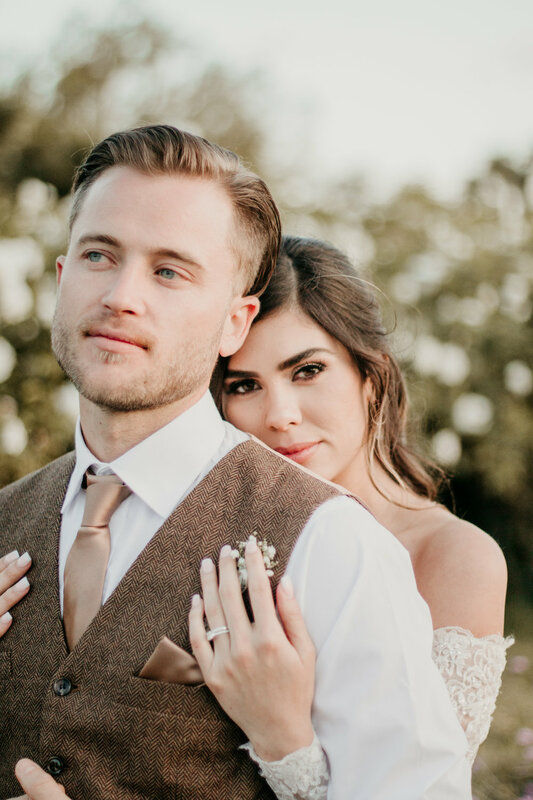 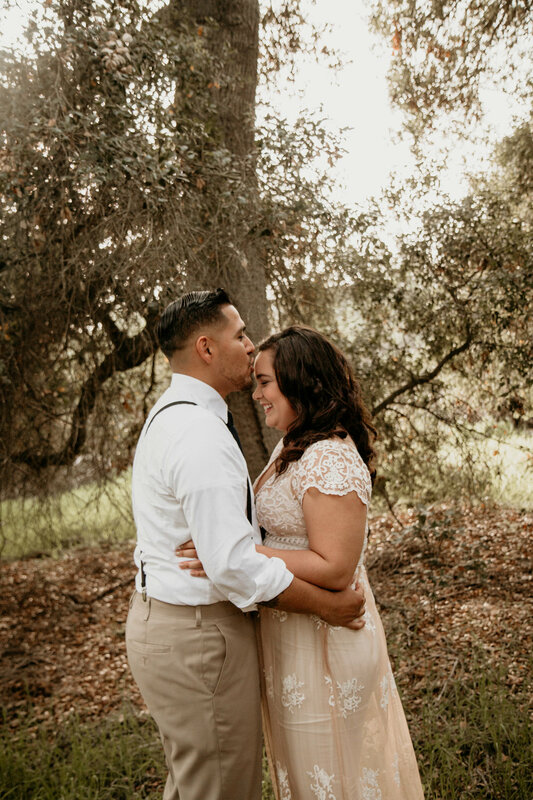 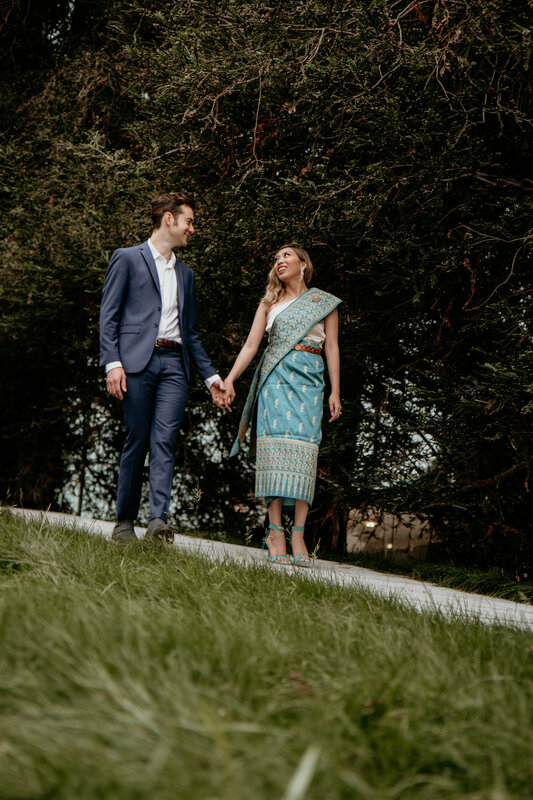 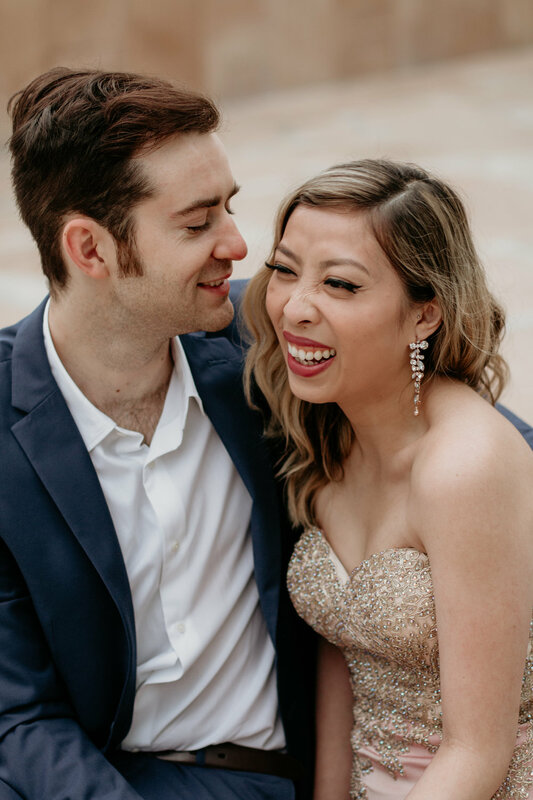 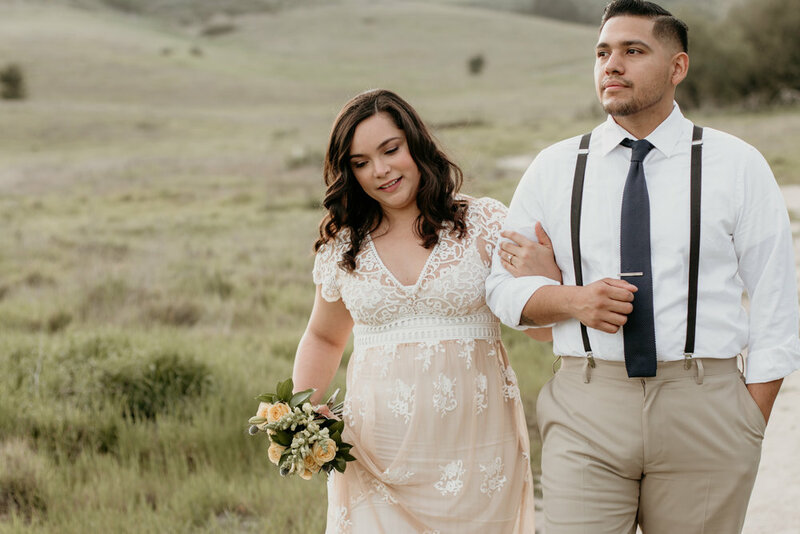 We walked around the golf course capturing amazing photos filled with love. 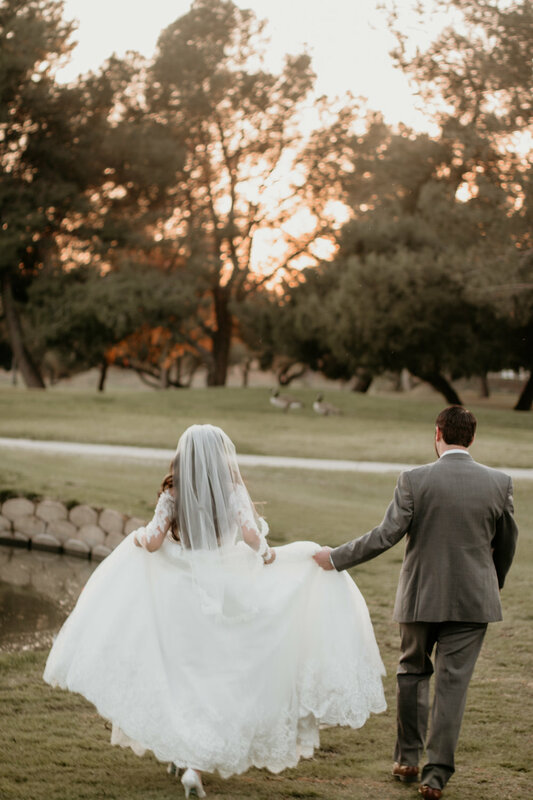 Along the way we were able to see some ducks and geese that kept us on our toes (I'm pretty scared of geese, so I was concerned). 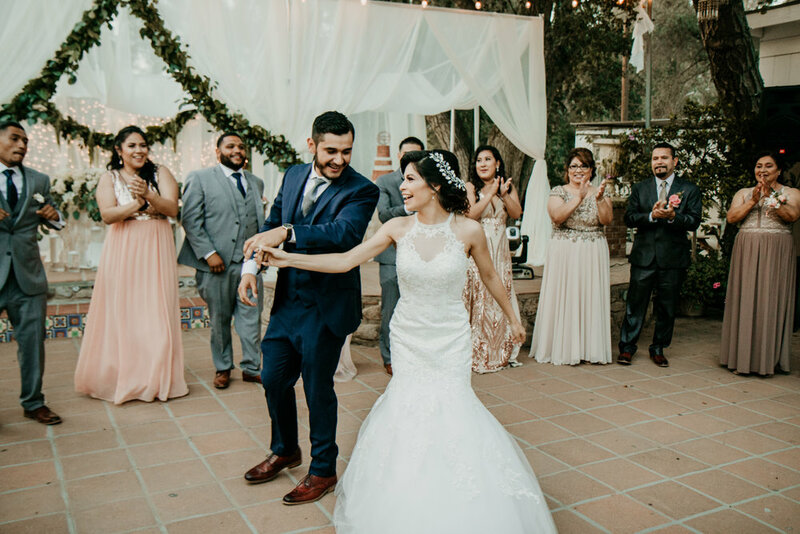 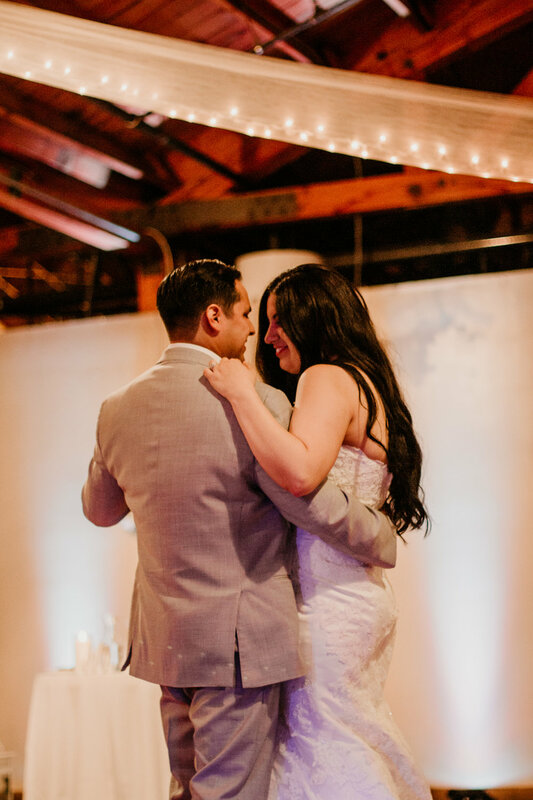 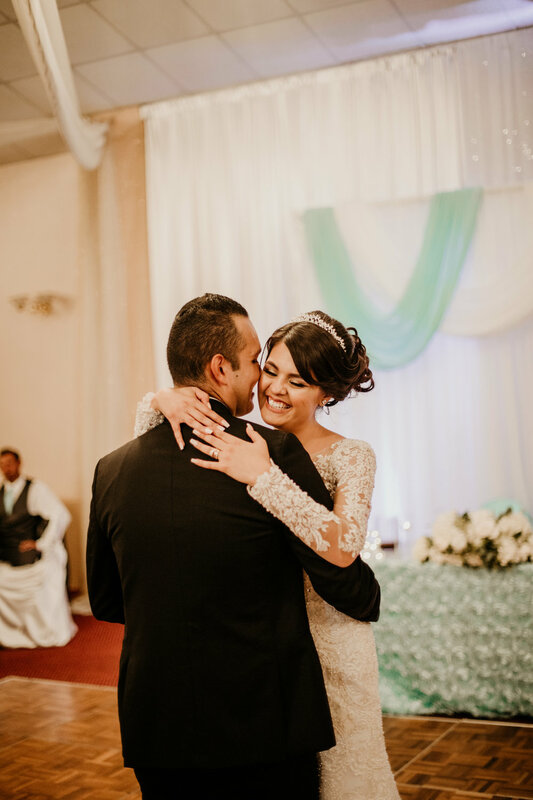 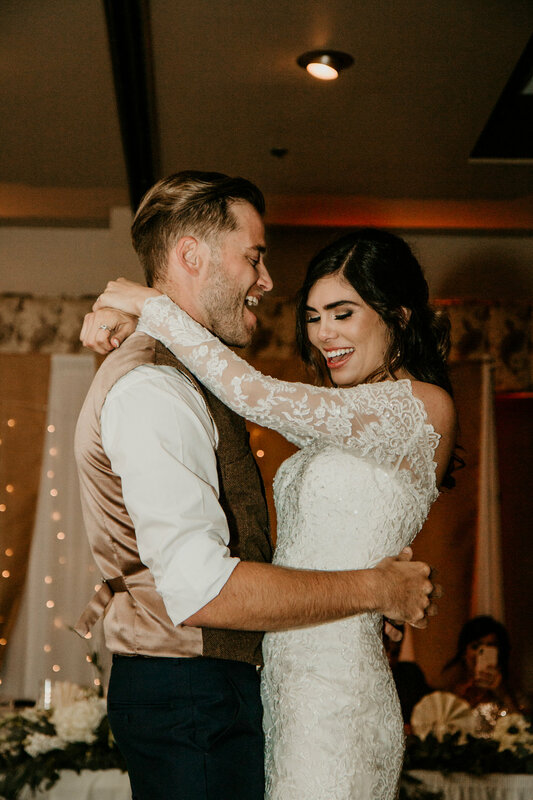 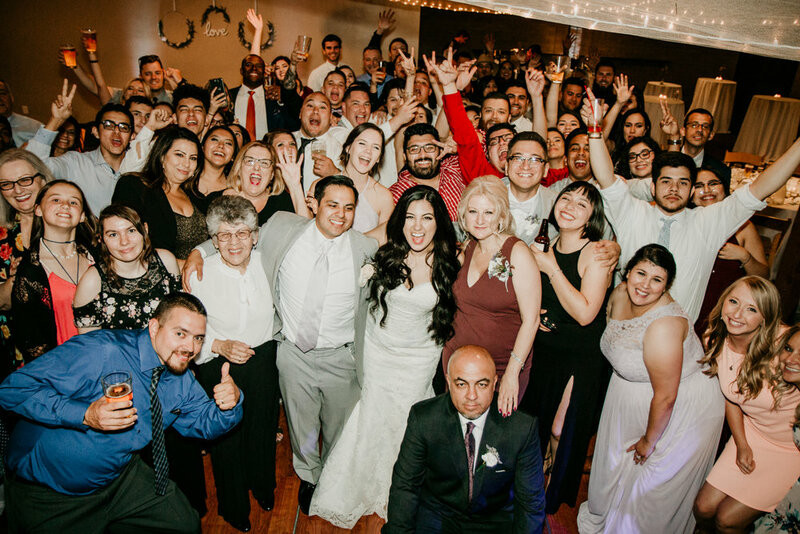 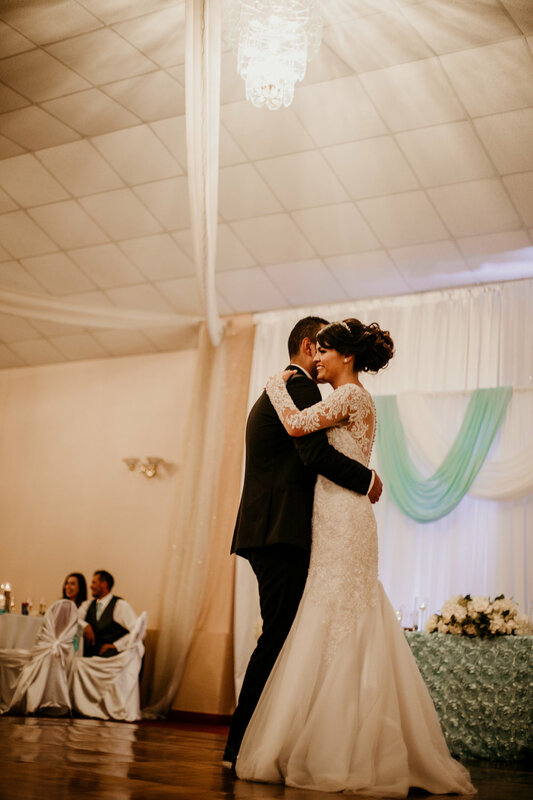 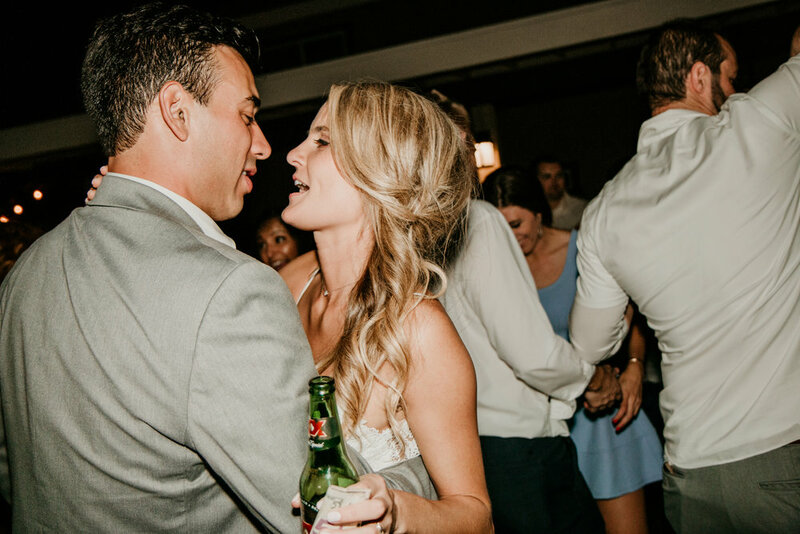 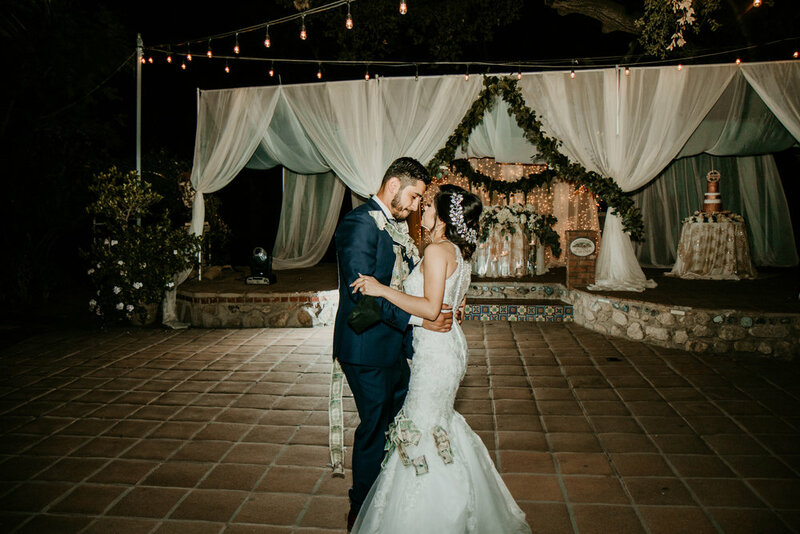 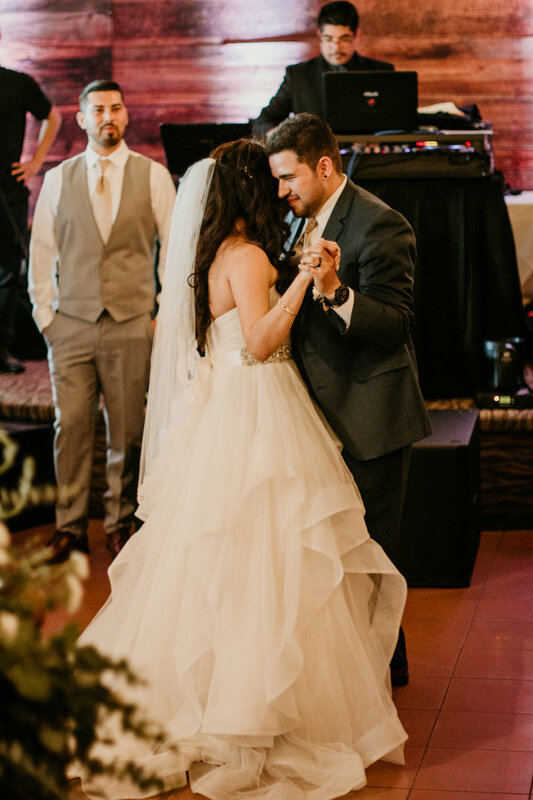 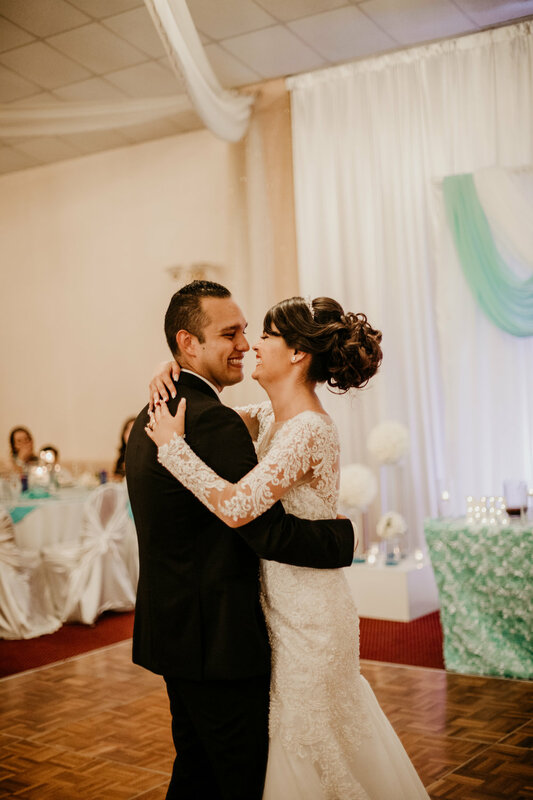 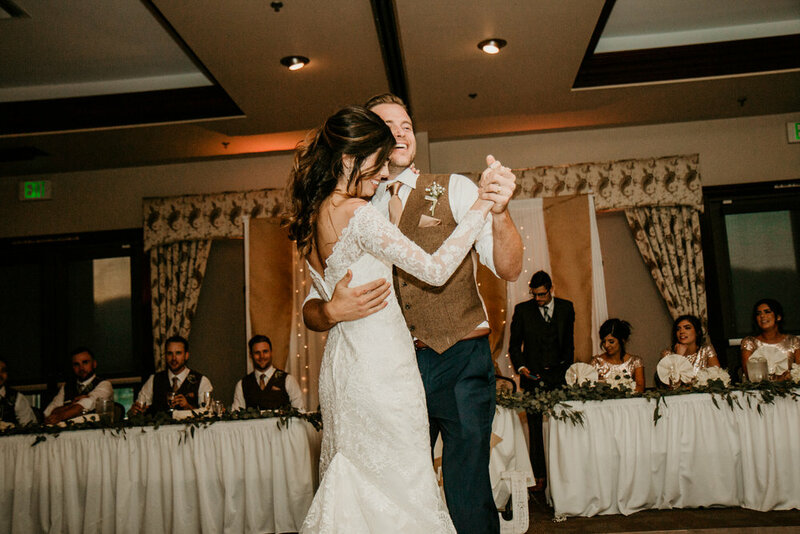 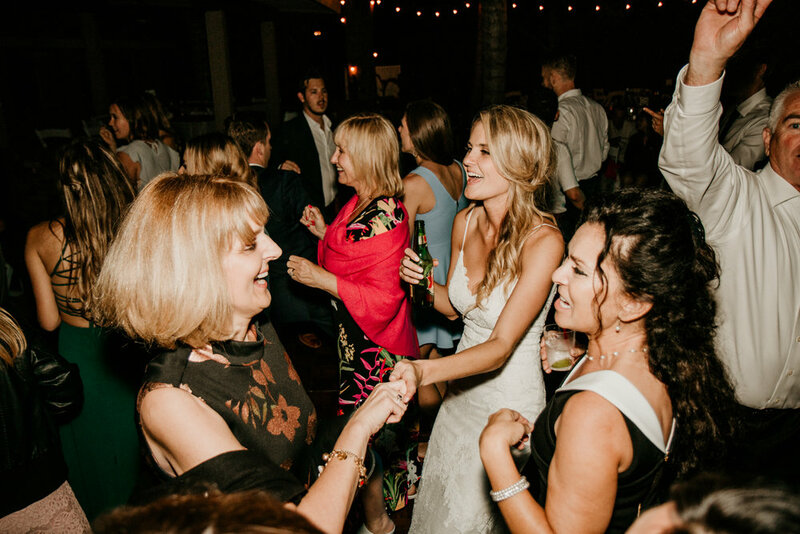 The reception went on as the guests danced the night away and truly celebrated this new married couple. 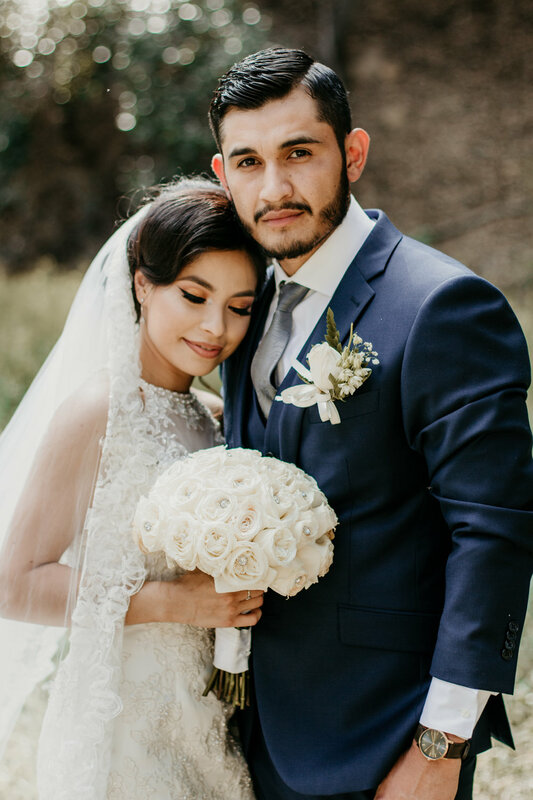 Congratulations to the couple, we loved being your wedding photographers. 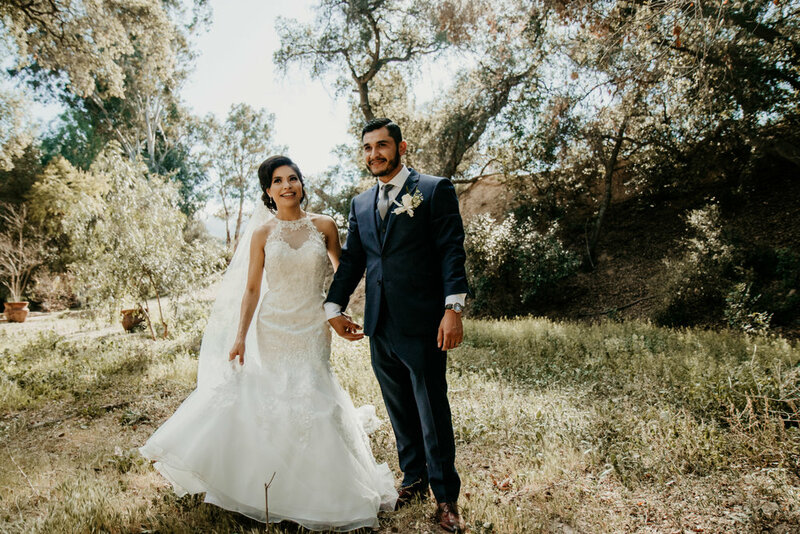 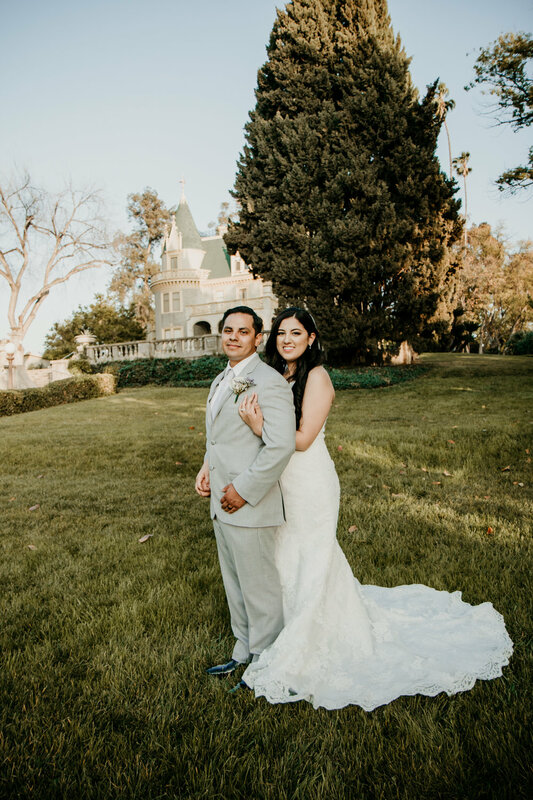 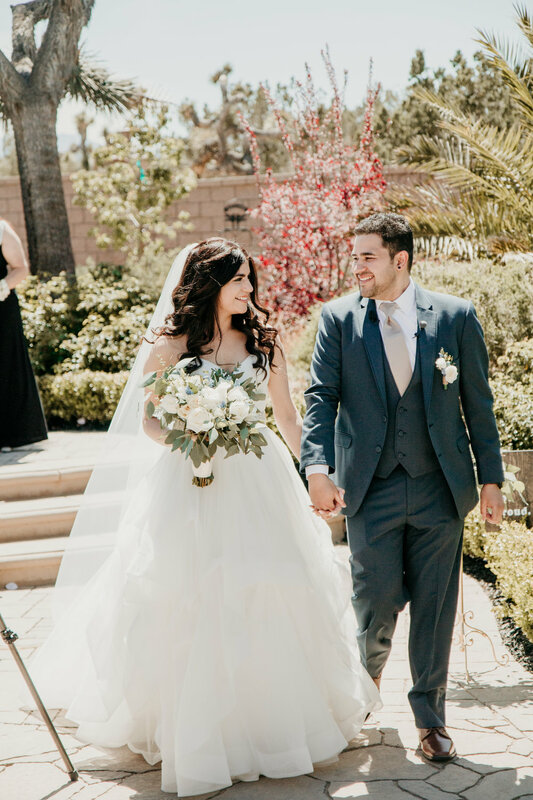 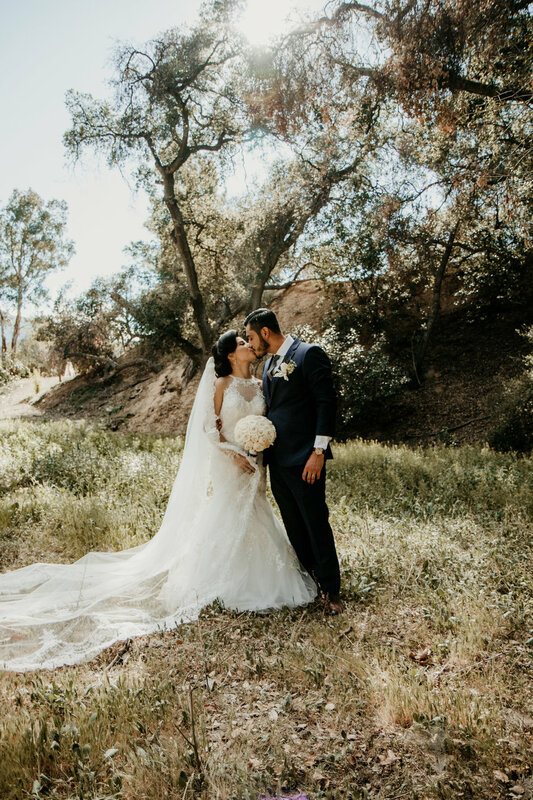 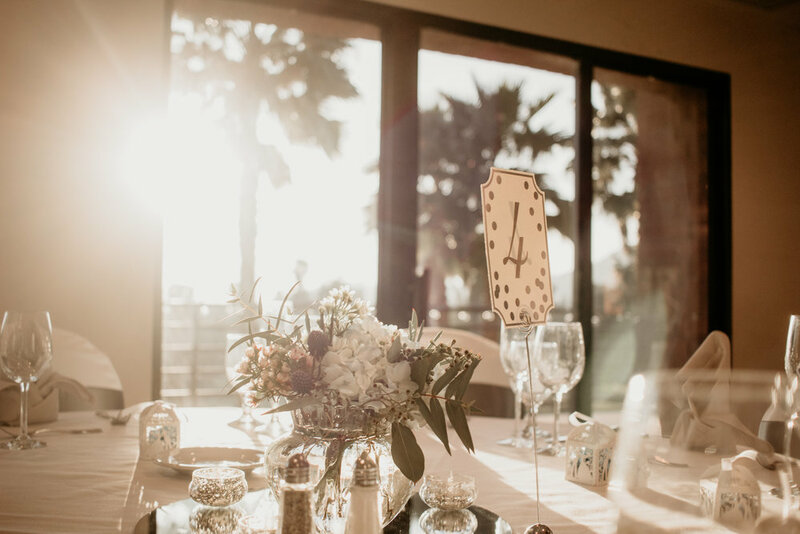 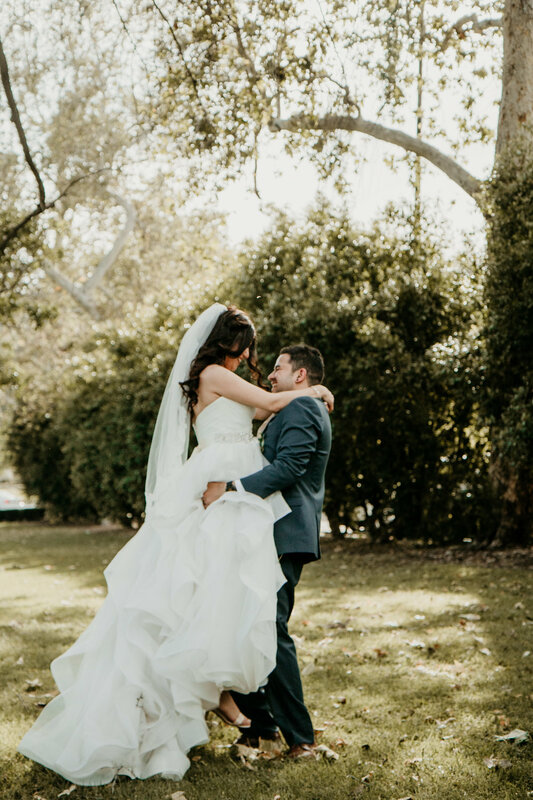 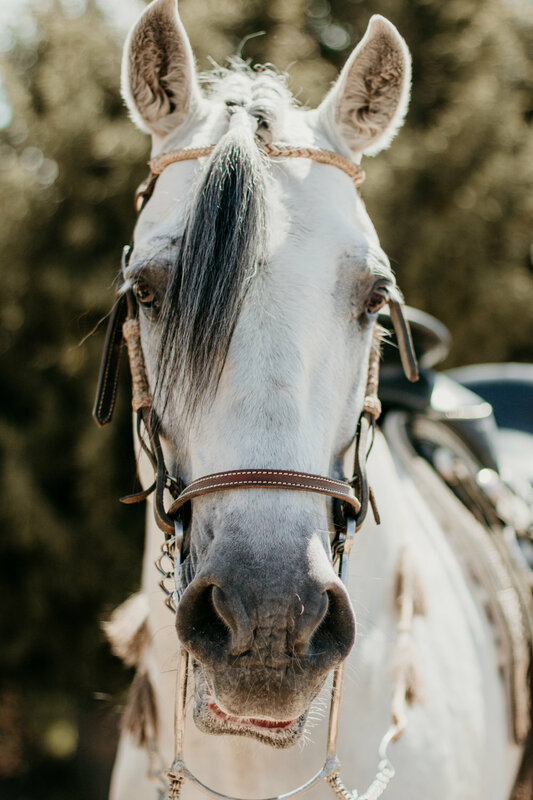 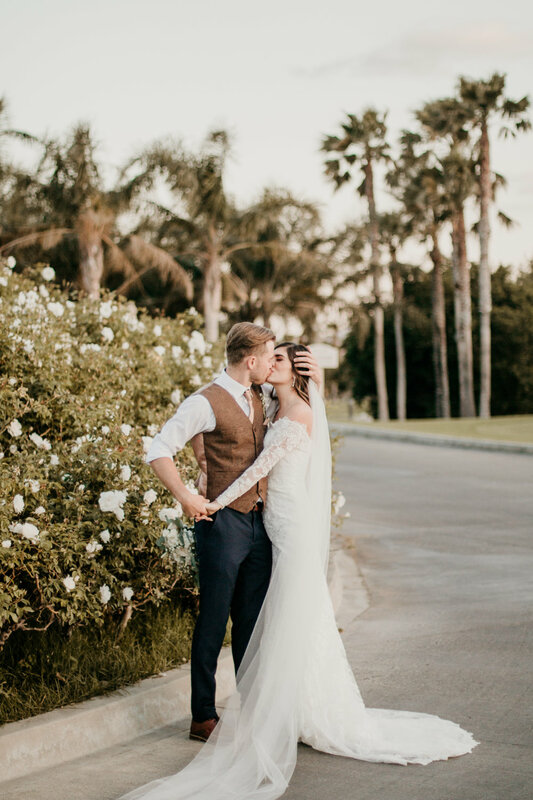 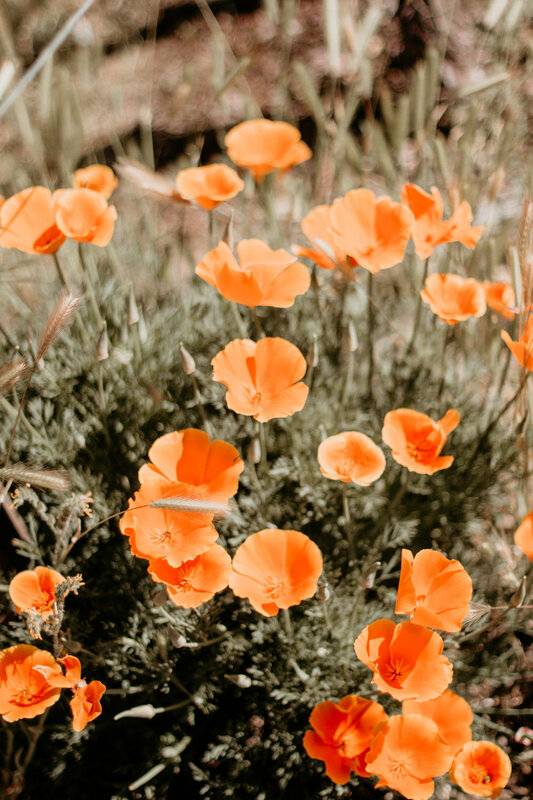 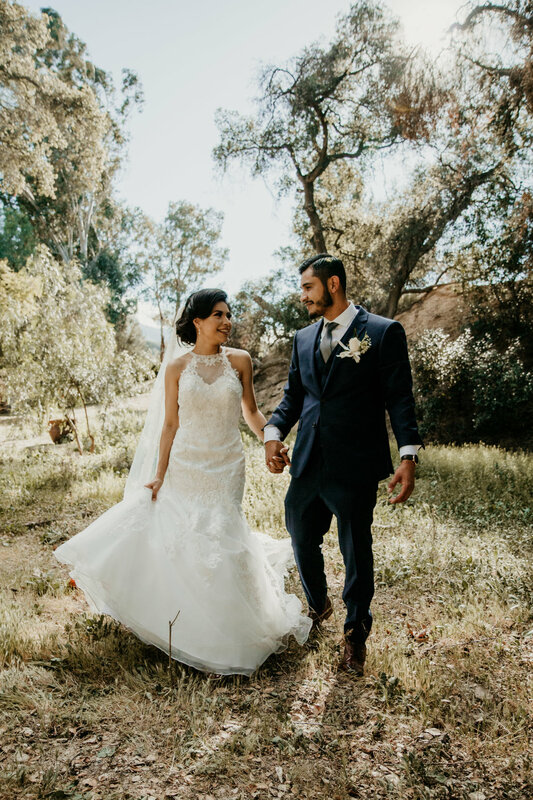 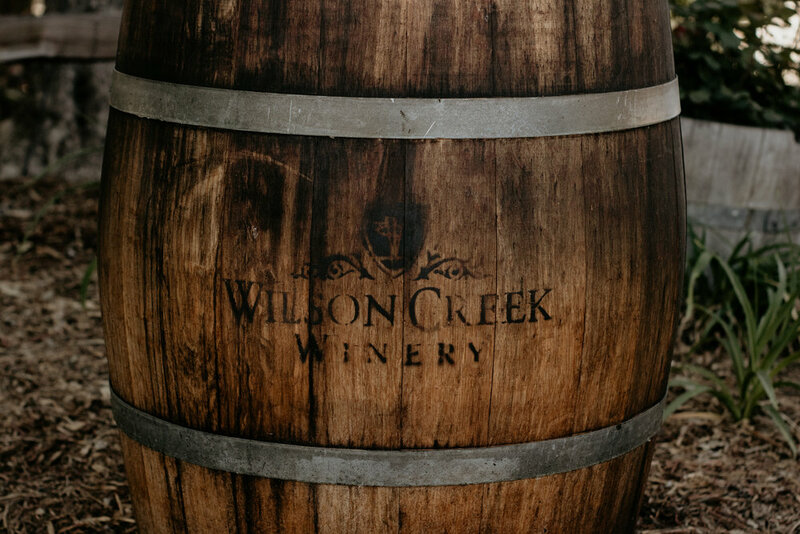 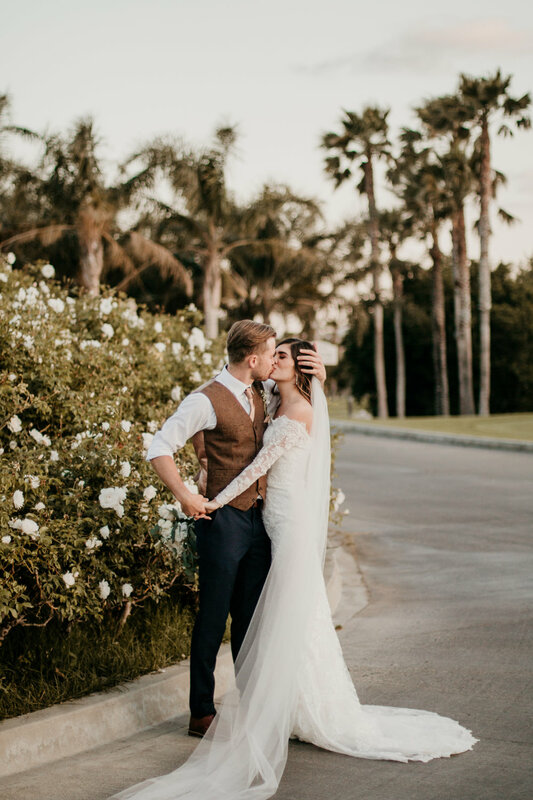 We love being Orange County wedding photographers but we also love getting the opportunity to photograph weddings outside of Orange County. 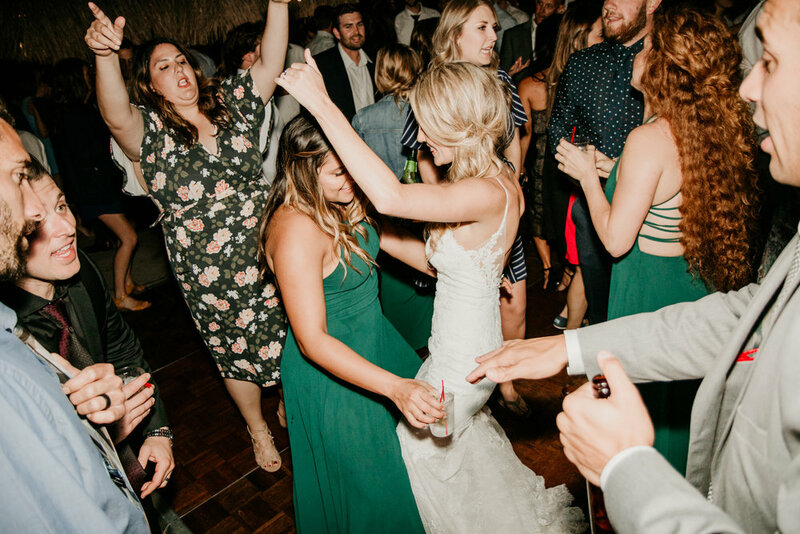 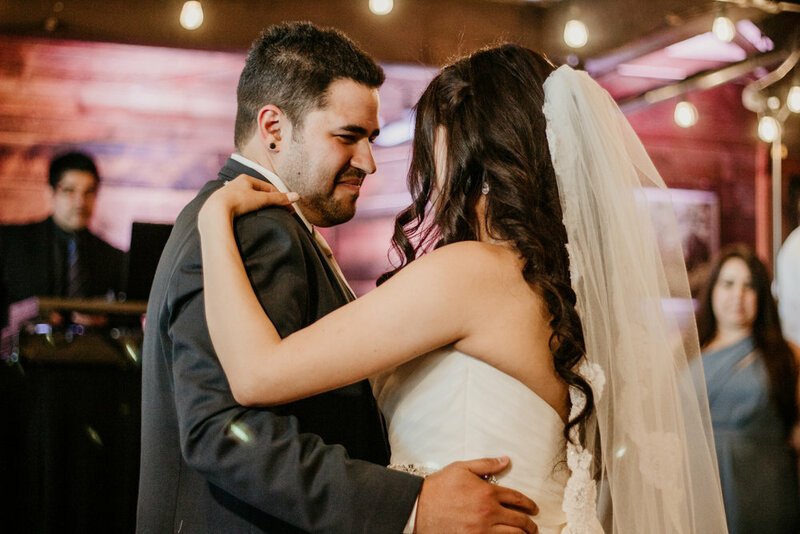 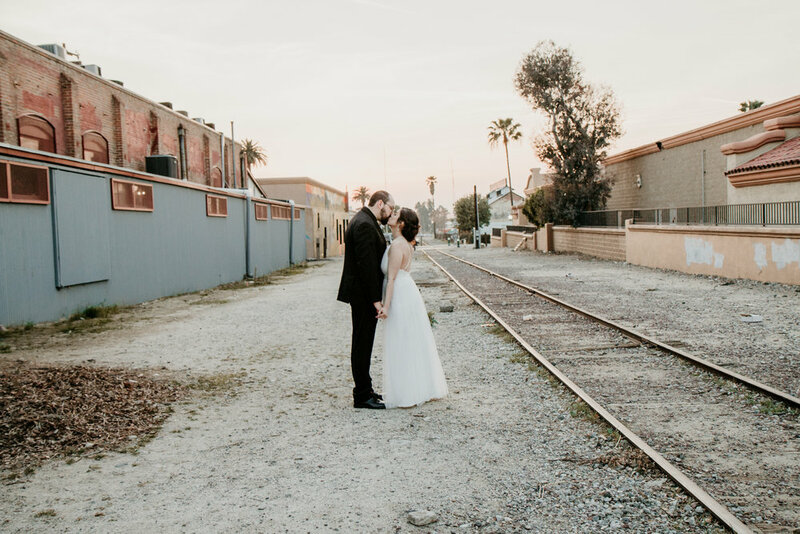 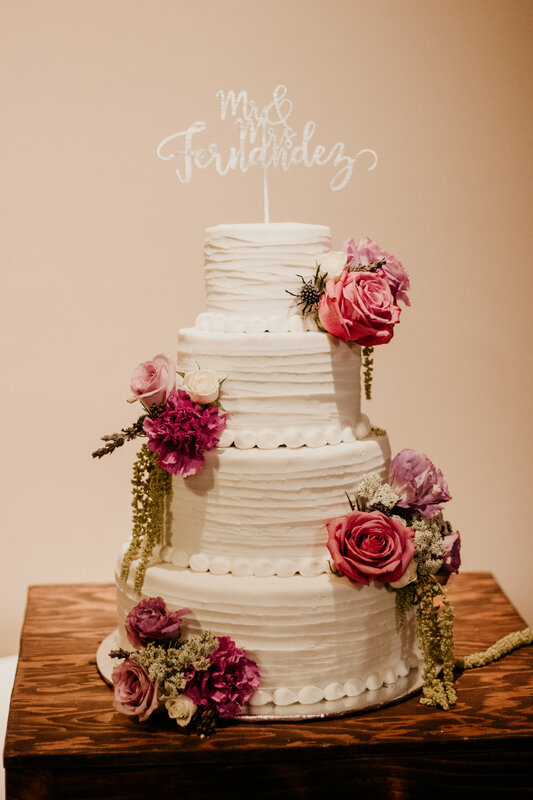 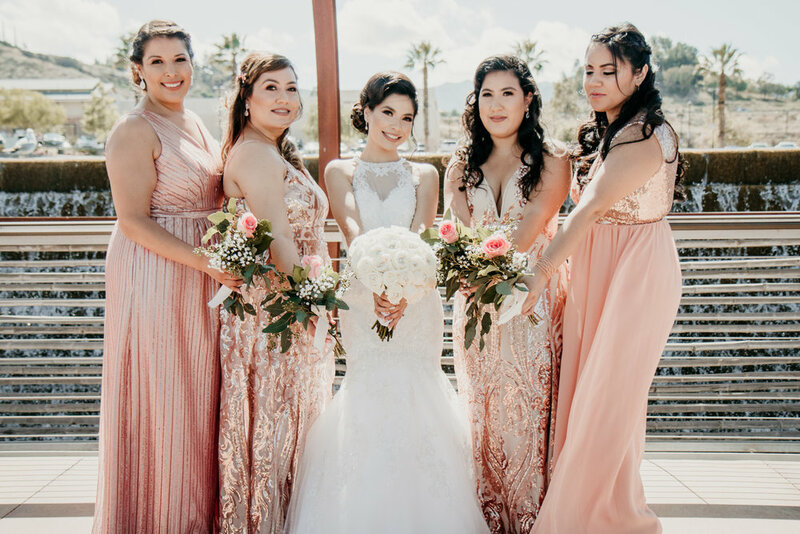 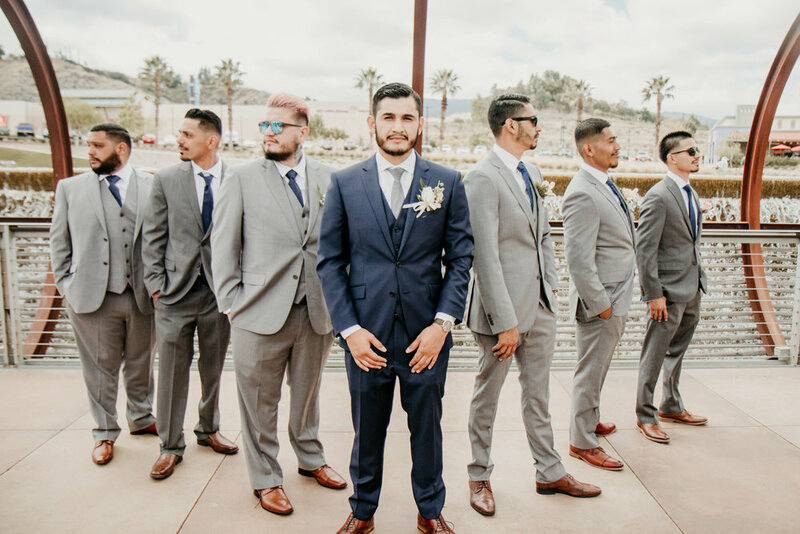 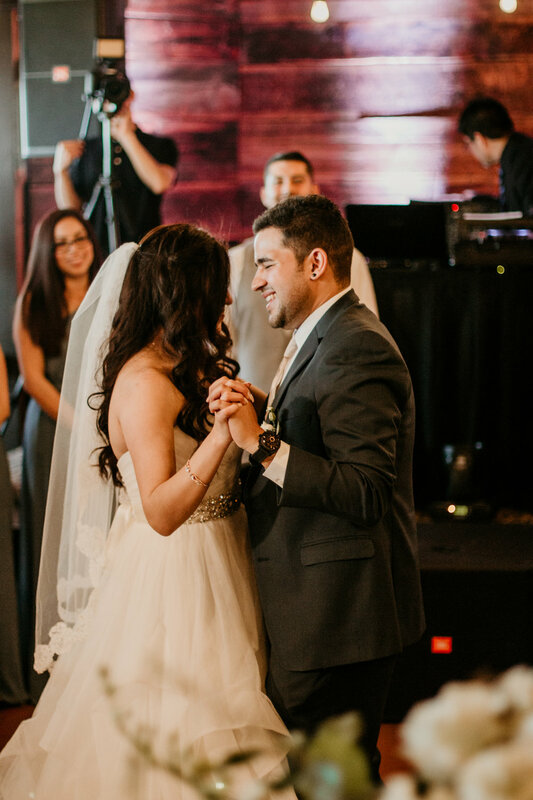 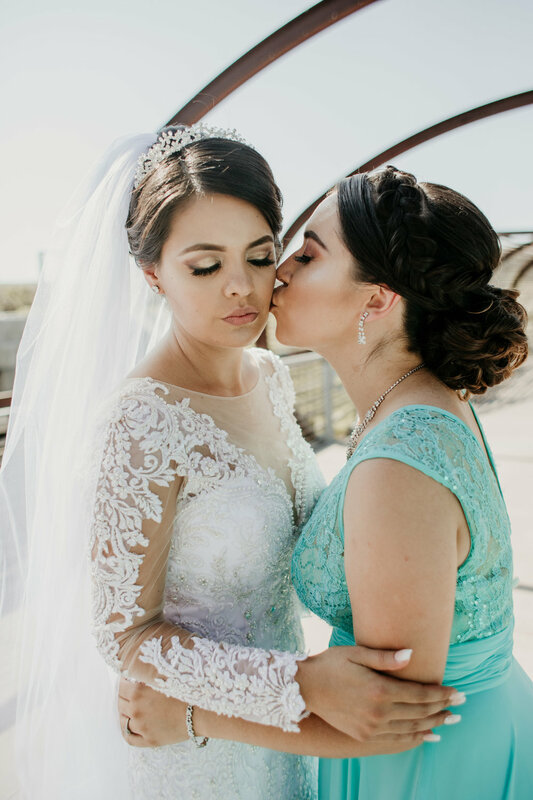 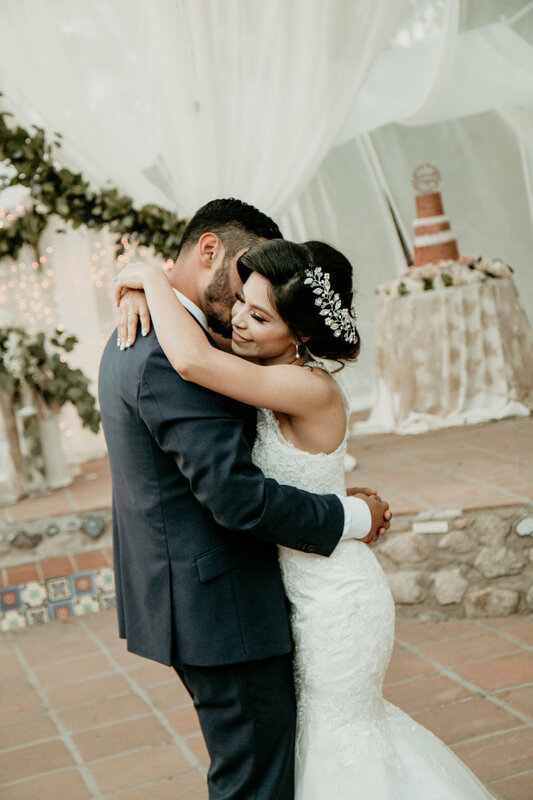 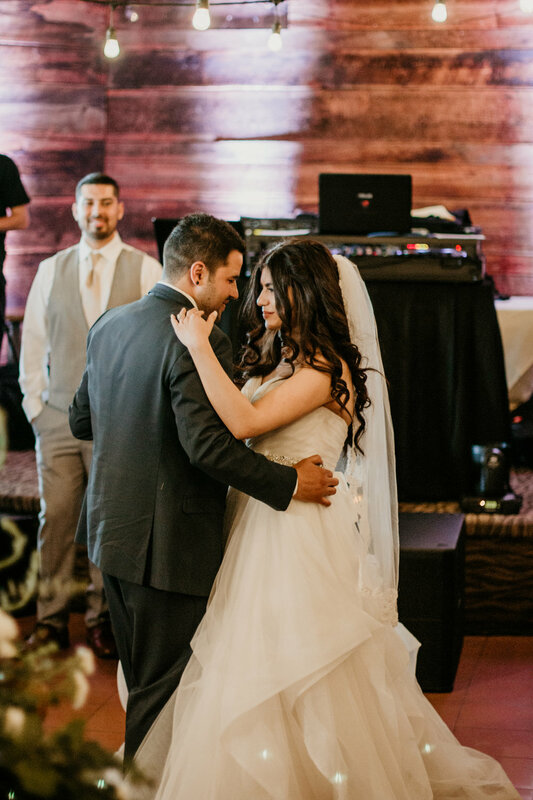 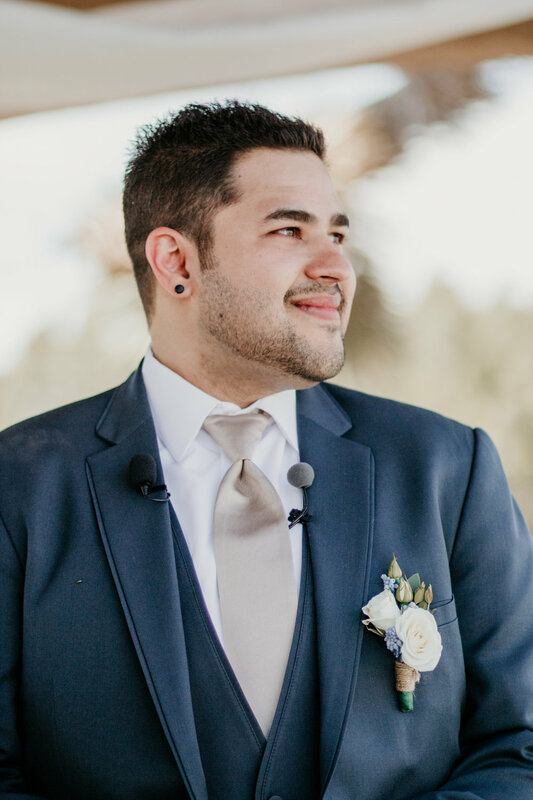 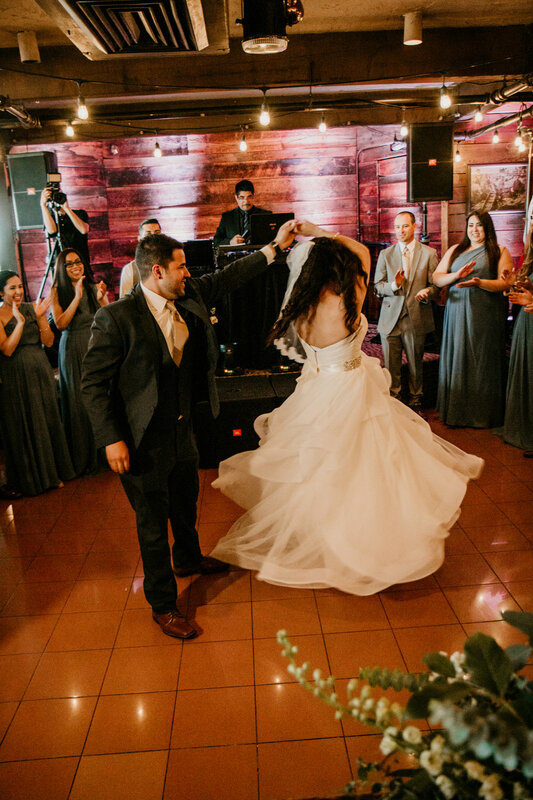 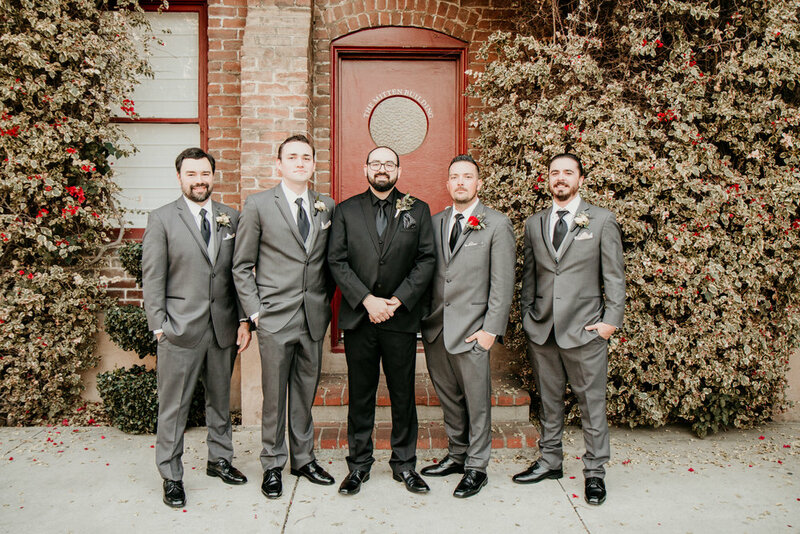 This beautiful wedding was at The Federal Bar in Long Beach CA (such a fun and unique wedding venue, definitely a great location.....but more on the venue later). 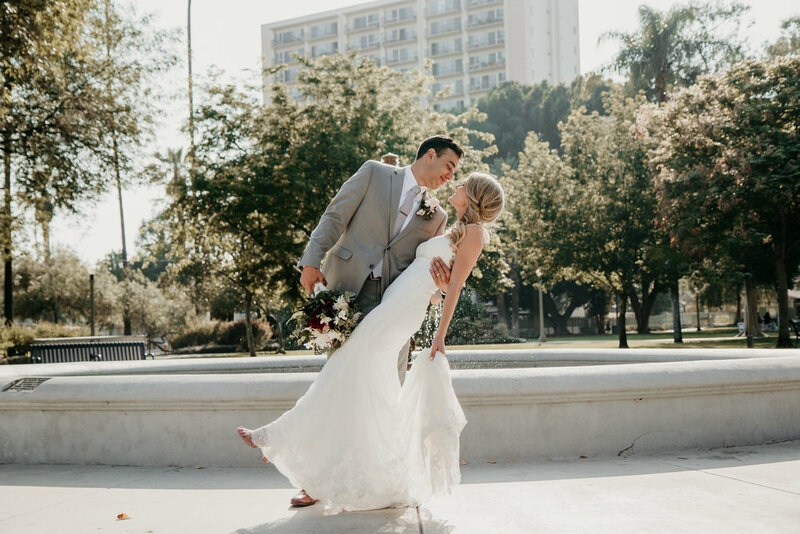 We arrived at the lovely Hyatt Hotel in Long Beach of course to meet our beautiful bride and her brides-man and bridesmaid. 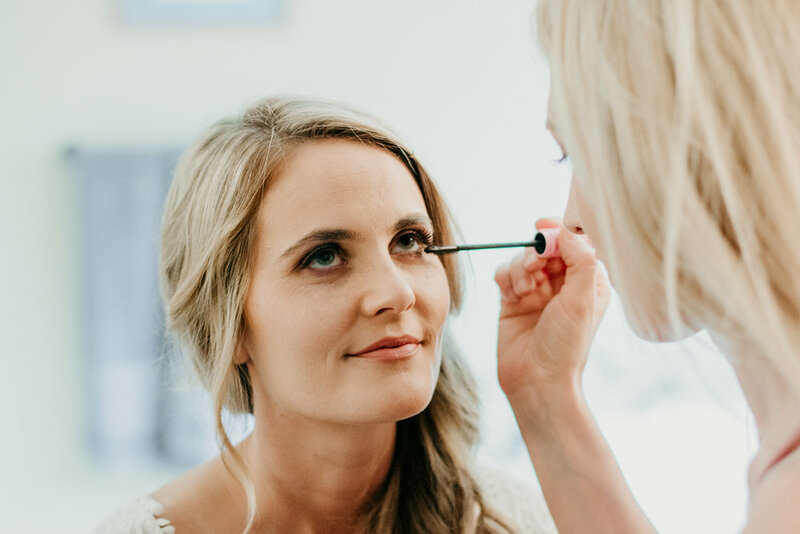 She was finishing up with her makeup and the reality of the day was beginning to sink in. 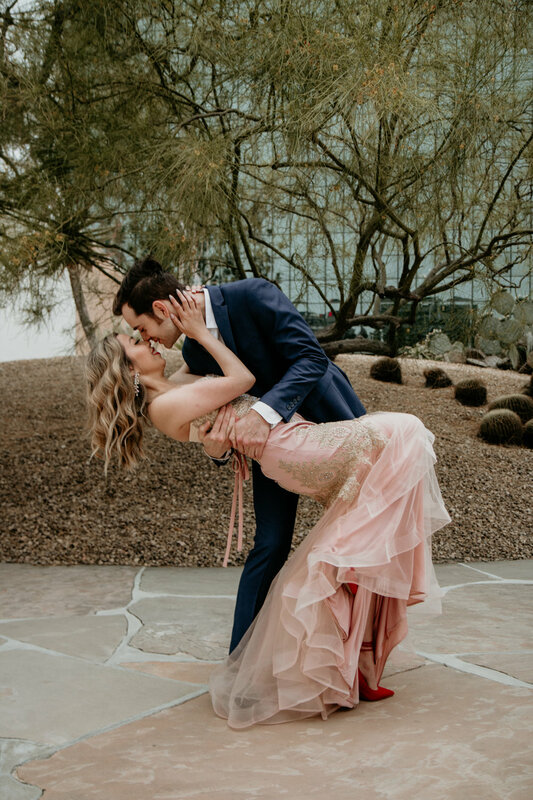 Today was the day she was to be married to the man of her dreams. 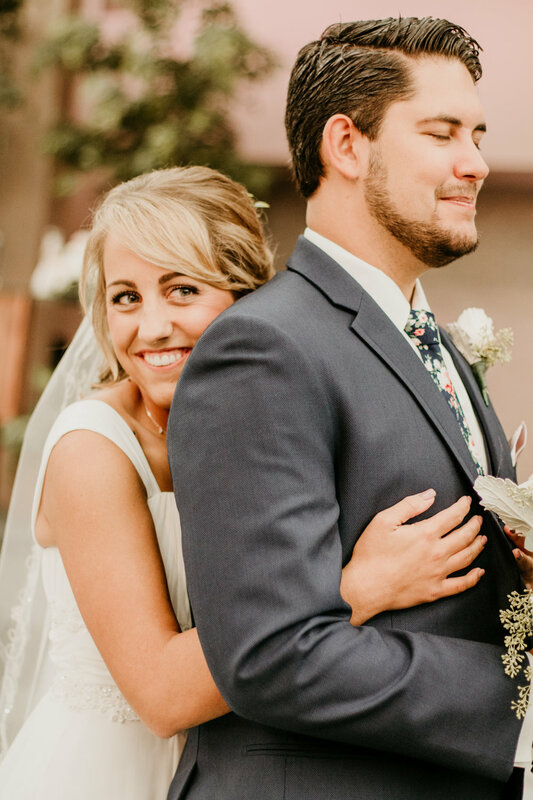 The guy who was always in her corner and was always taller then her (a plus in her book). 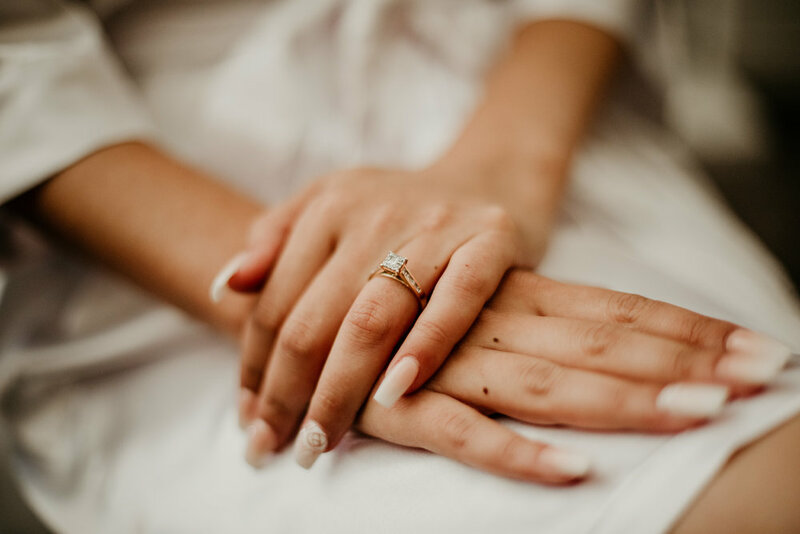 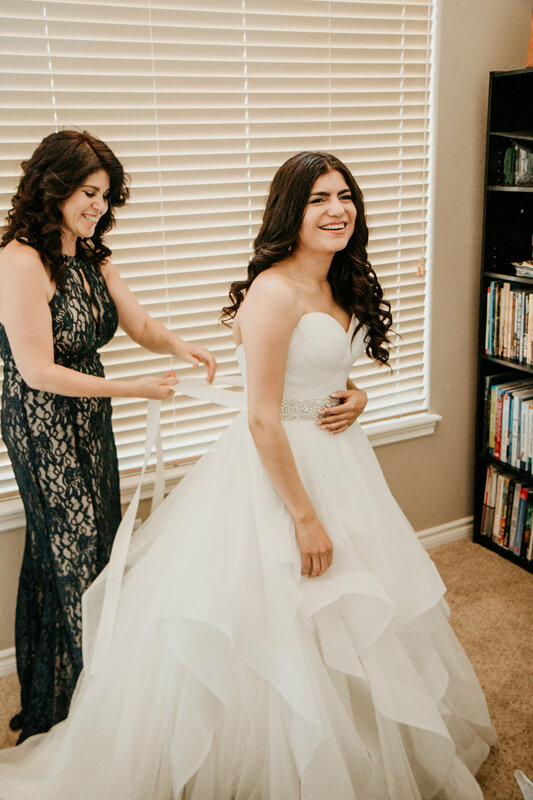 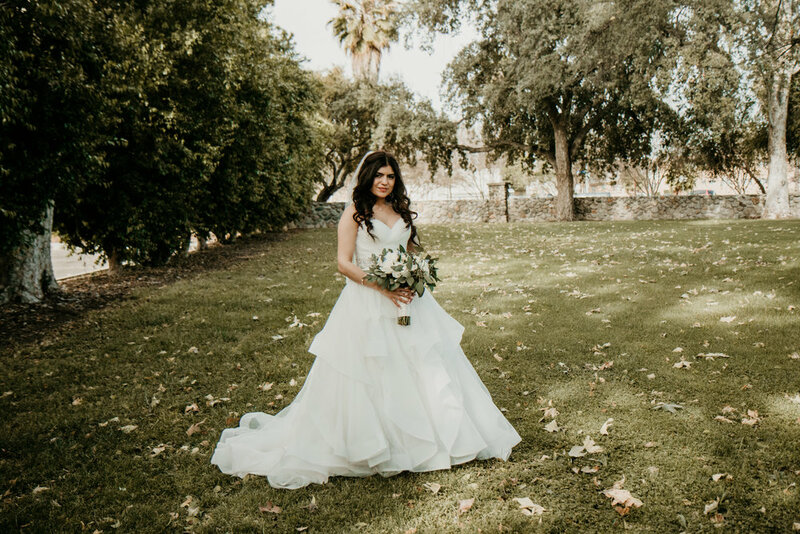 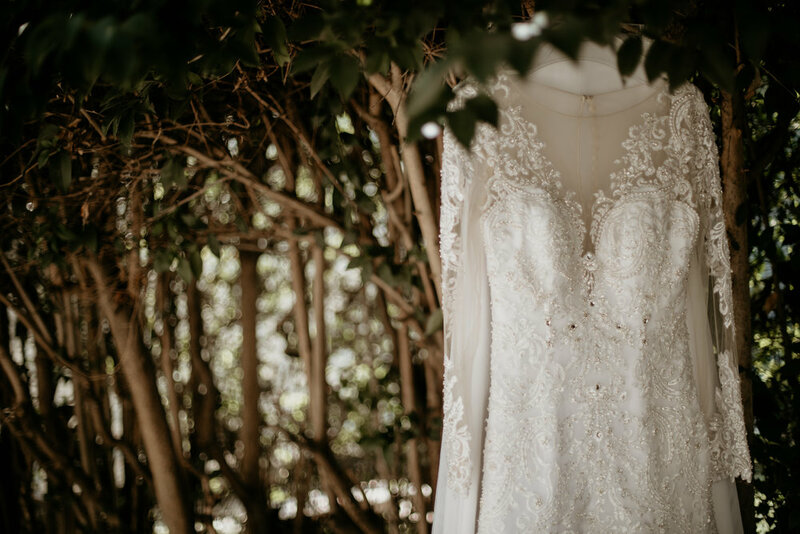 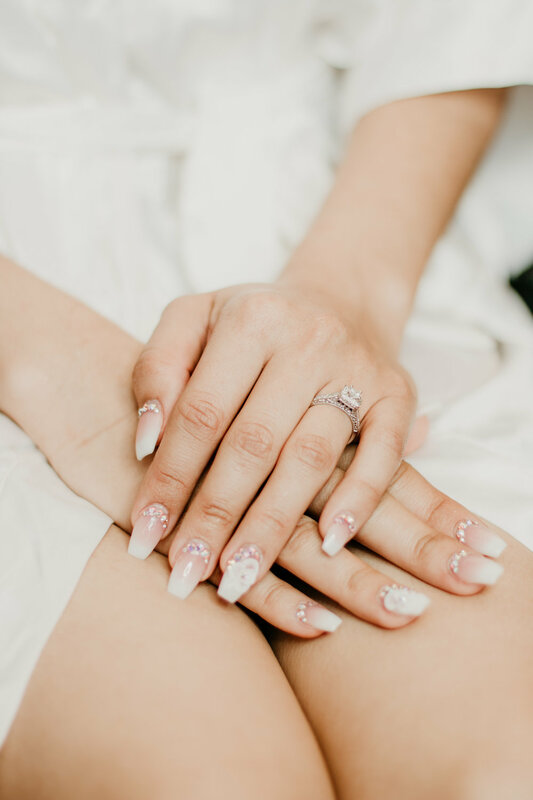 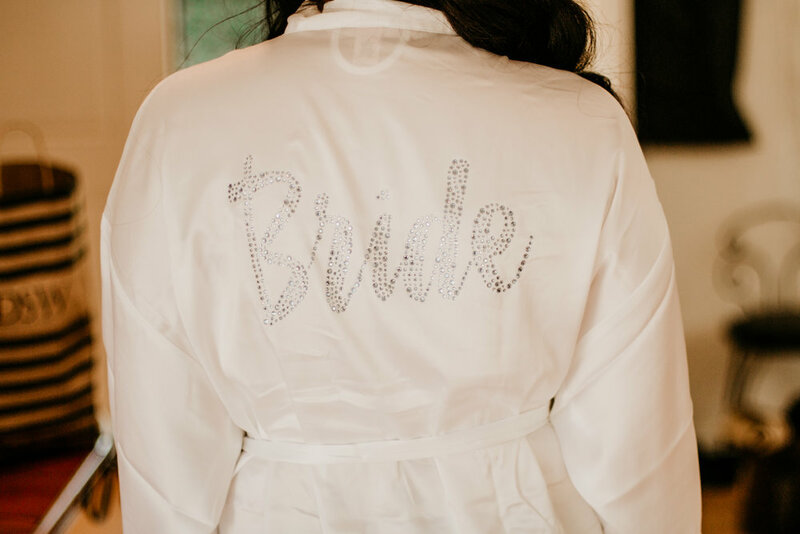 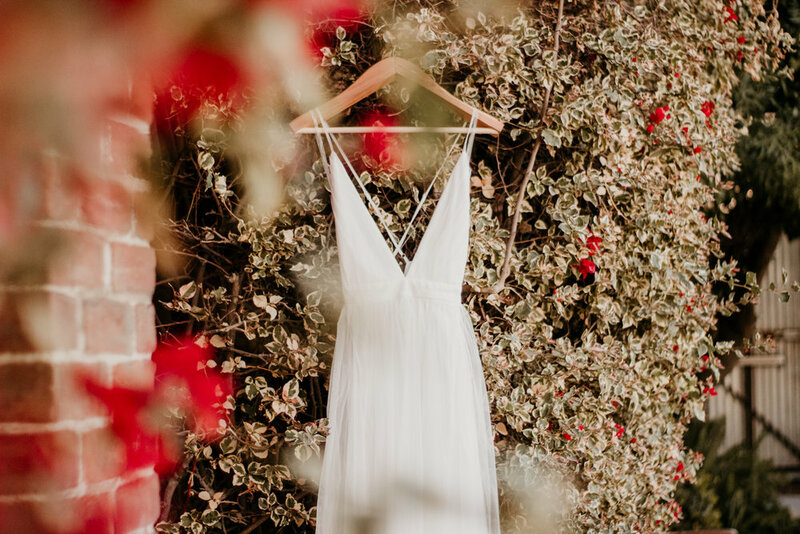 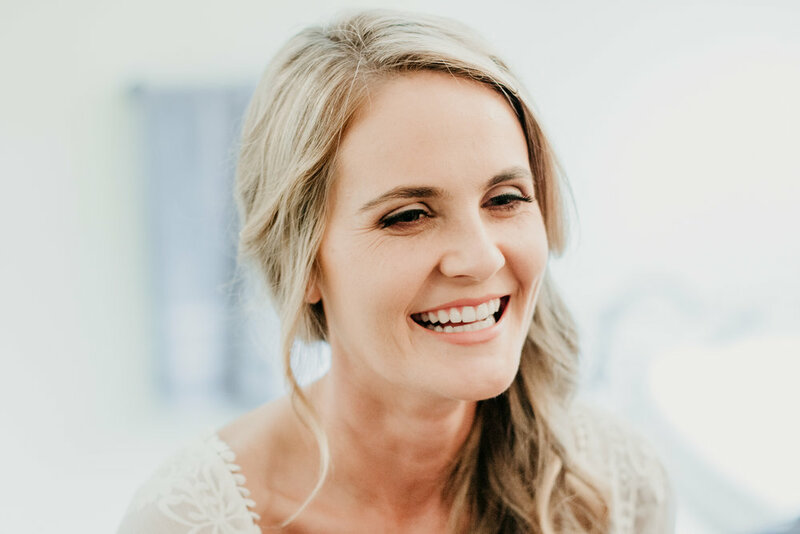 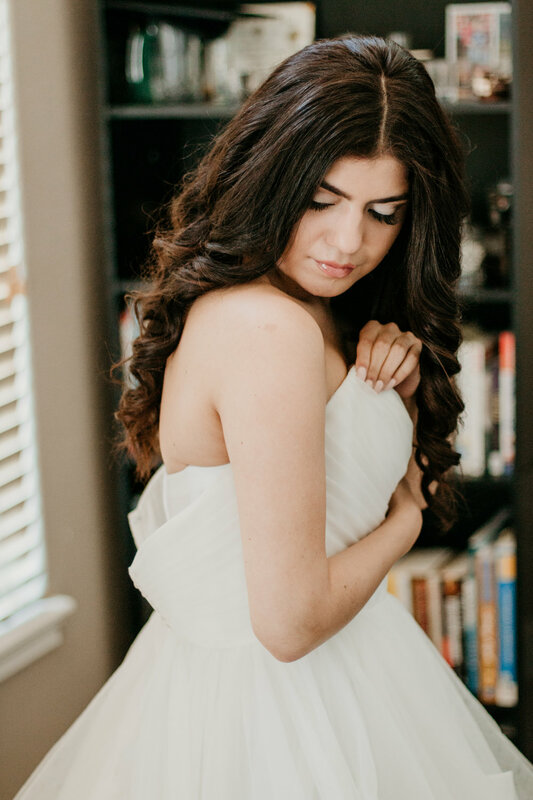 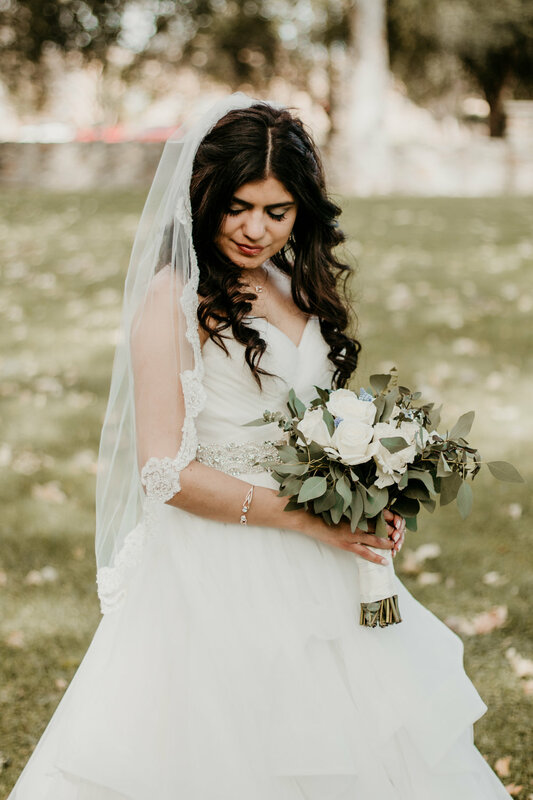 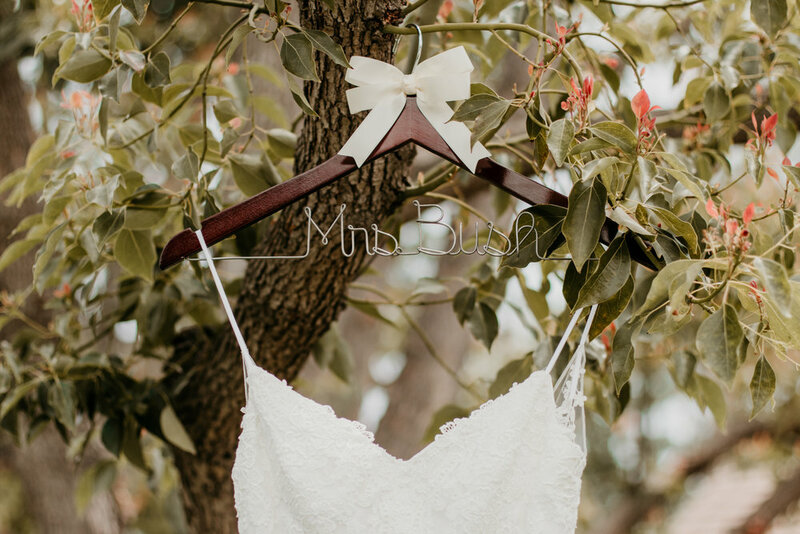 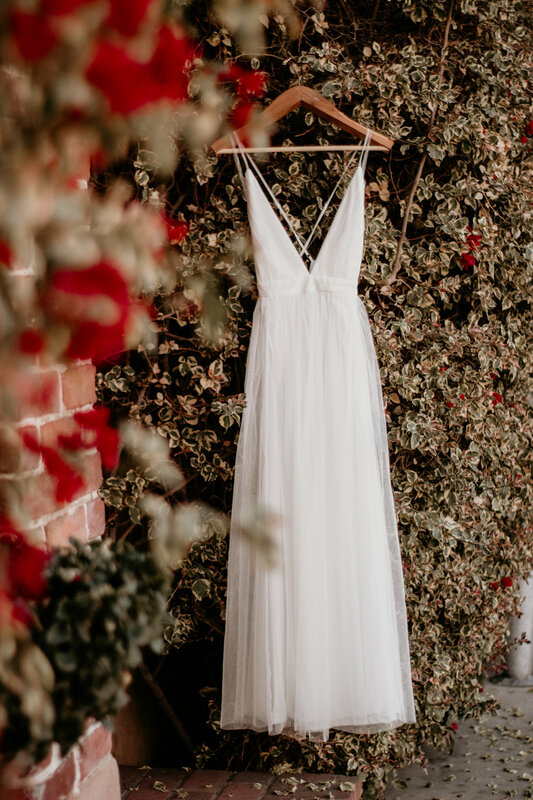 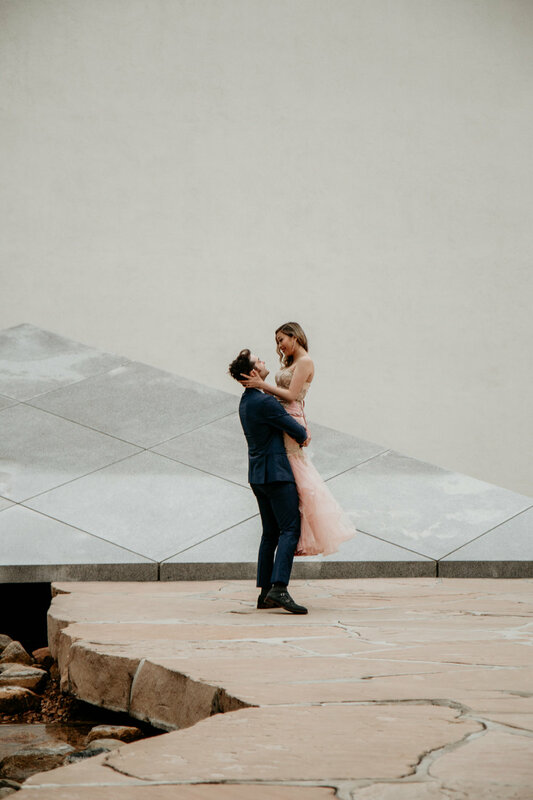 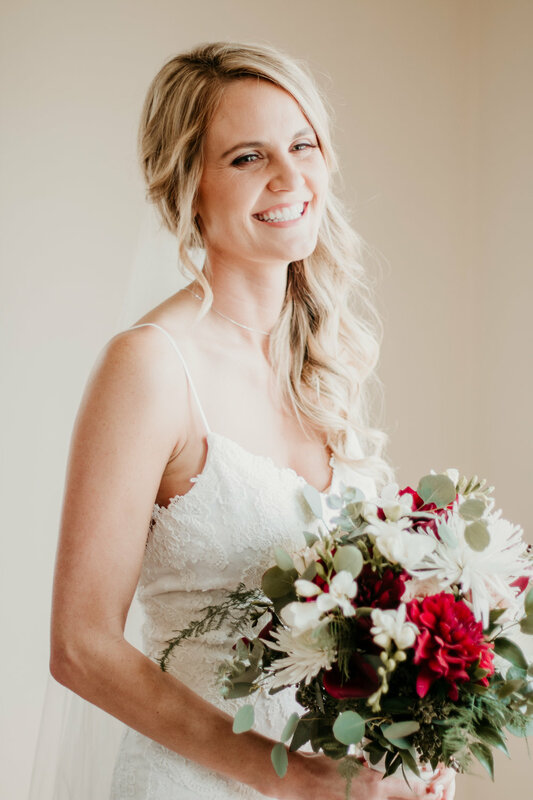 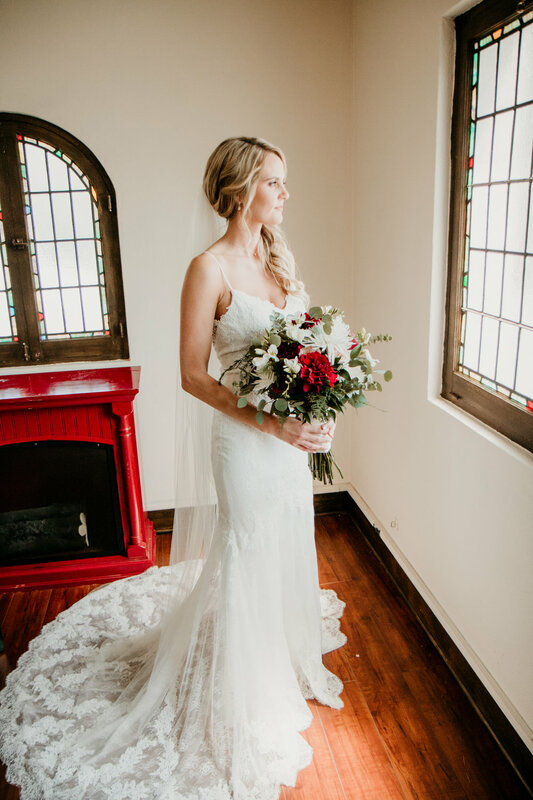 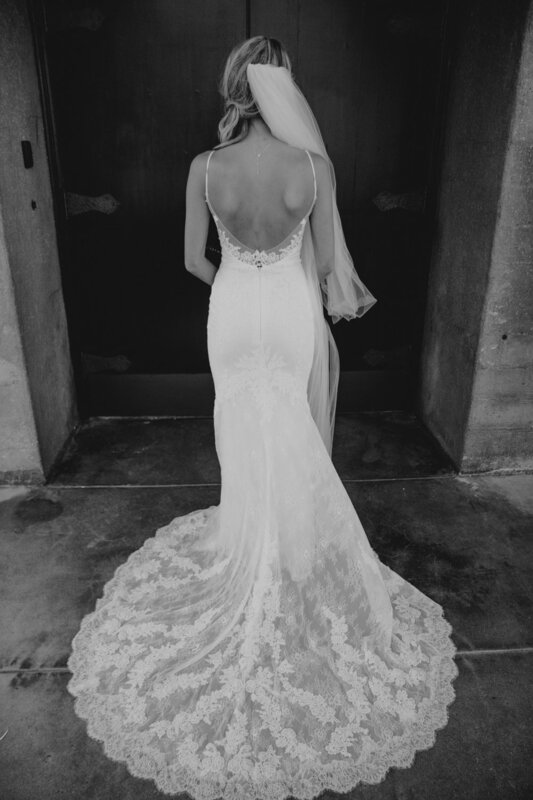 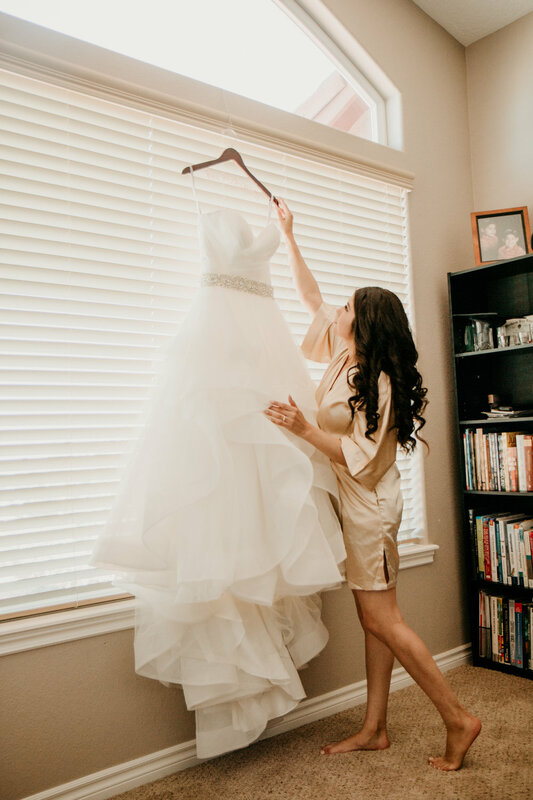 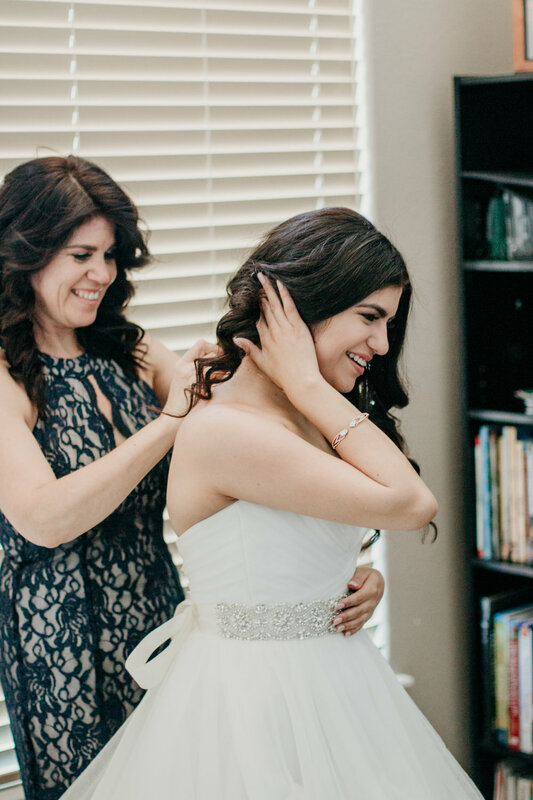 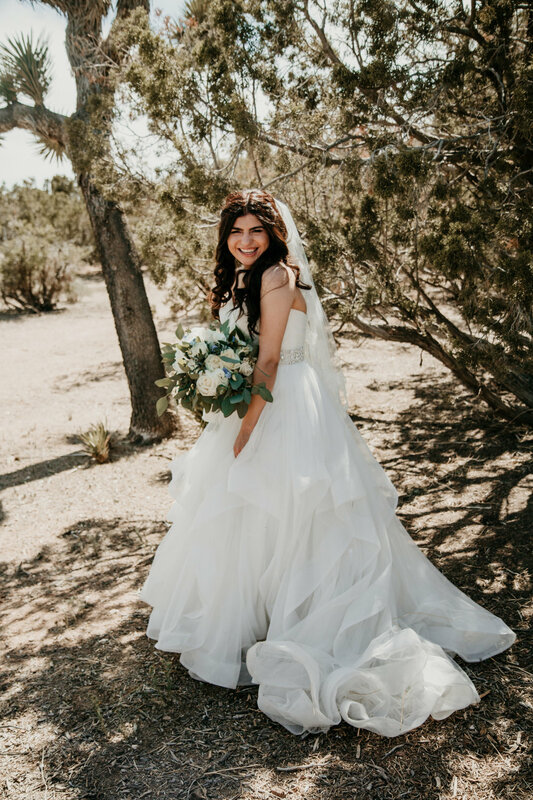 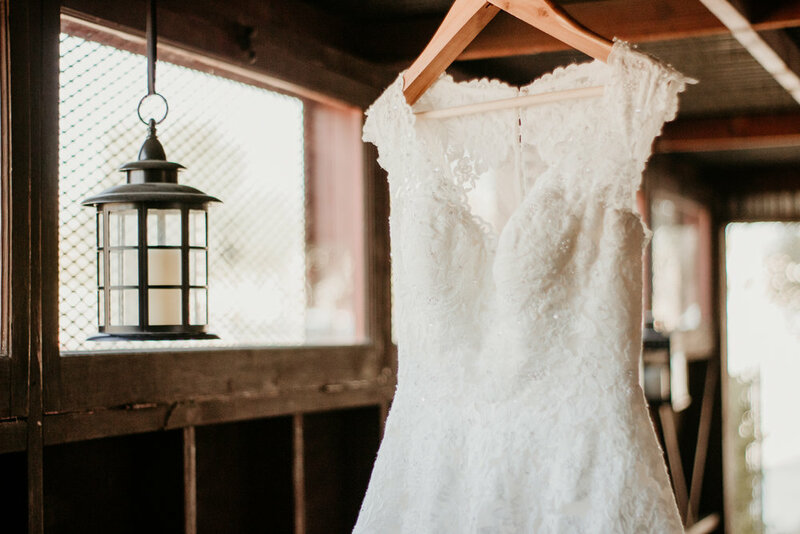 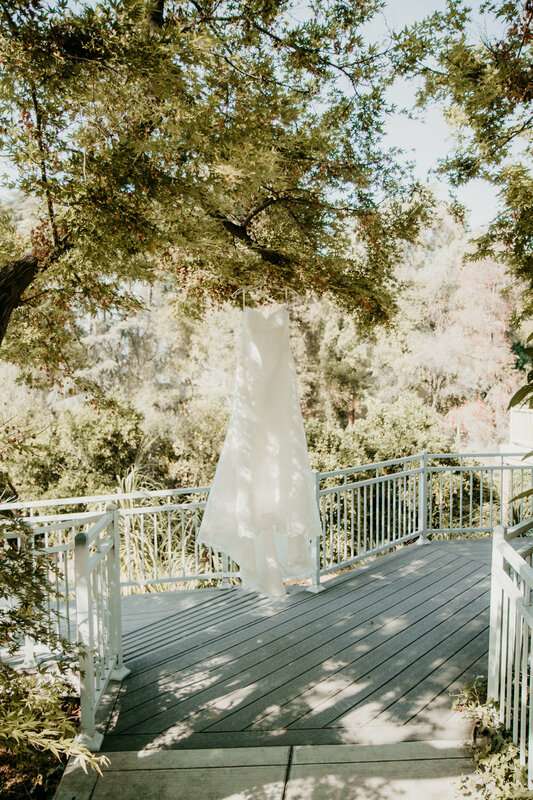 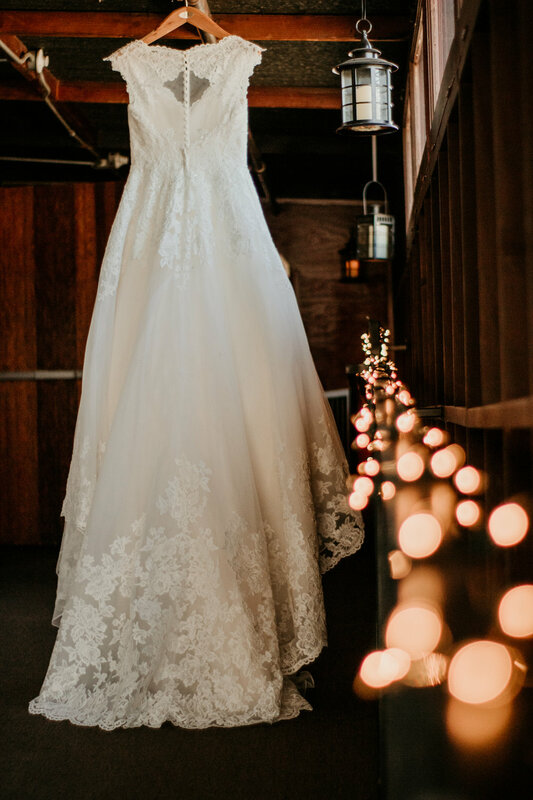 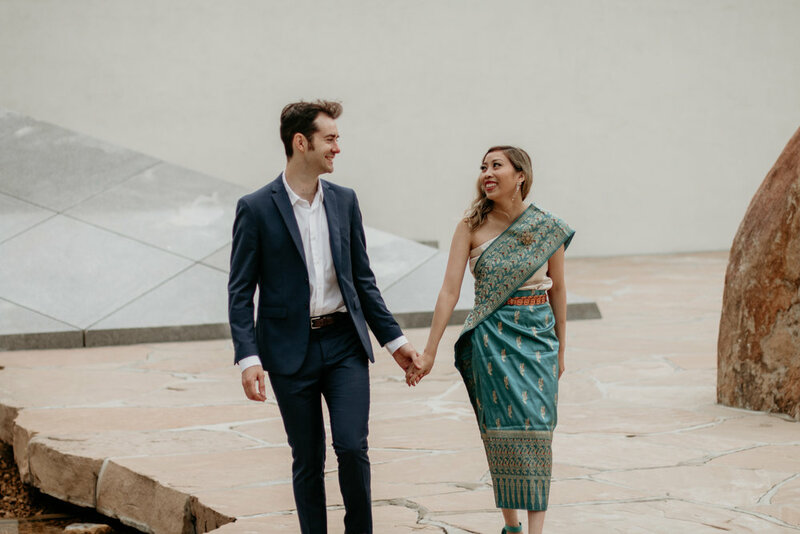 As the time came closer to head to the venue, it was time for her to put her wedding dress on (that’s generally the moment our brides start getting more nervous and anxious). 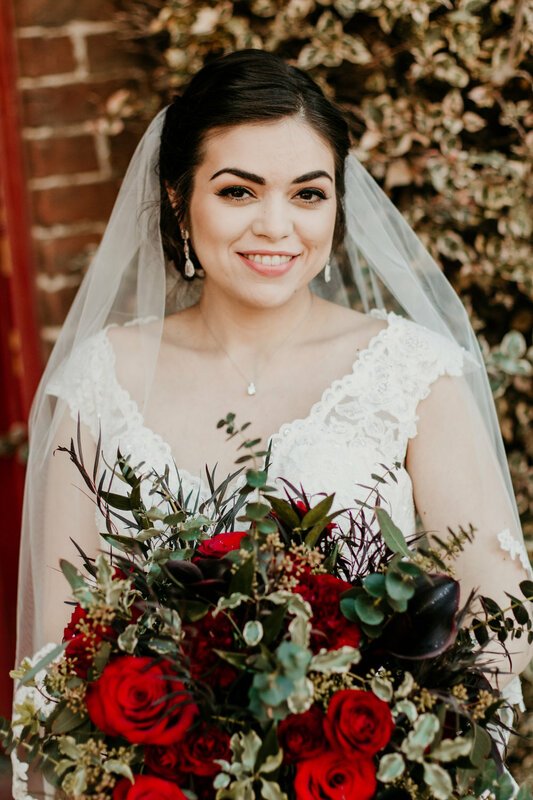 Her friends all told her how stunning she looked in her wedding dress and with her super awesome top hat. 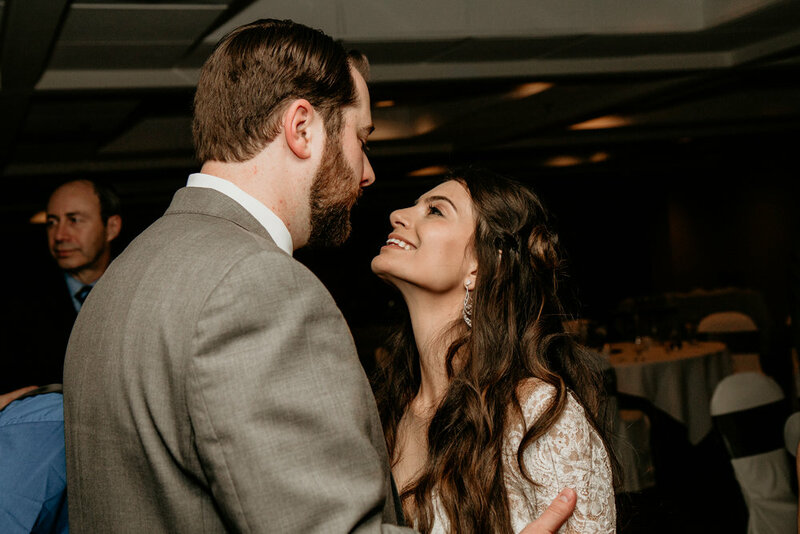 Yes, she wore a top hat! 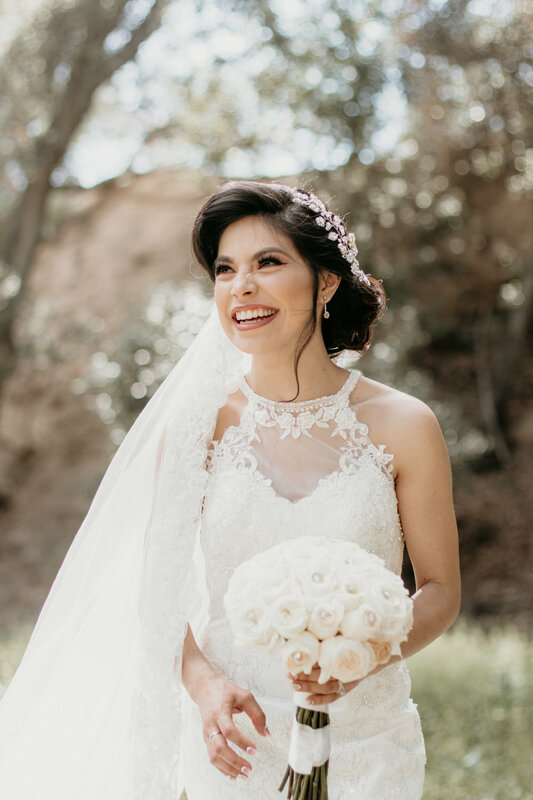 This was a first for us but this bride rocked it out and she looked just gorgeous and super authentic. 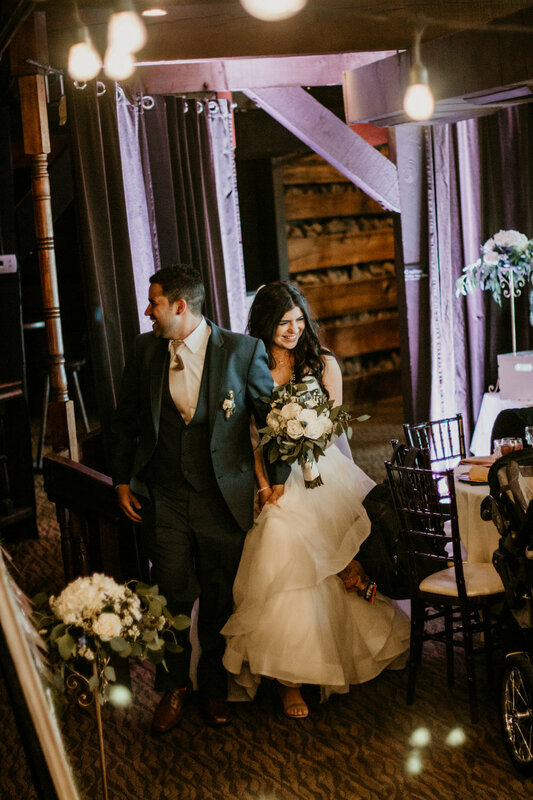 It was time for us to leave and head to the venue. 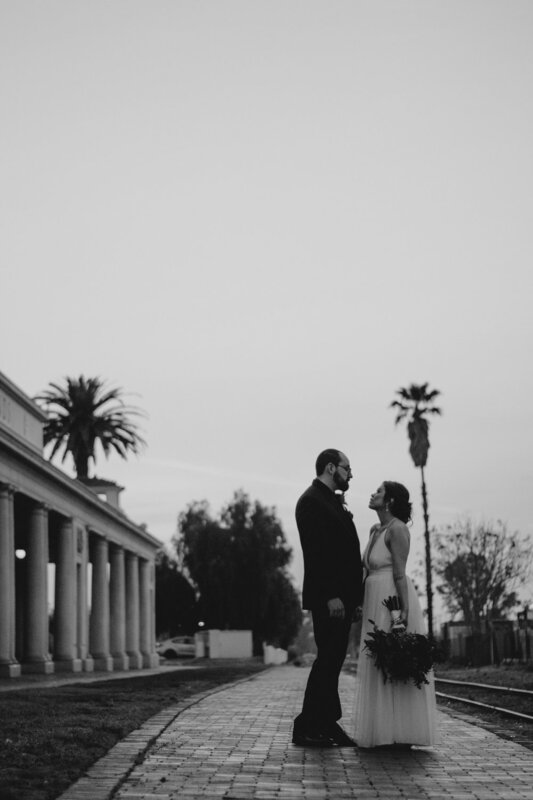 Upon our arrival at The Federal Bar in Long Beach, we gasped at the sureal architecture that had been maintained so well over the years. 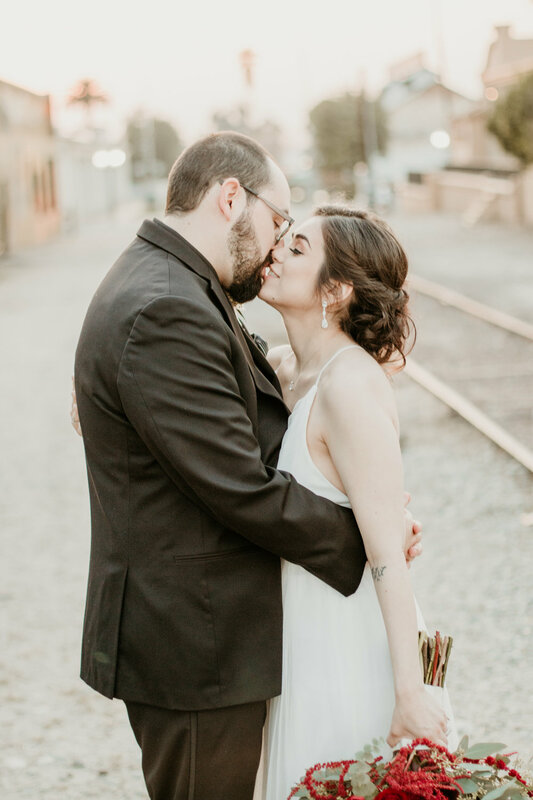 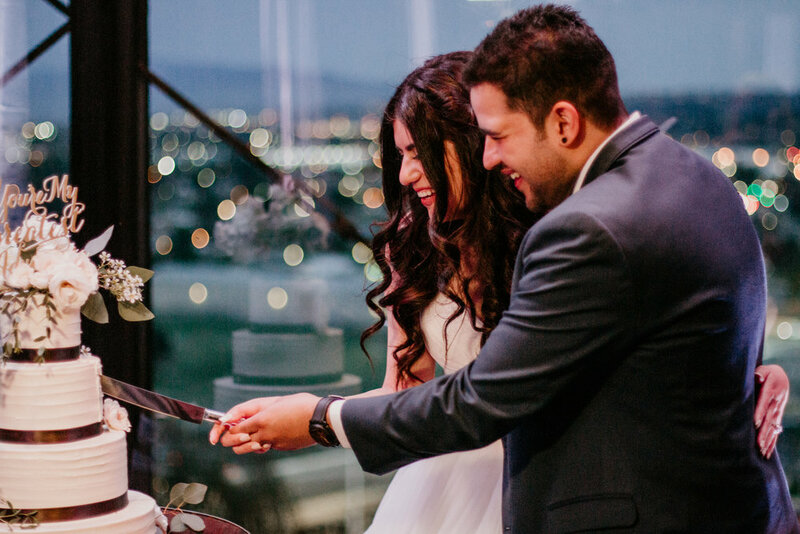 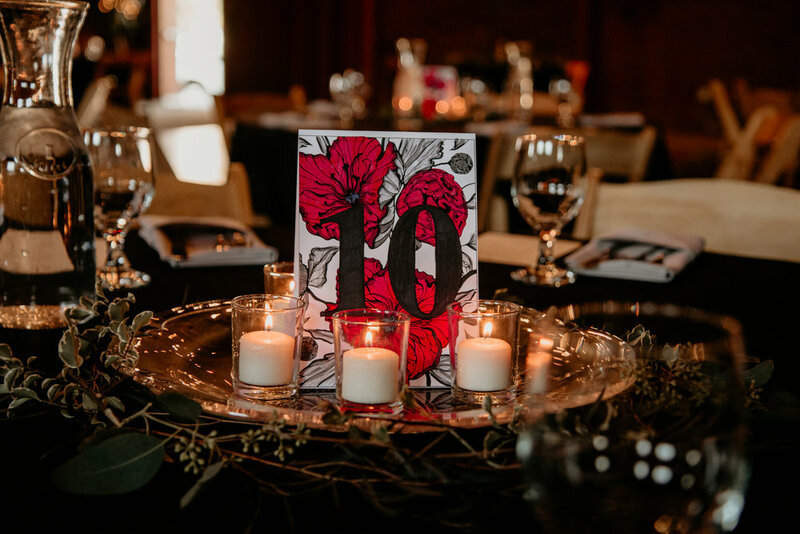 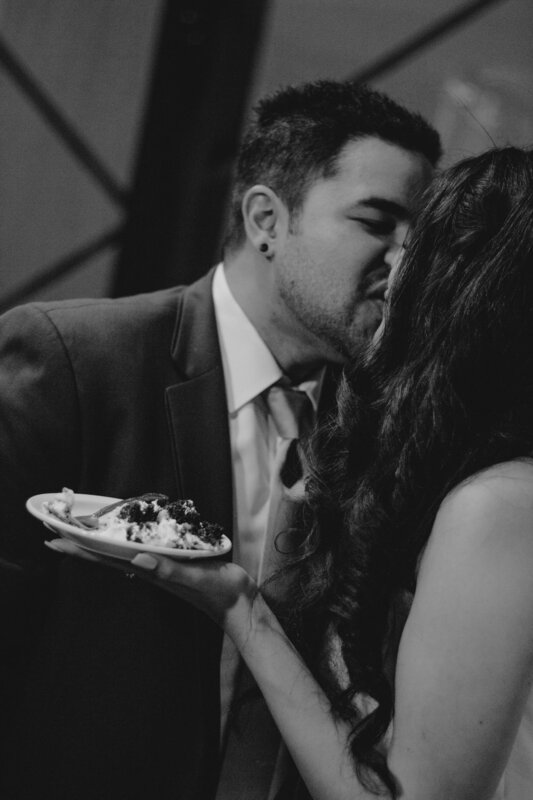 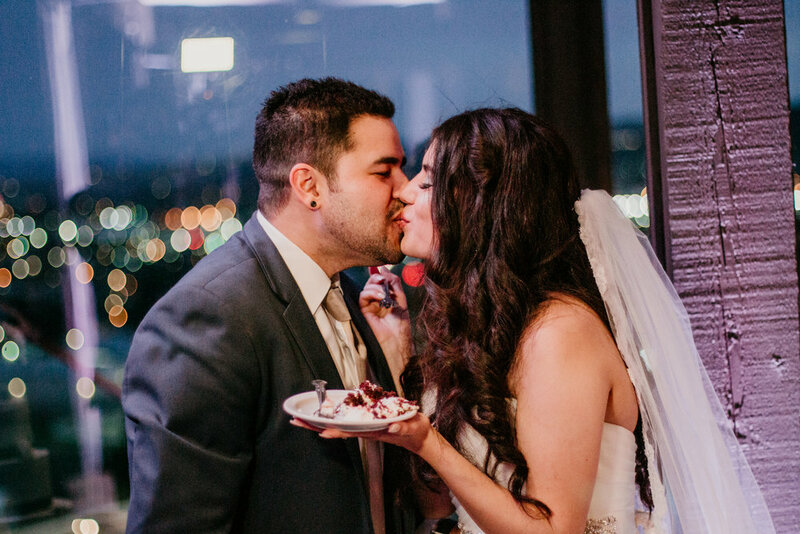 This wedding was meant to have a little 50's flair, and this venue helped make that possible. 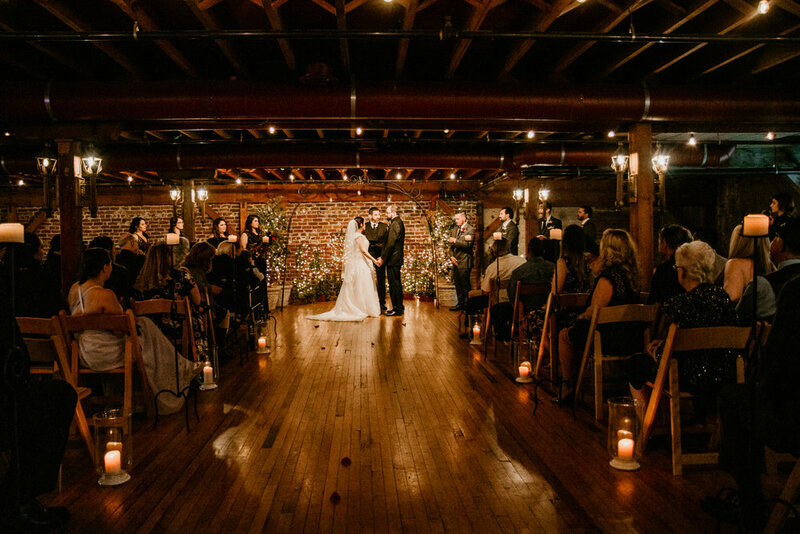 When you walk into The Federal Bar you are immersed with tall ceilings, dark ageless wood walls, and the largest most glamorous chandeliers you've probably ever seen. 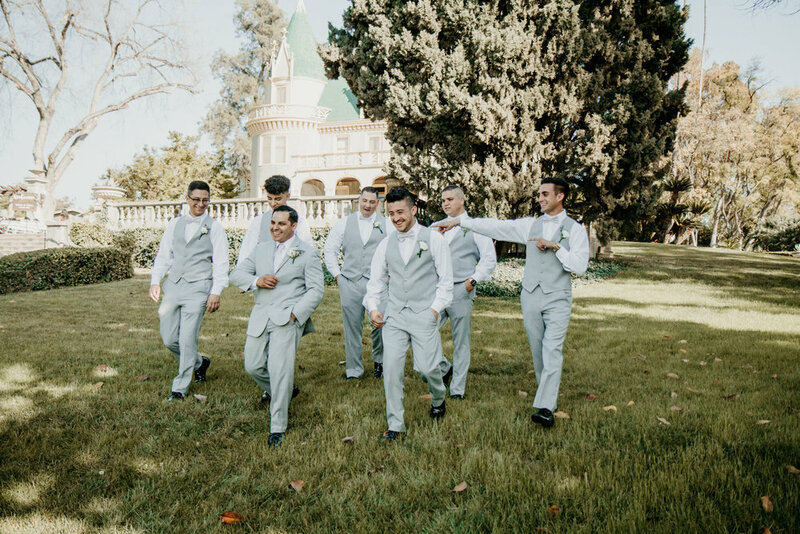 The aged beauty doesn’t stop in the down stairs area they have a unique metal vault big enough to fit 10-15 people, and a timeless saloon for the bridal party to prepare and take photos before the wedding. 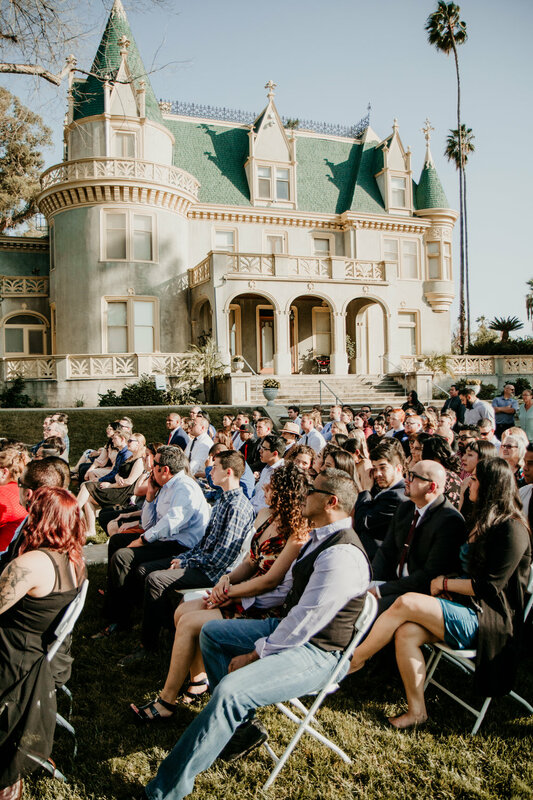 The wedding is moments away from beginning, all the guests are seated and anxiously awaiting for the wedding to begin. 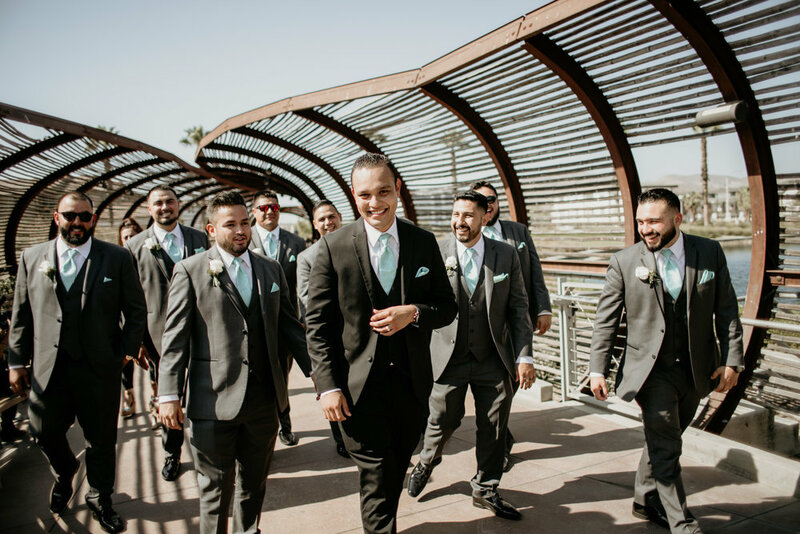 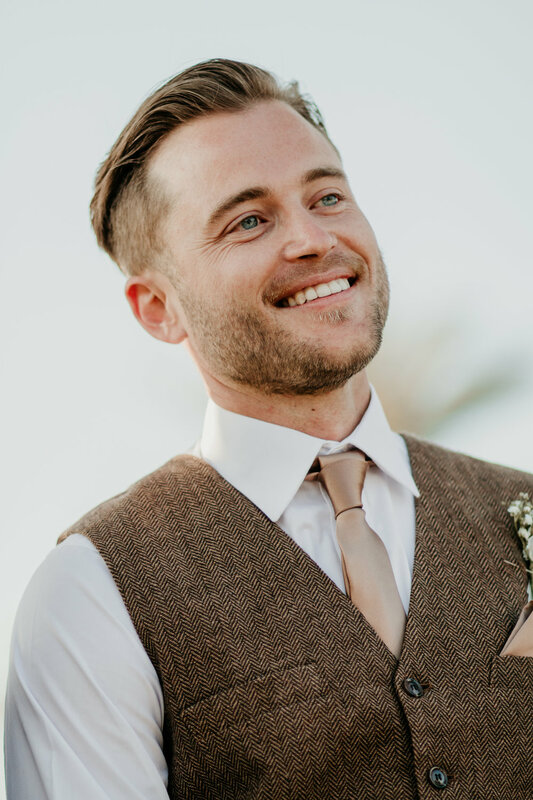 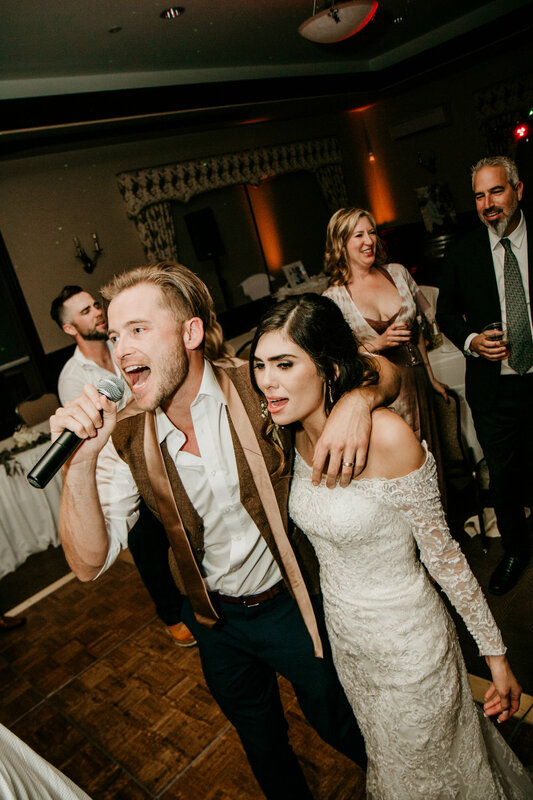 The doors open and out walks the groom to an awesome rock song as he flashes the rock on symbol down the aisle. 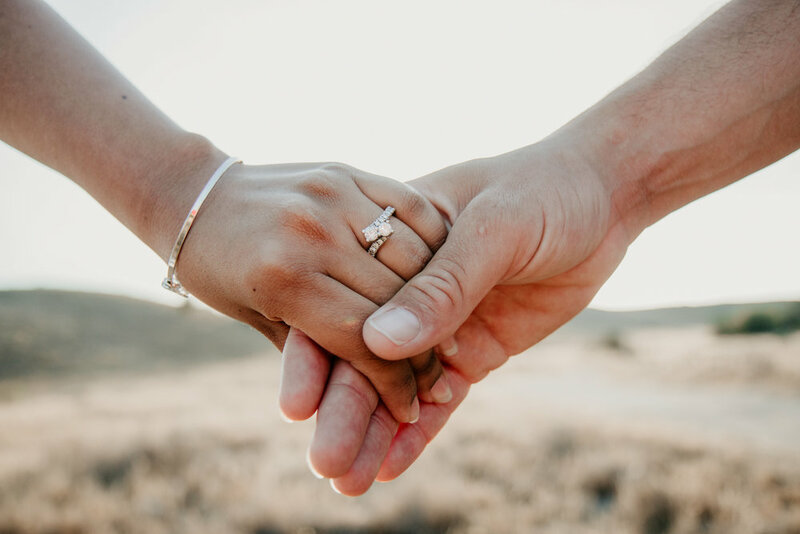 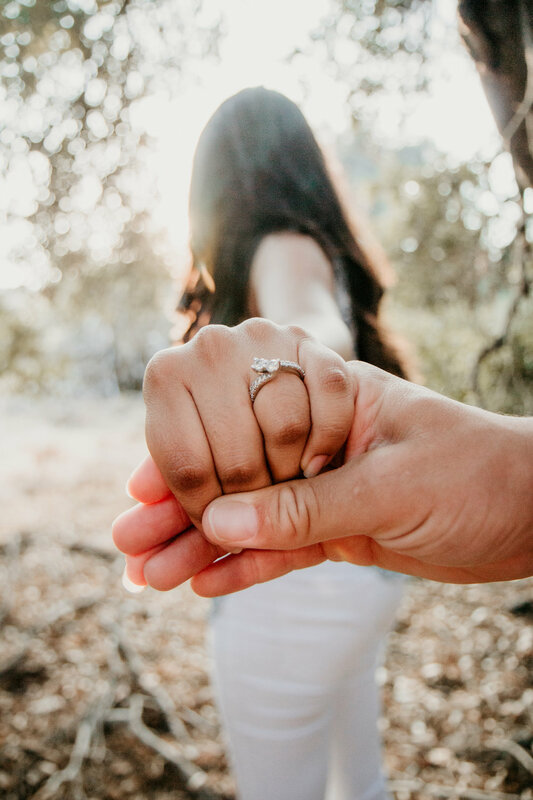 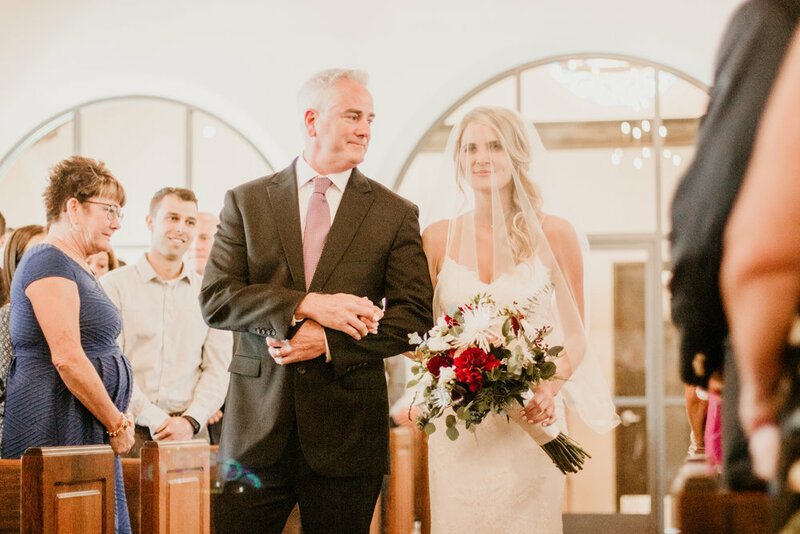 At last, it’s the brides moment to walk down the aisle with her father by her side to the man she will spend the rest of her life with. 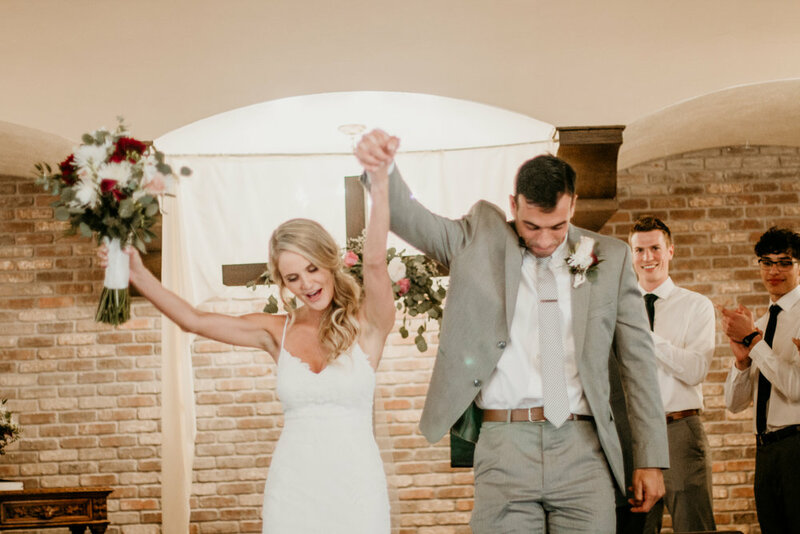 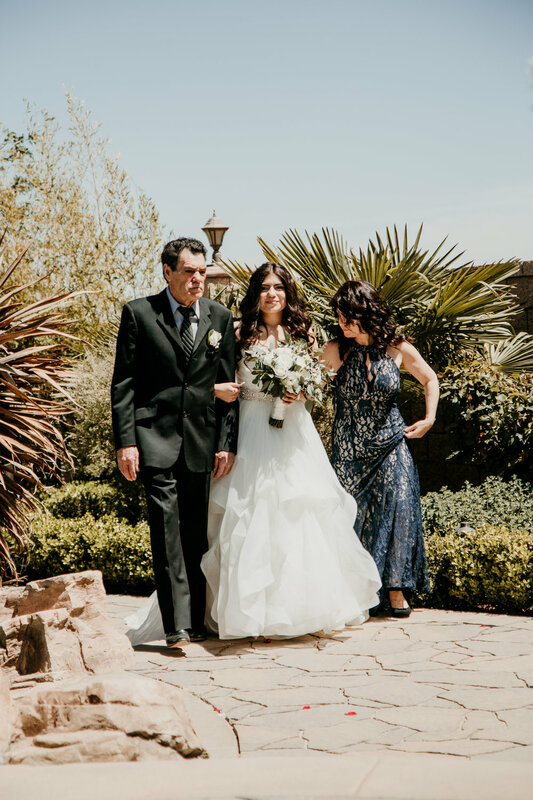 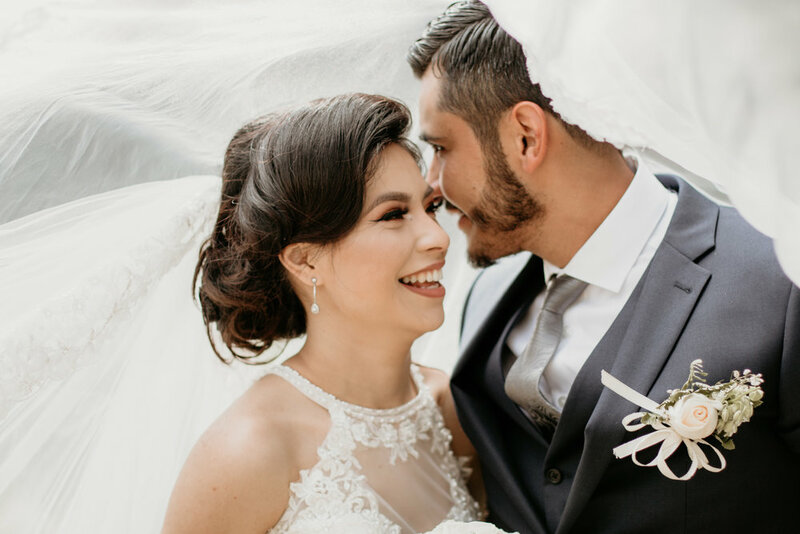 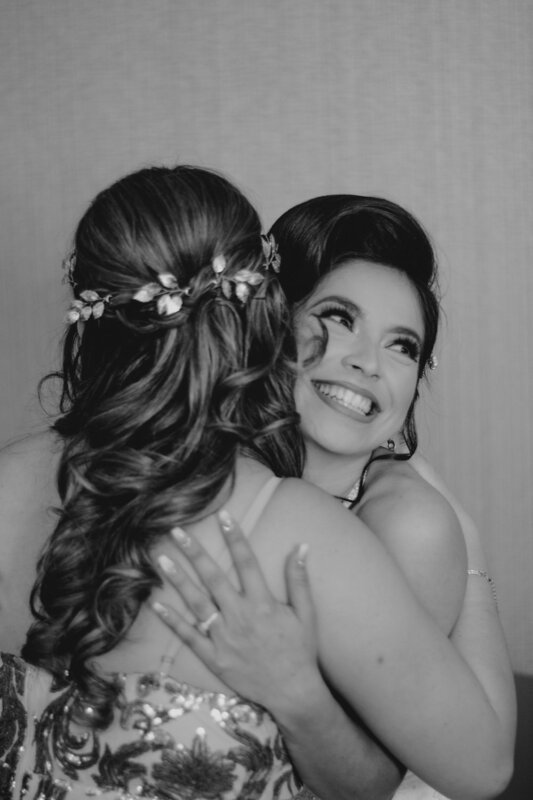 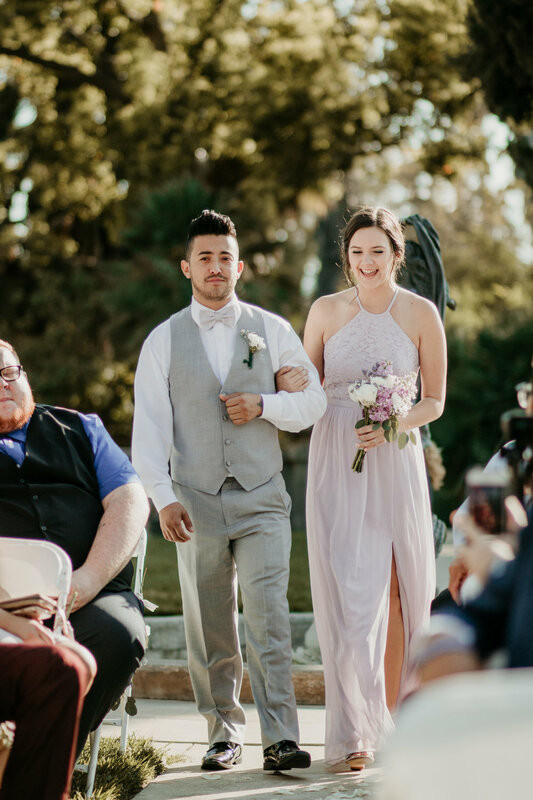 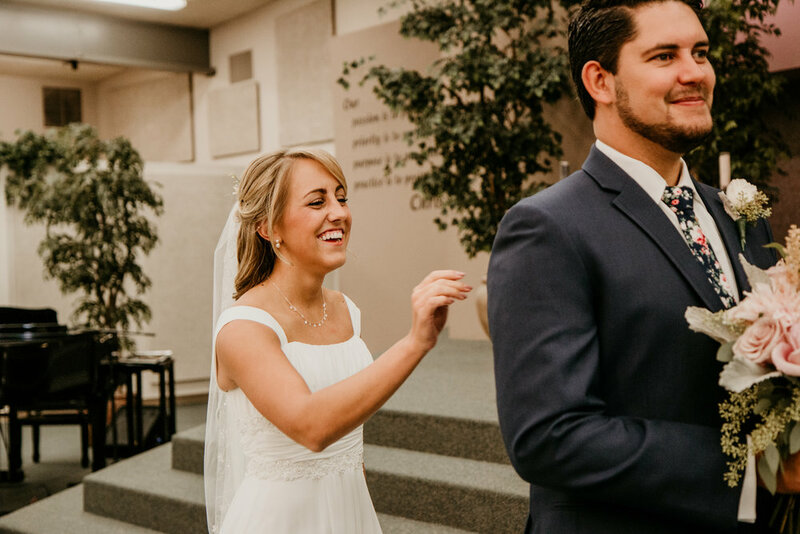 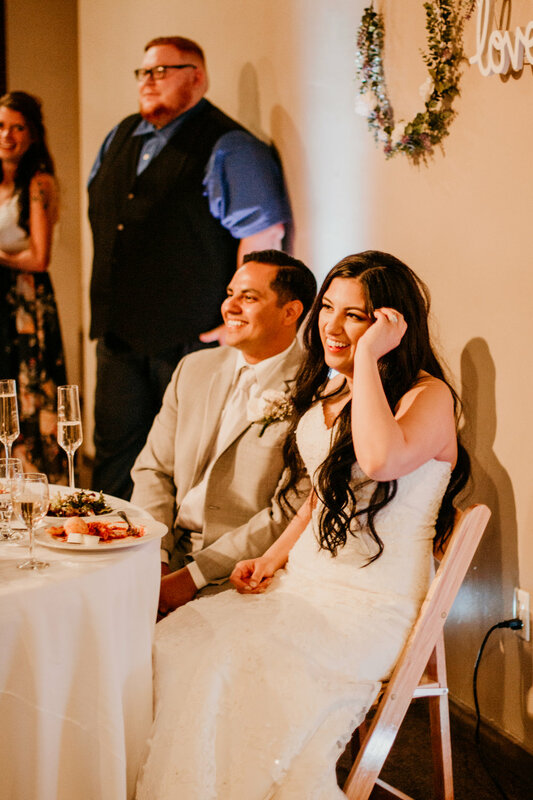 As she glided down the aisle with her father by her side everyone stood with pure joy at the beautiful moment they were witnessing as these two were about to become husband and wife. 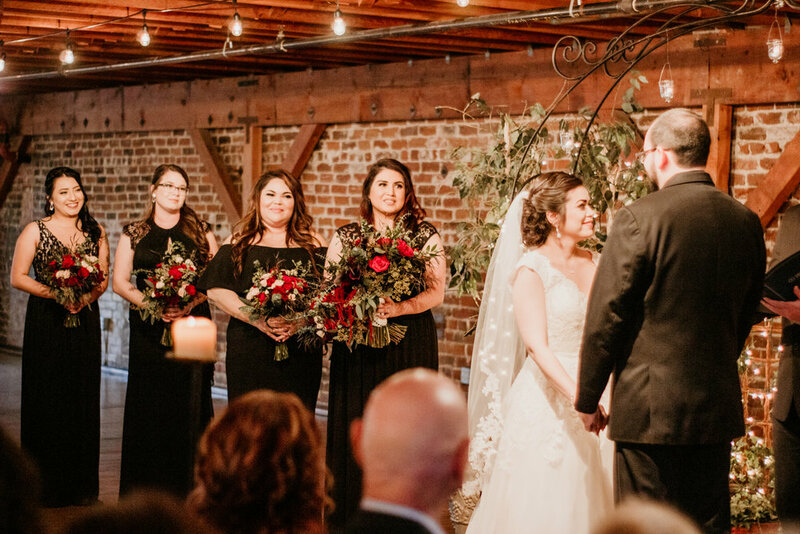 The ceremony was short and sweet filled with heart felt moments and loving stories shared about the couple. 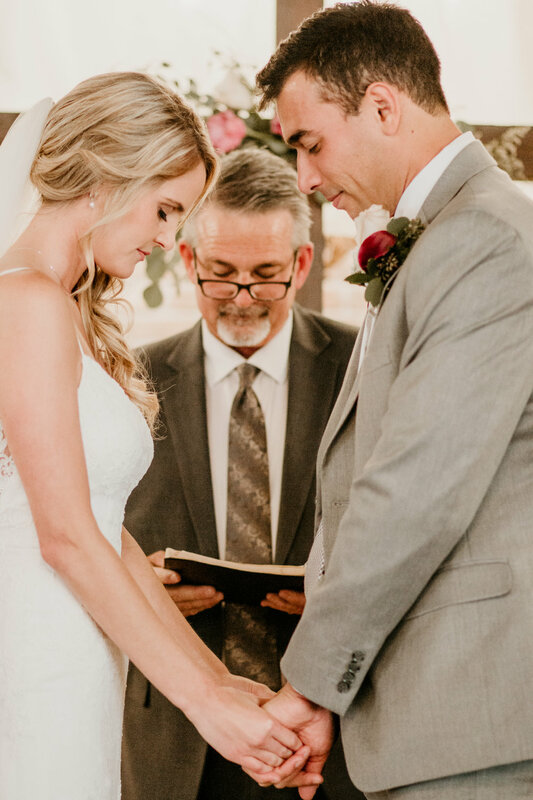 The officiant announces that Neil may kiss his bride and everyone erupts with happiness and love. 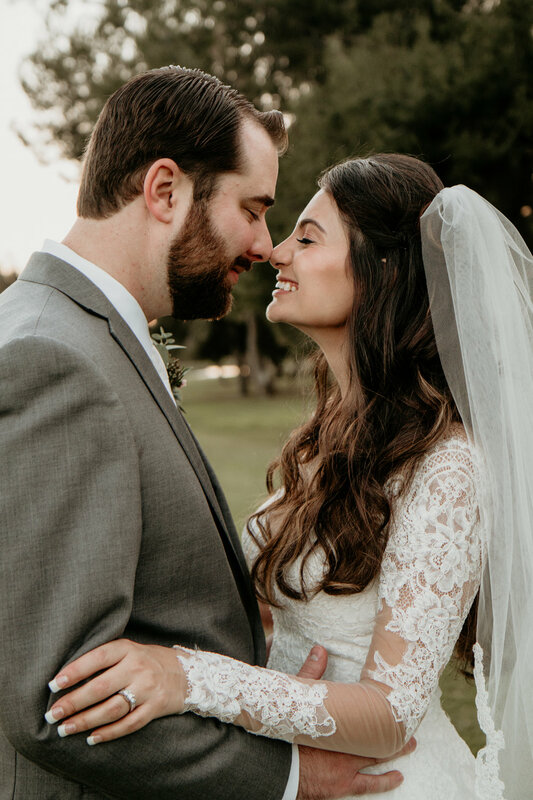 They are finally married!